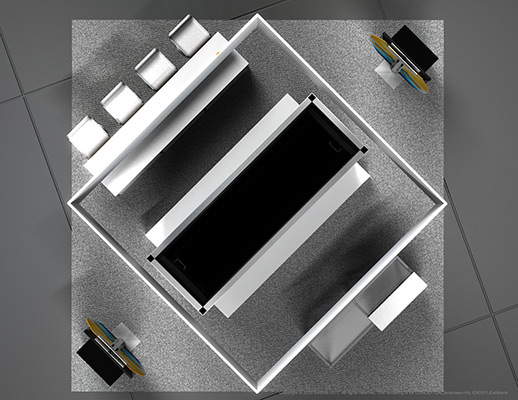 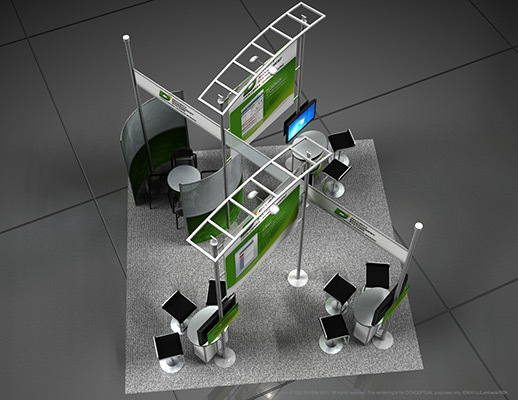 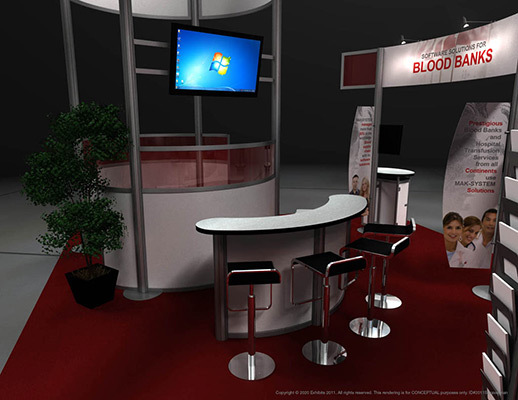 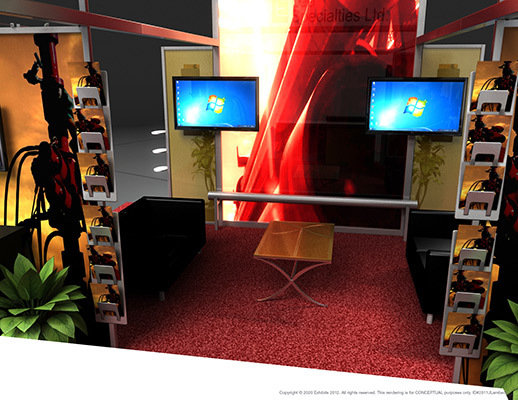 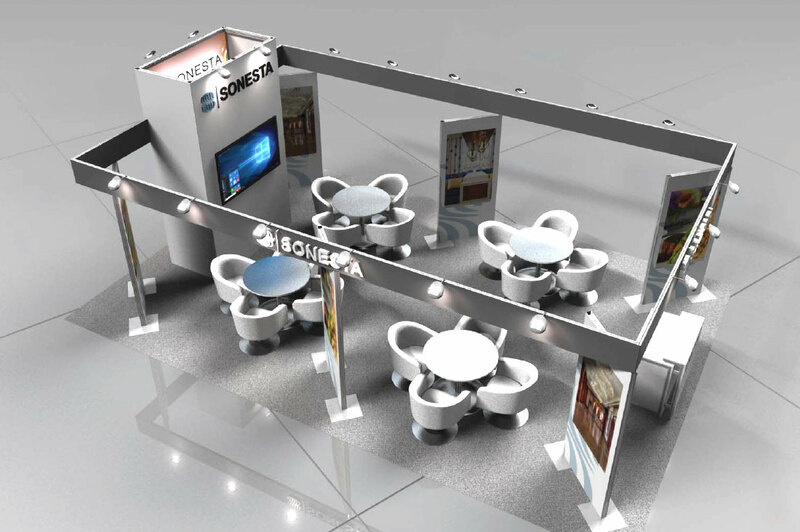 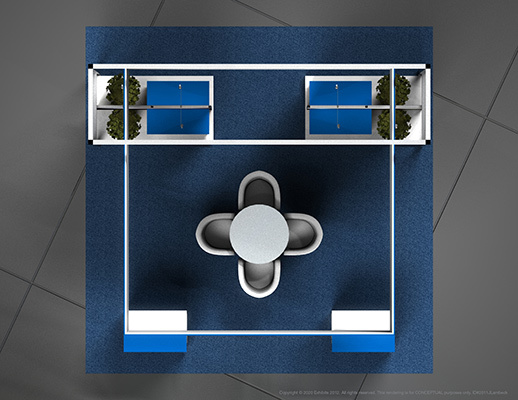 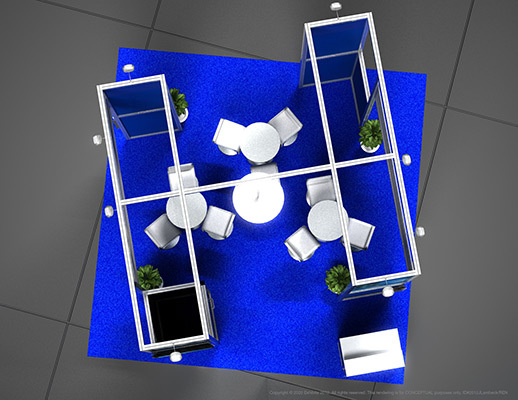 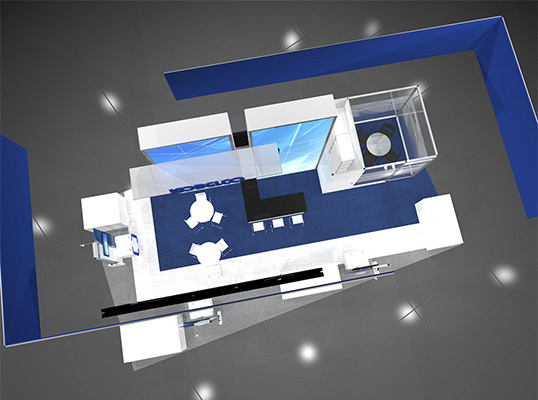 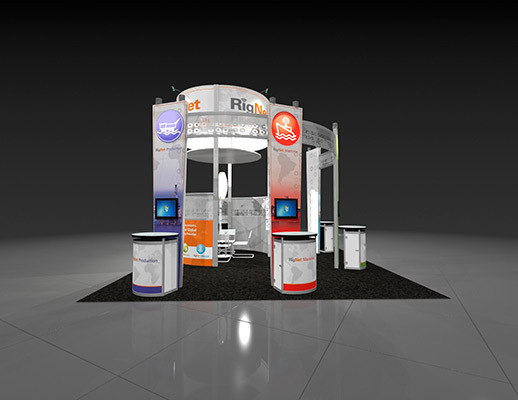 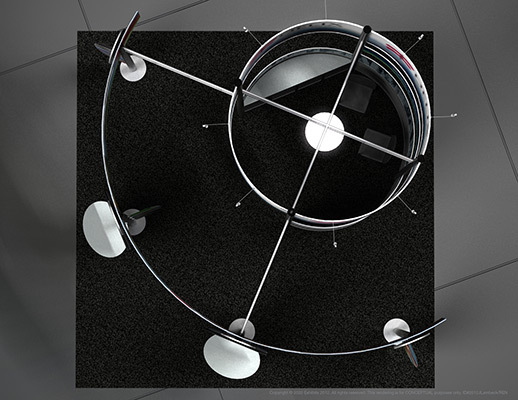 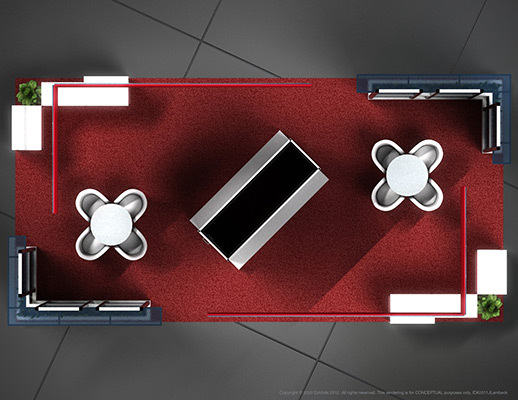 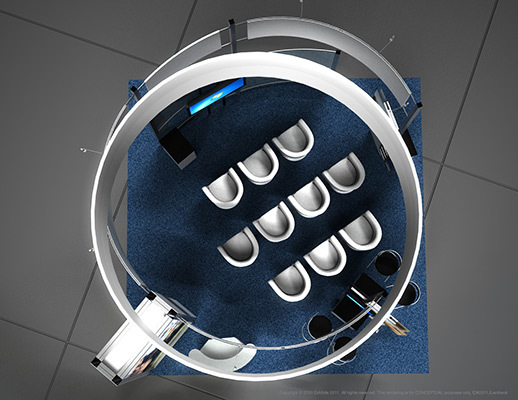 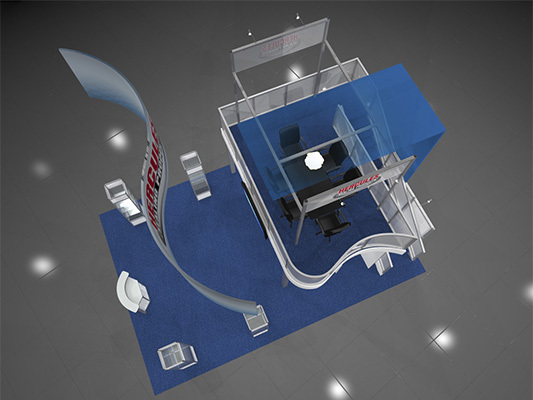 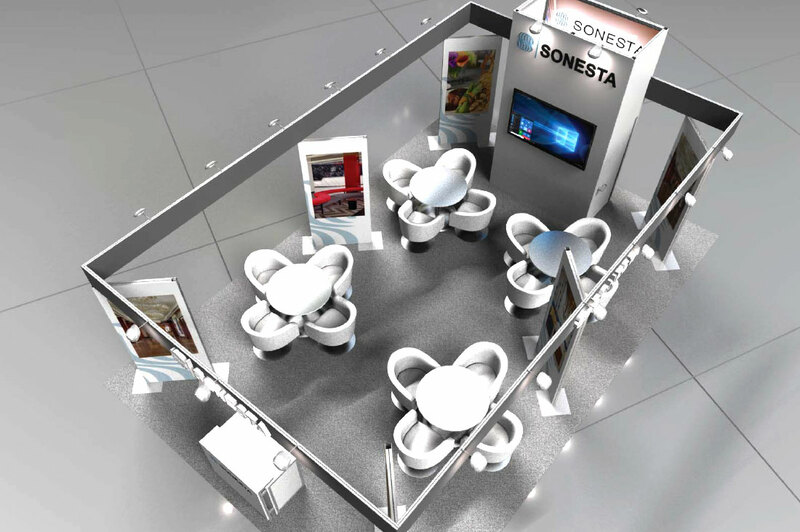 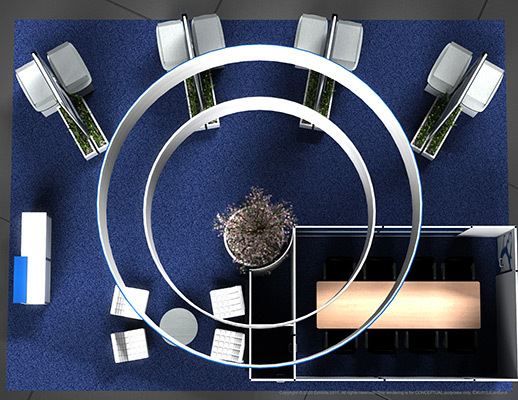 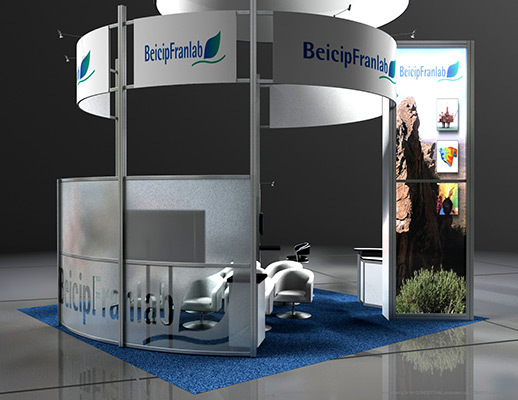 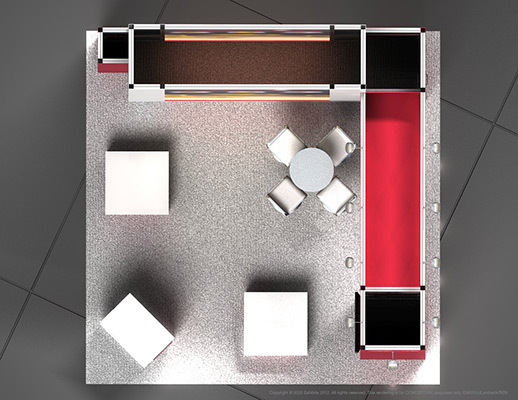 Open plan booth with kiosks and desk that creates a path that flows through the space. 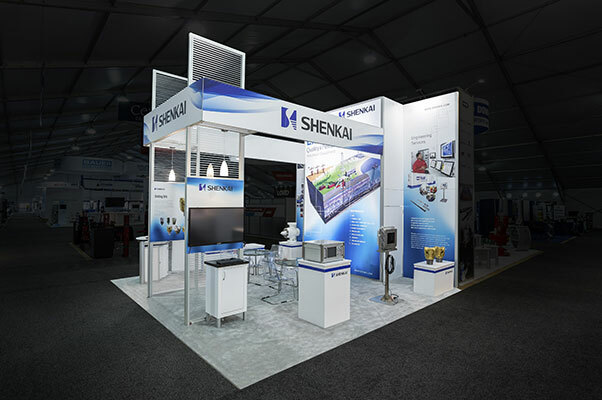 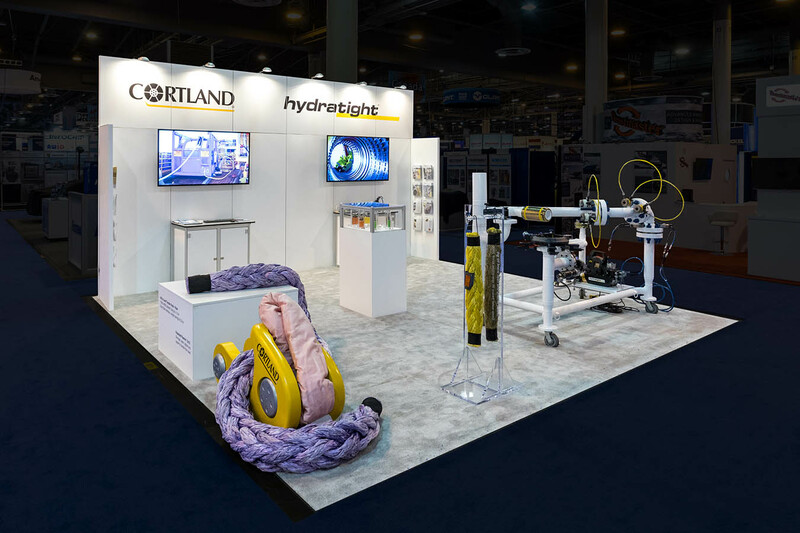 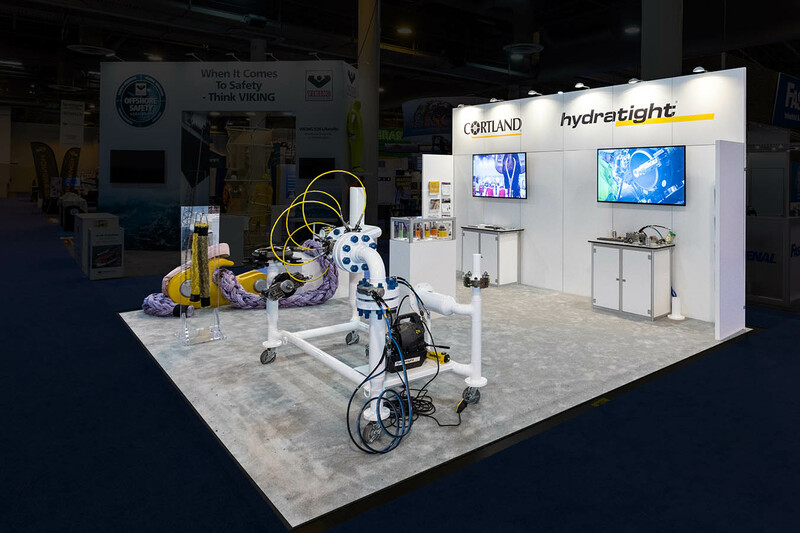 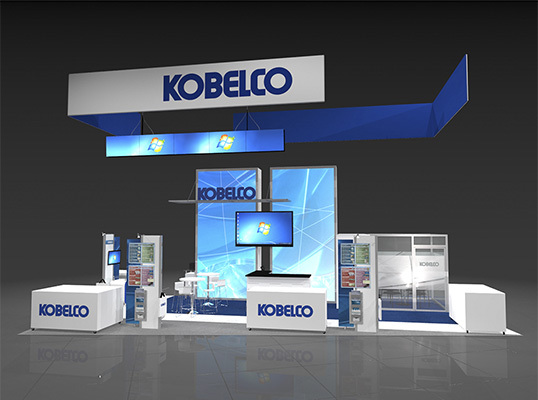 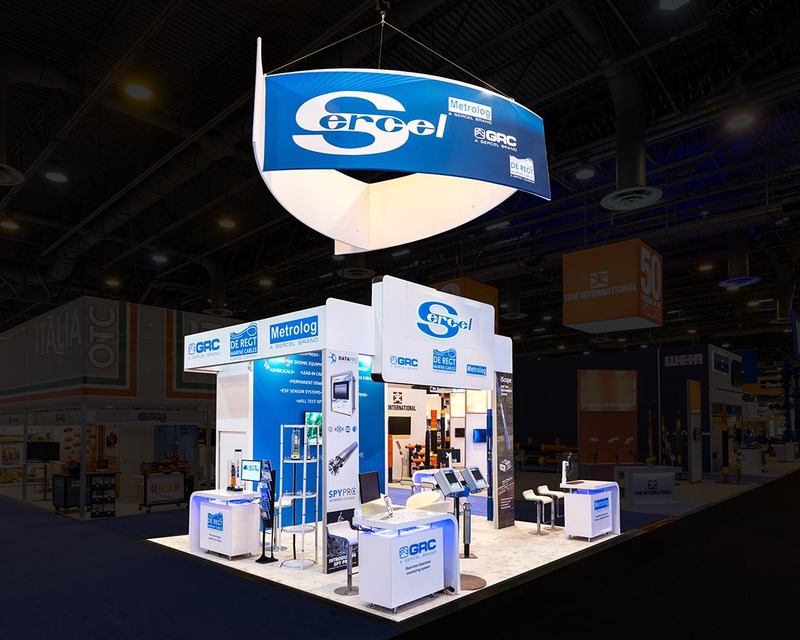 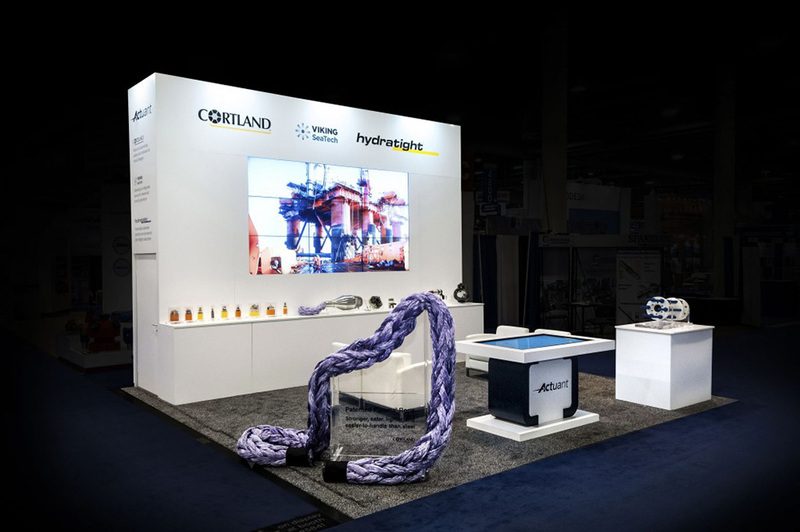 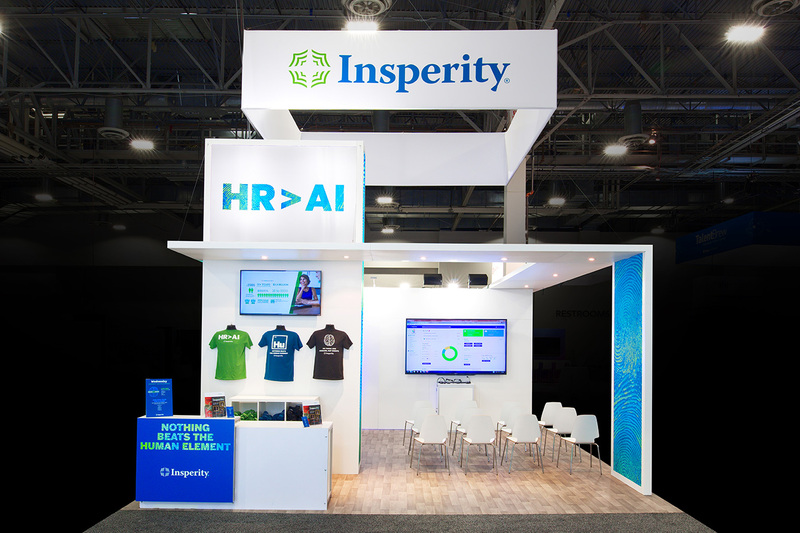 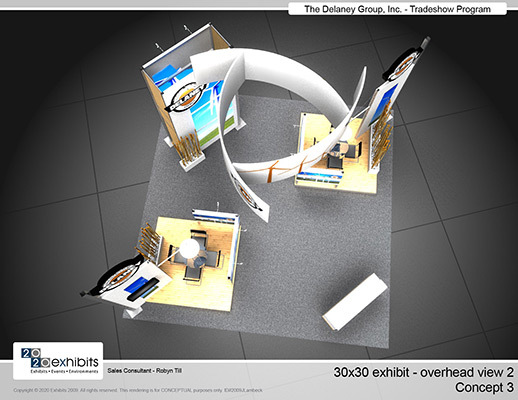 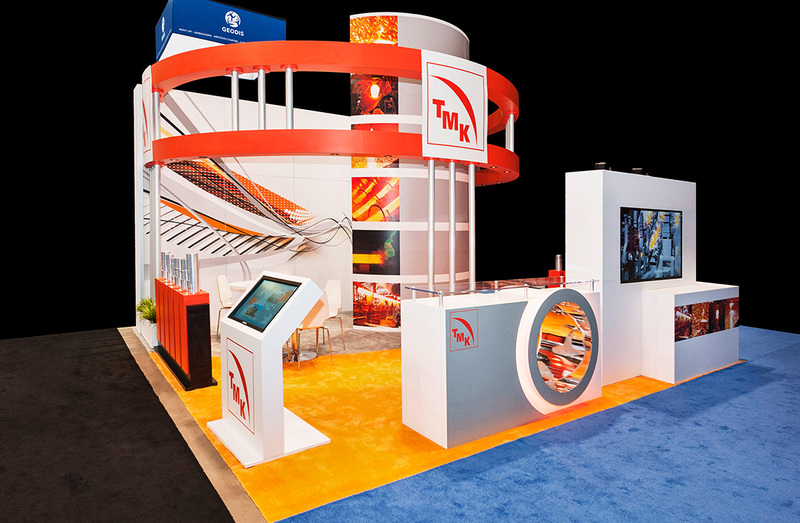 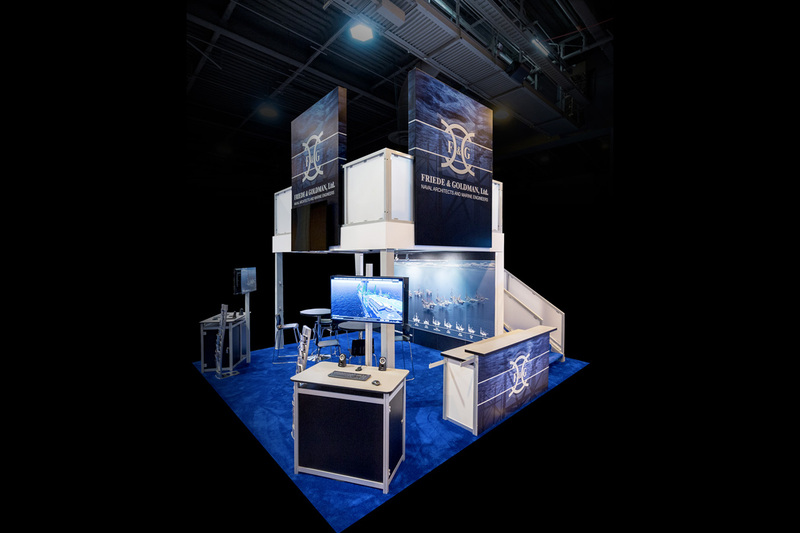 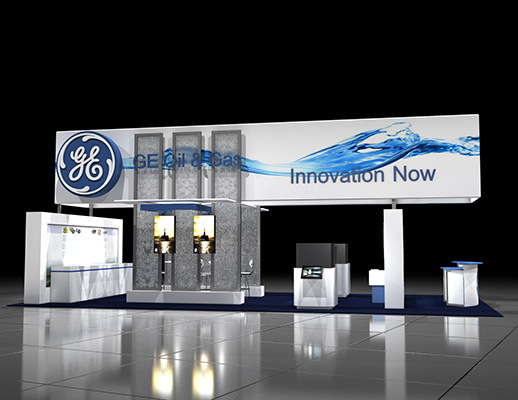 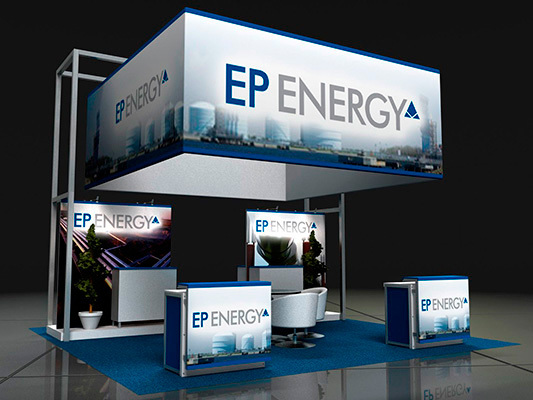 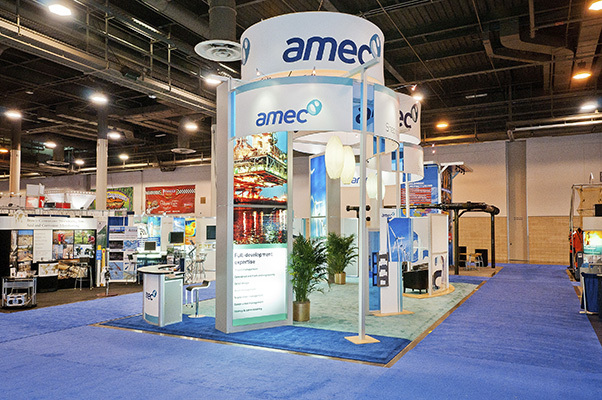 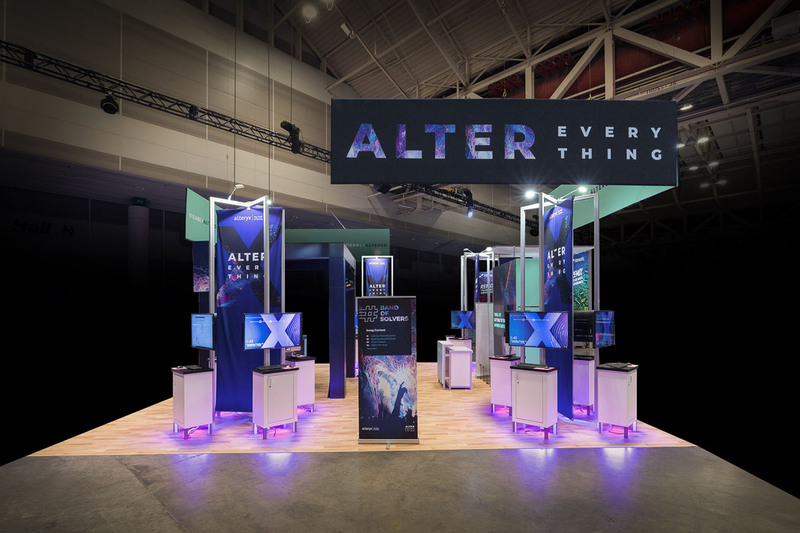 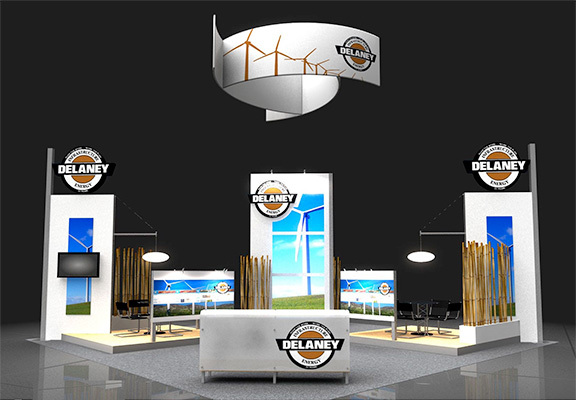 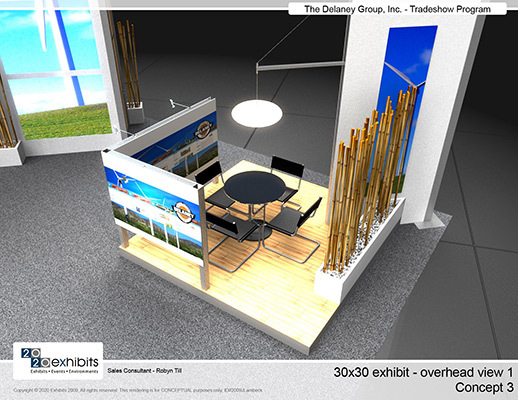 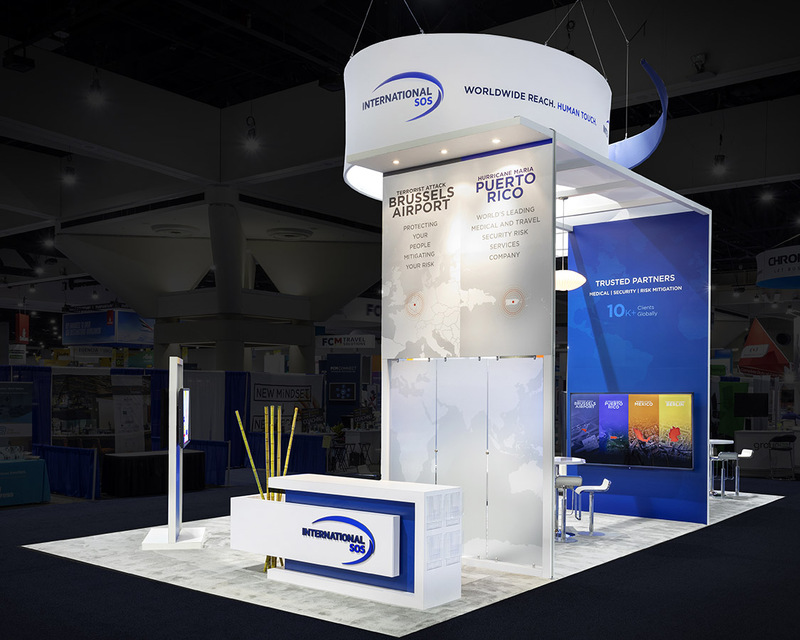 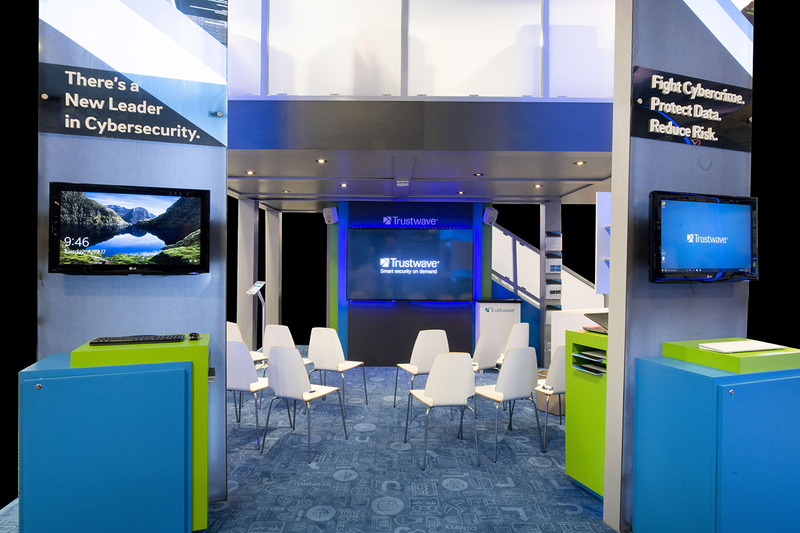 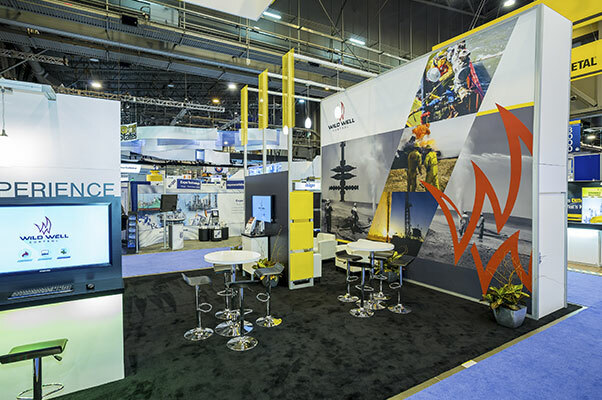 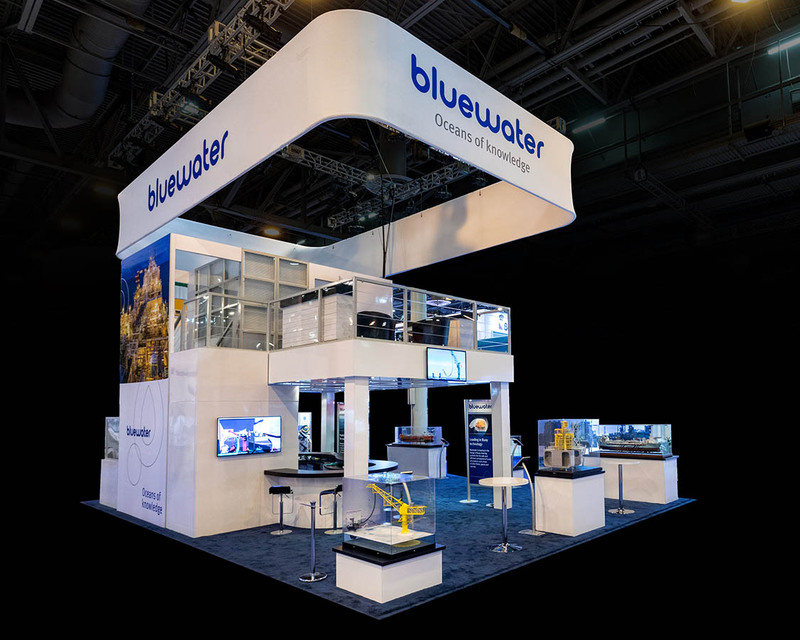 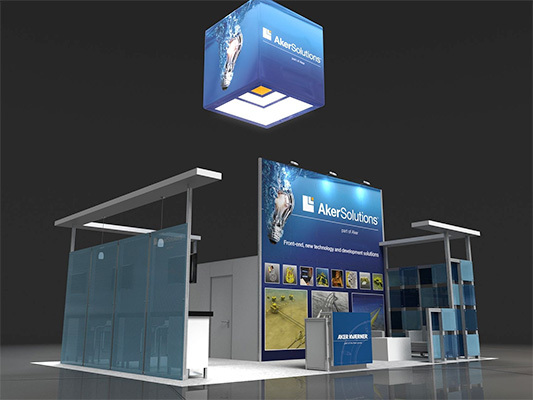 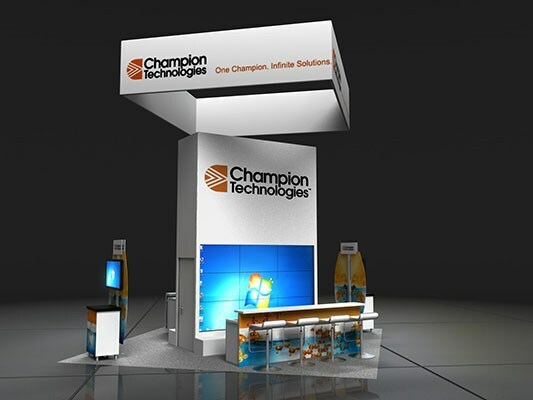 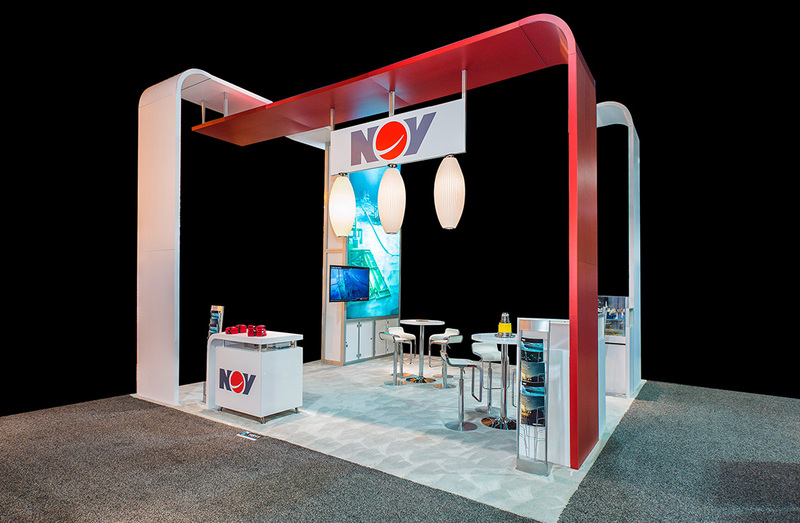 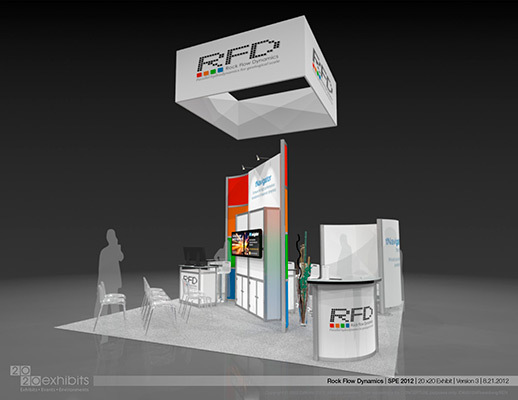 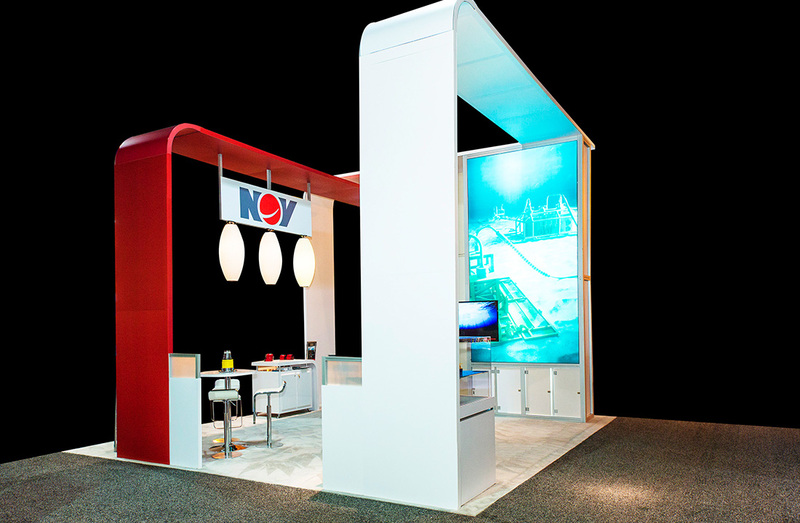 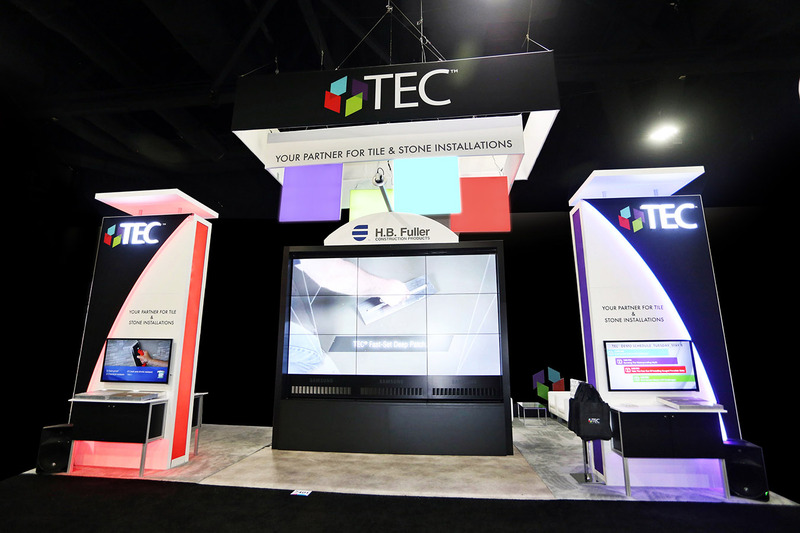 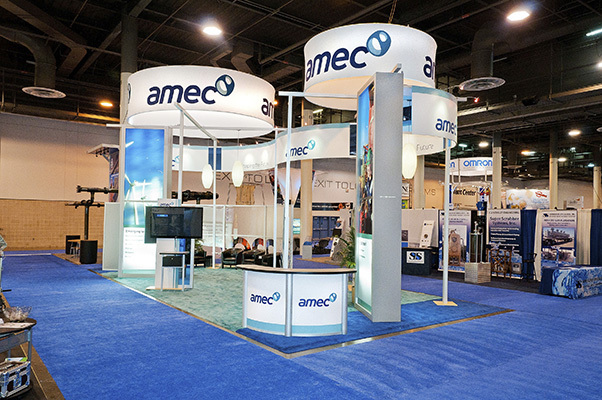 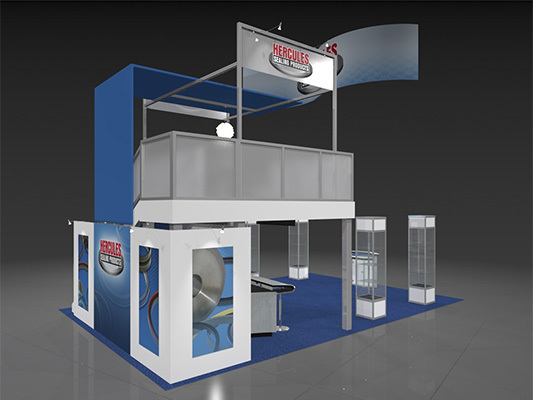 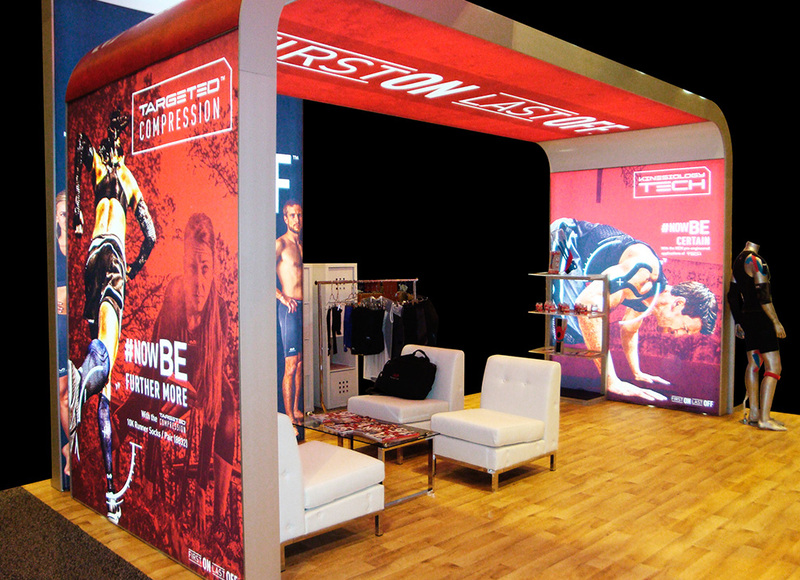 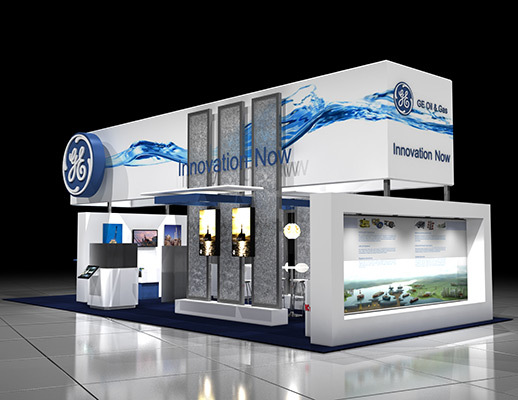 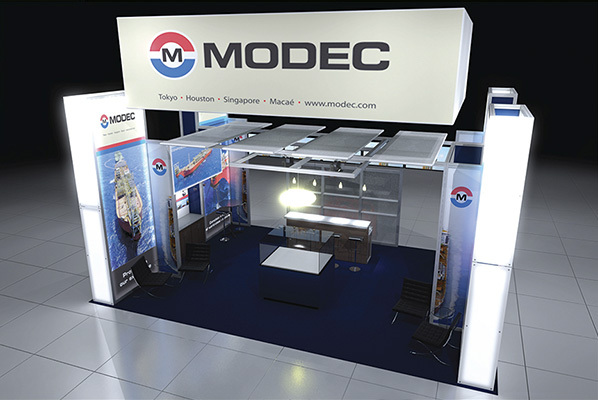 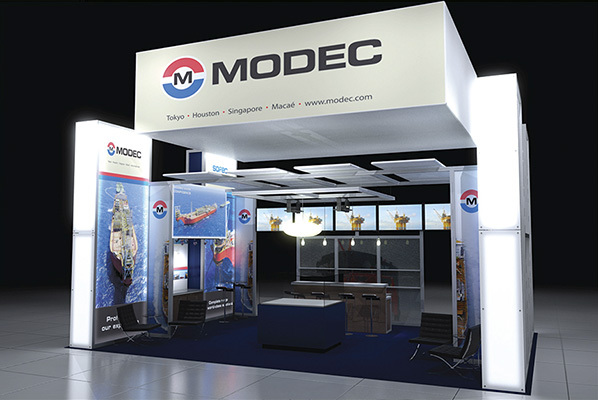 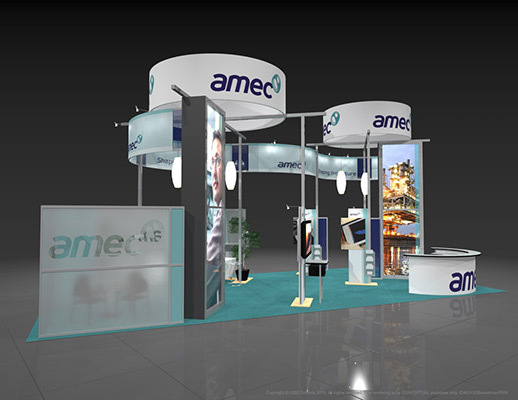 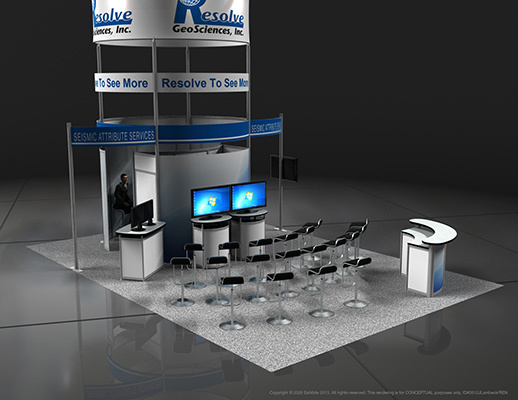 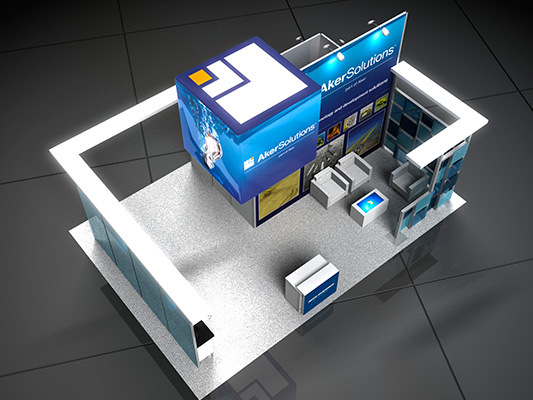 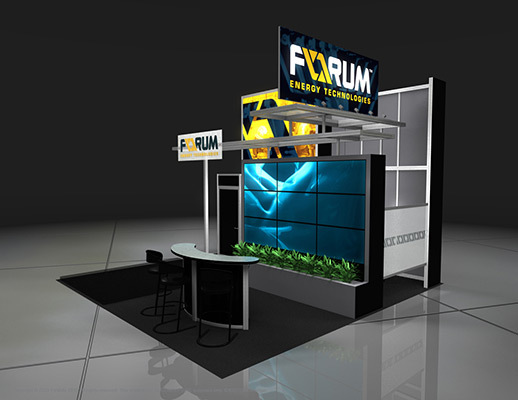 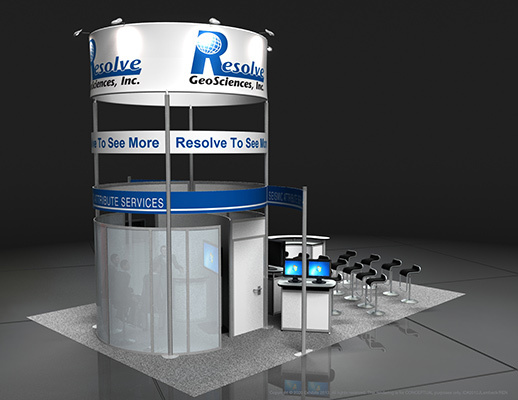 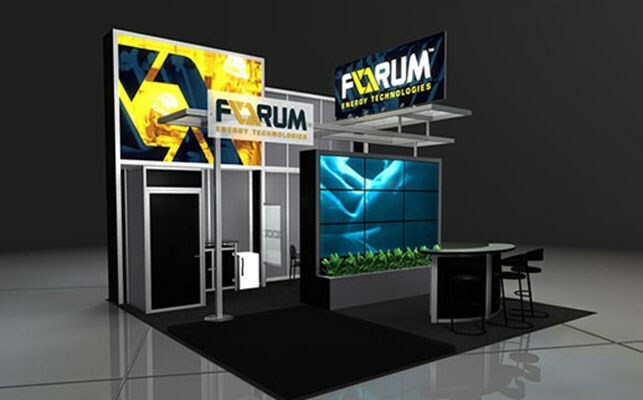 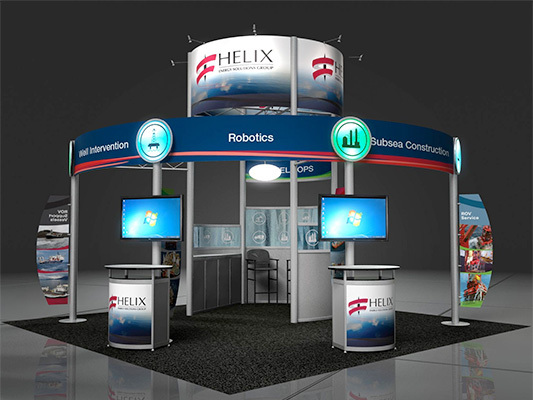 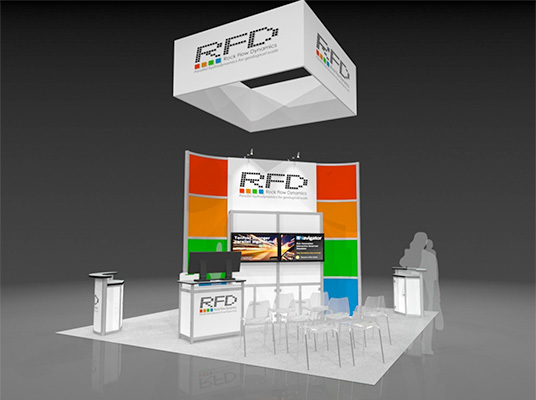 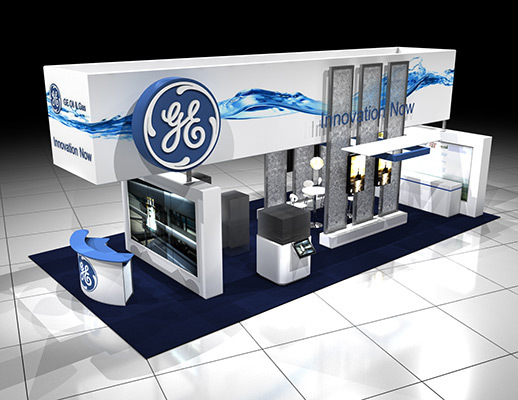 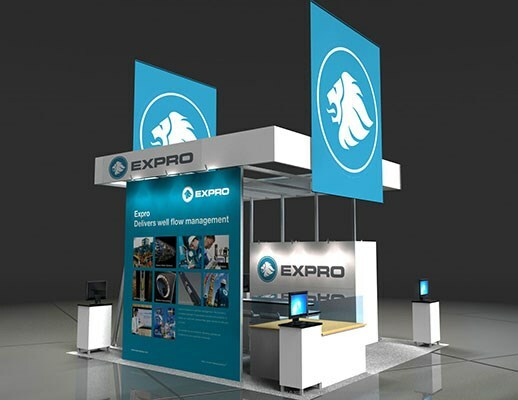 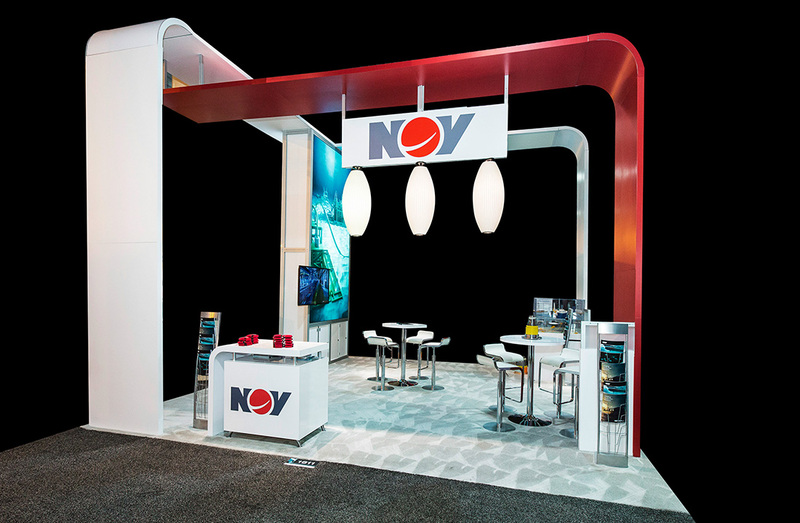 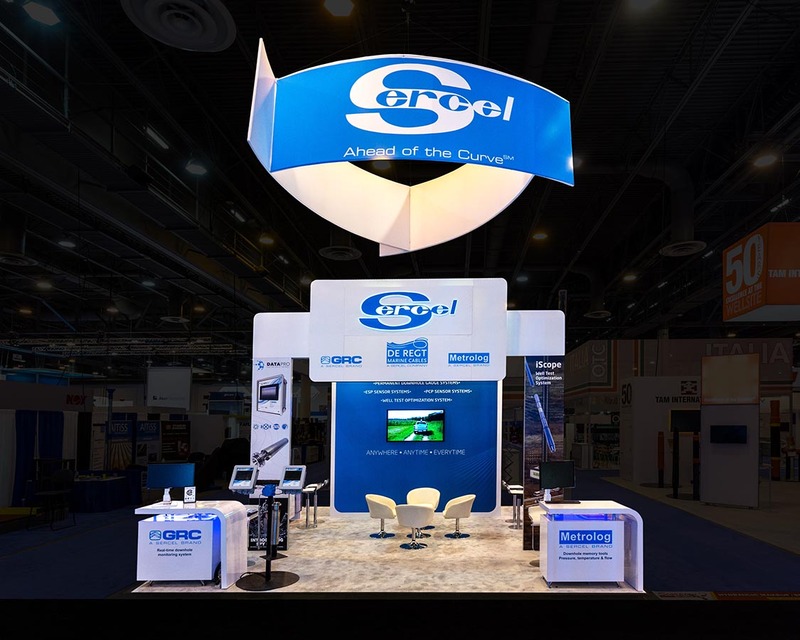 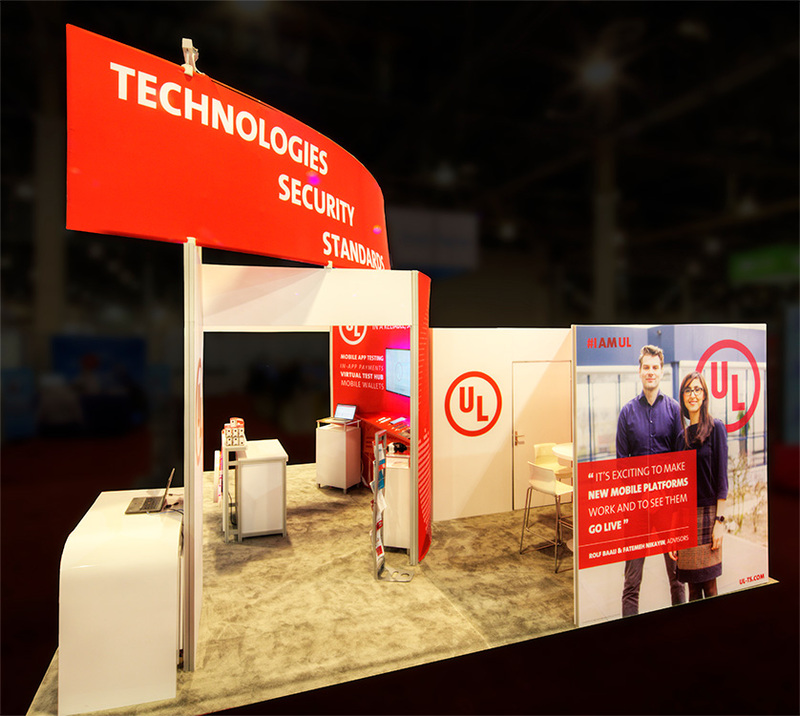 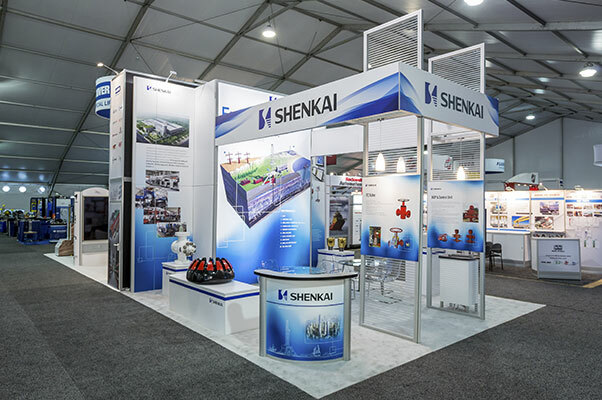 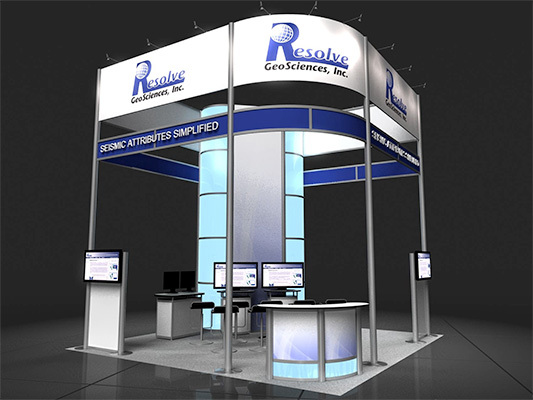 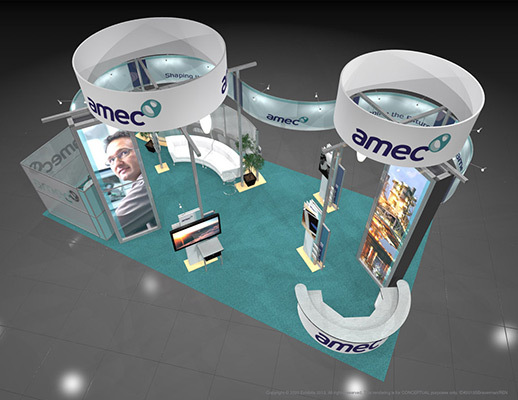 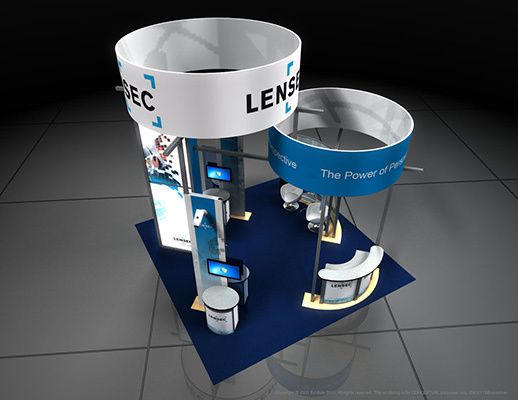 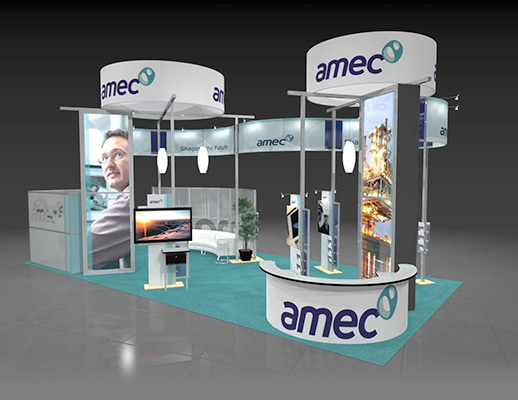 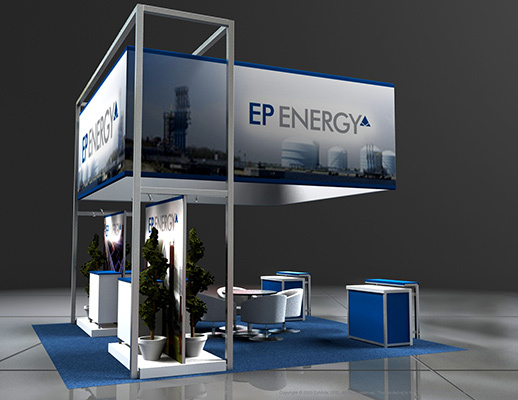 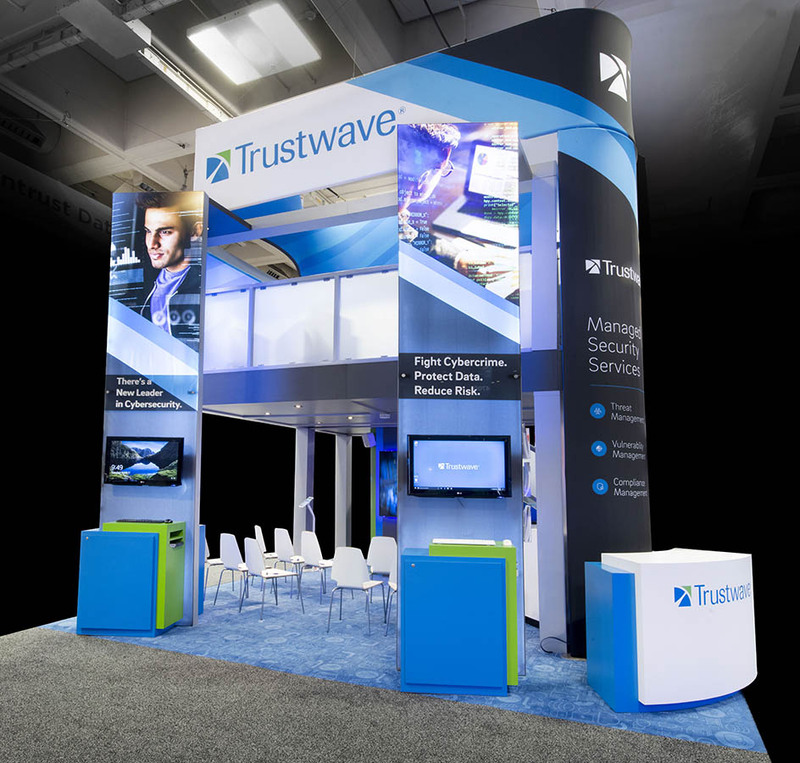 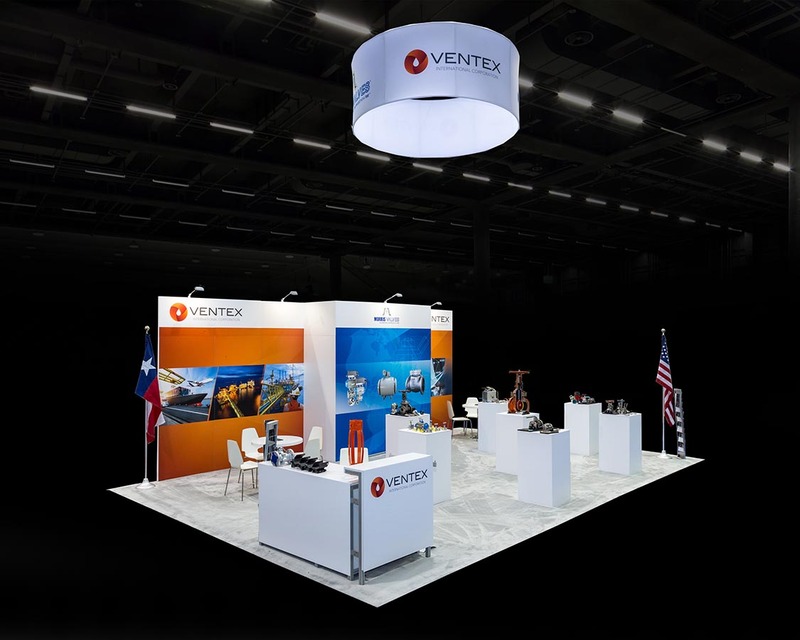 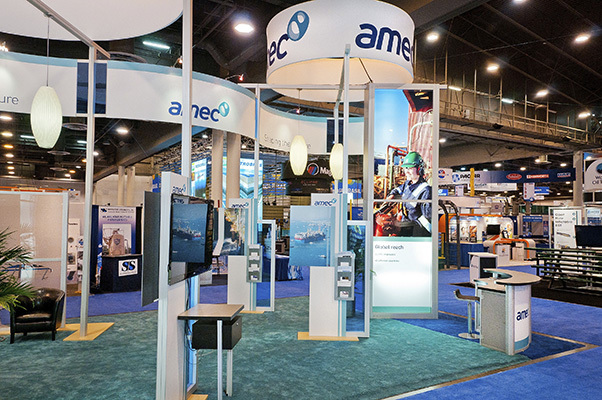 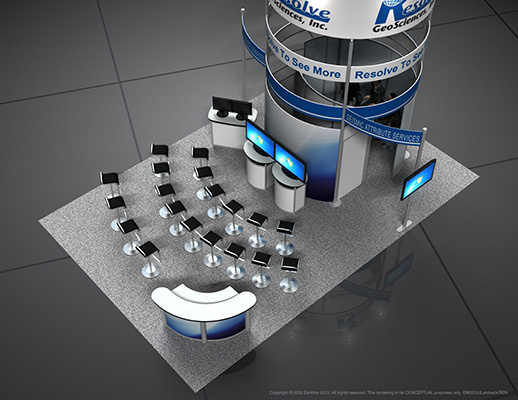 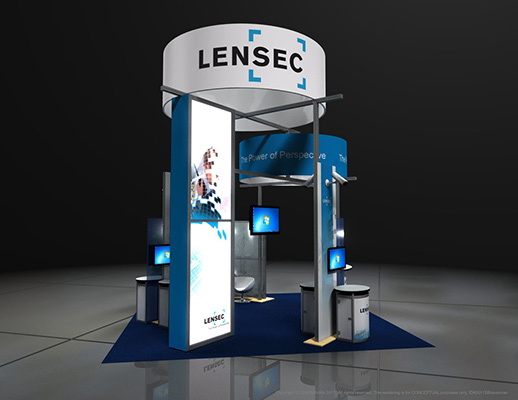 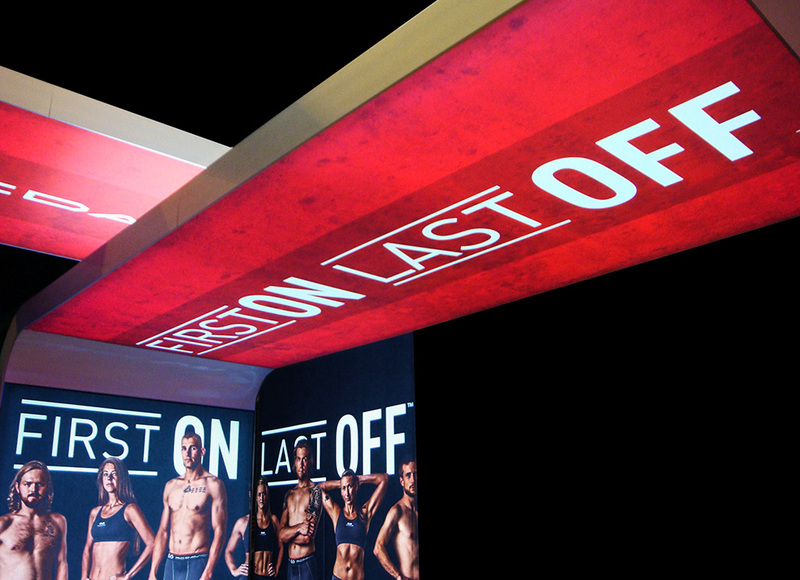 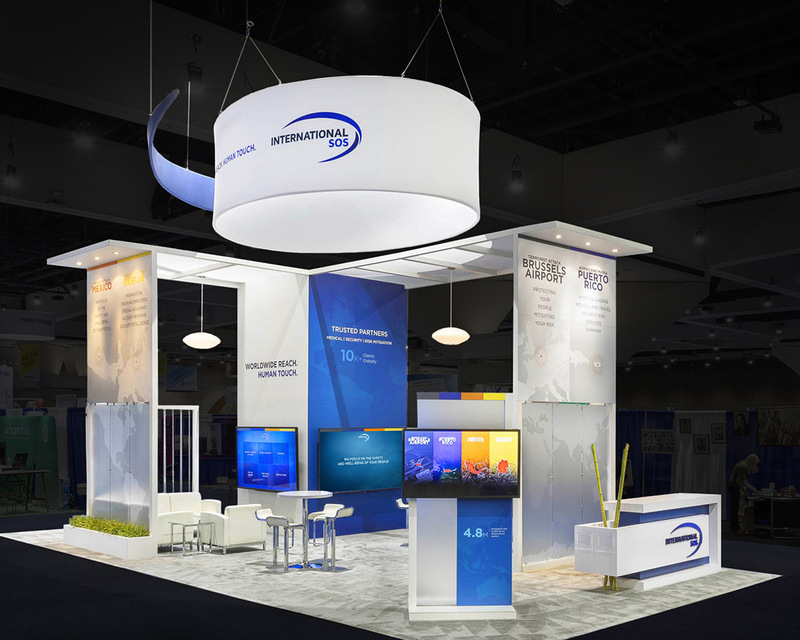 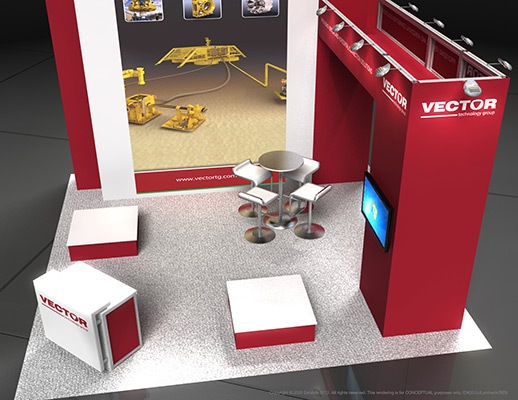 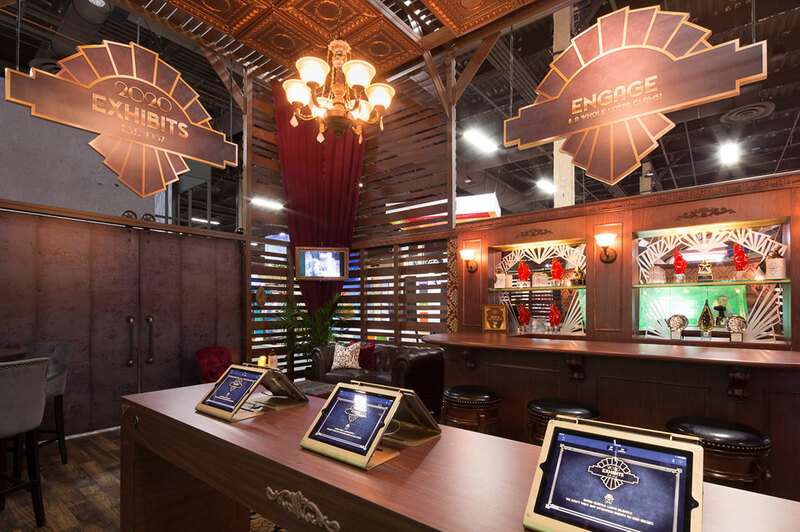 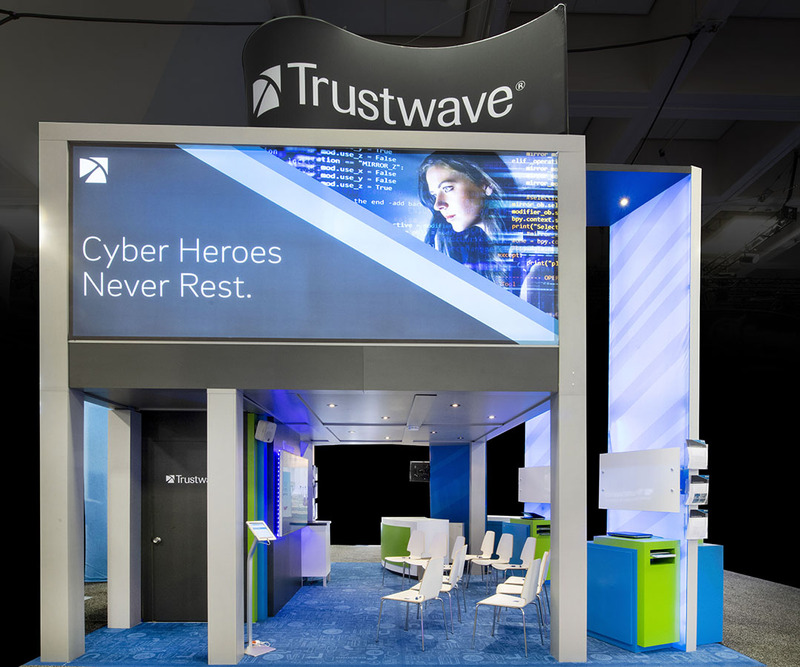 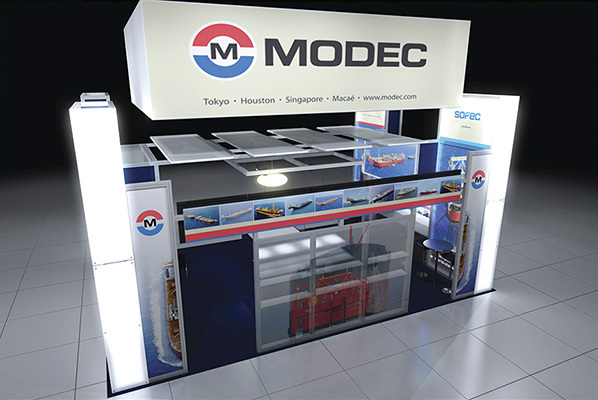 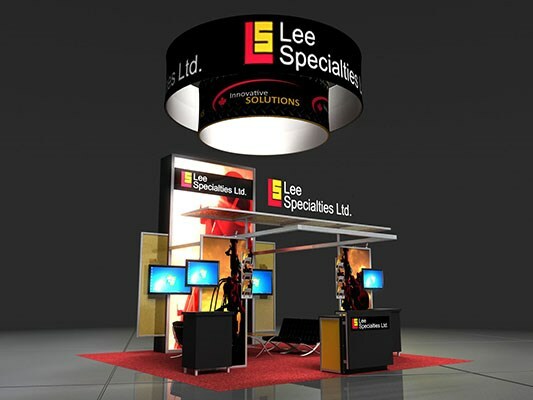 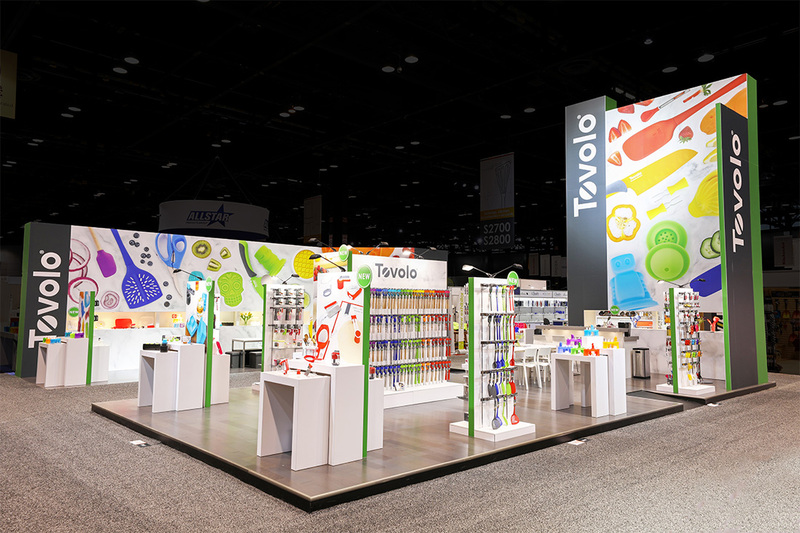 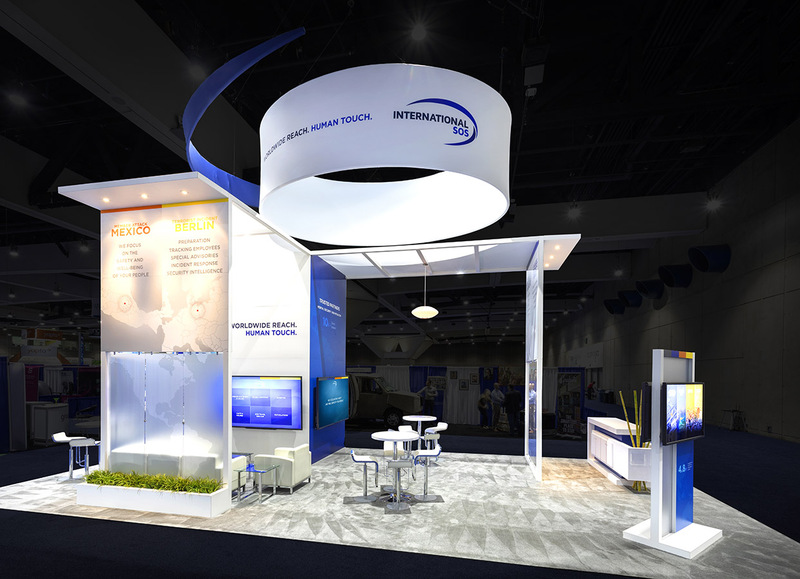 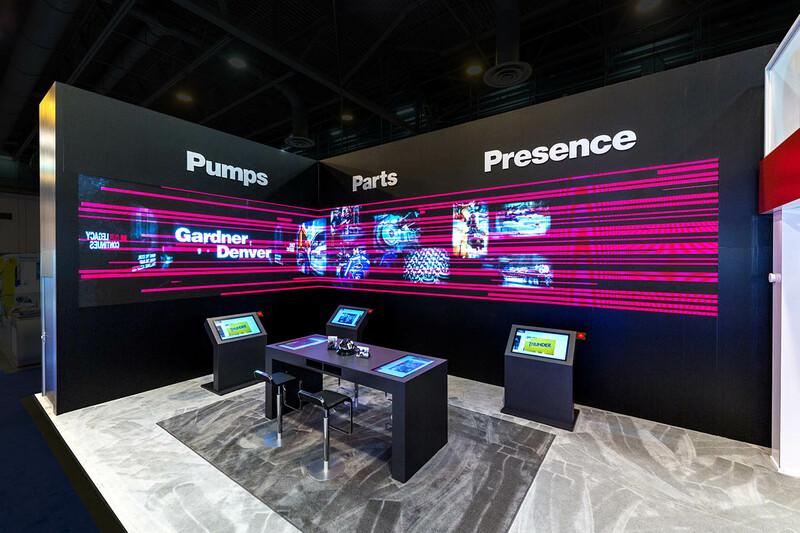 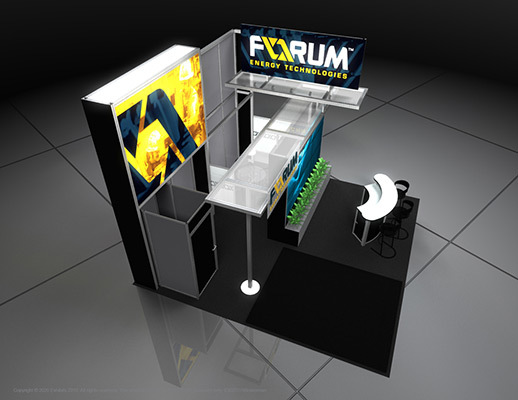 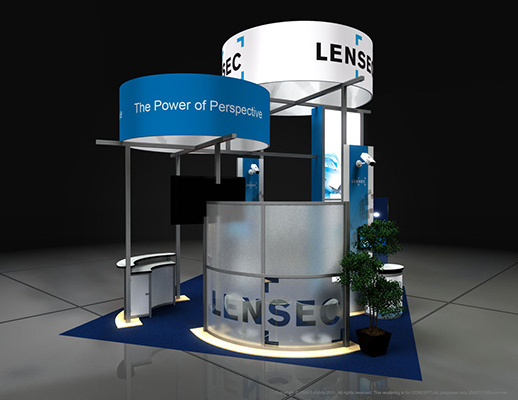 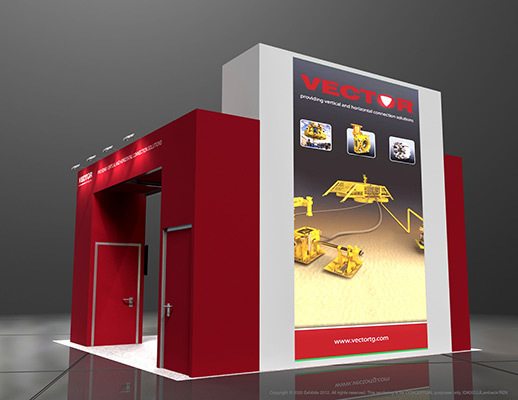 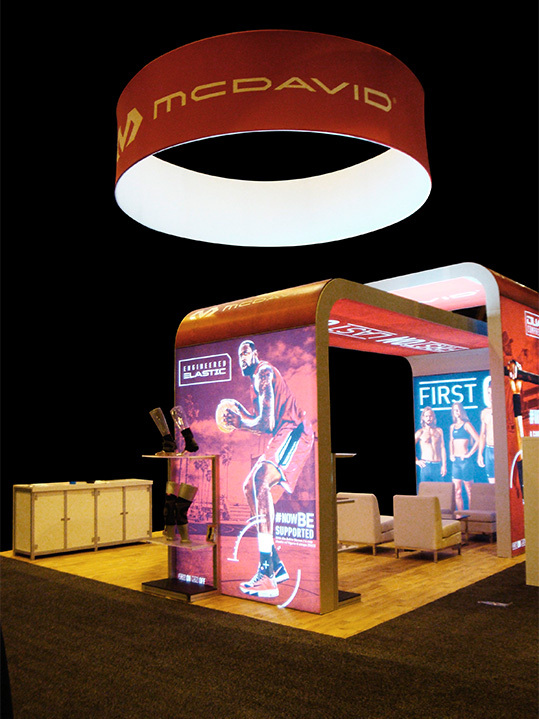 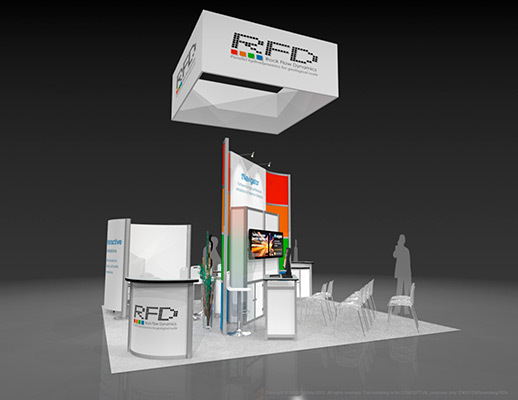 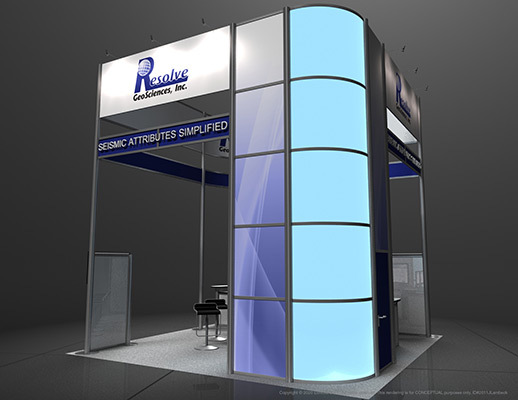 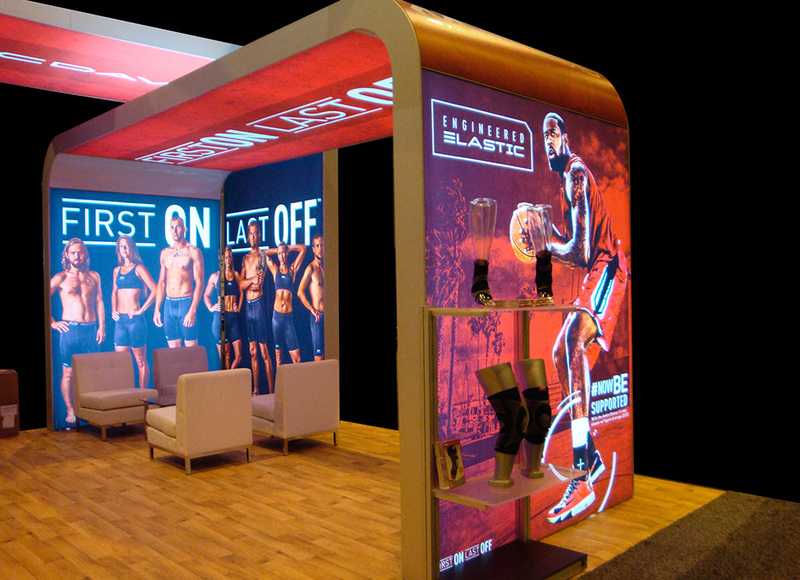 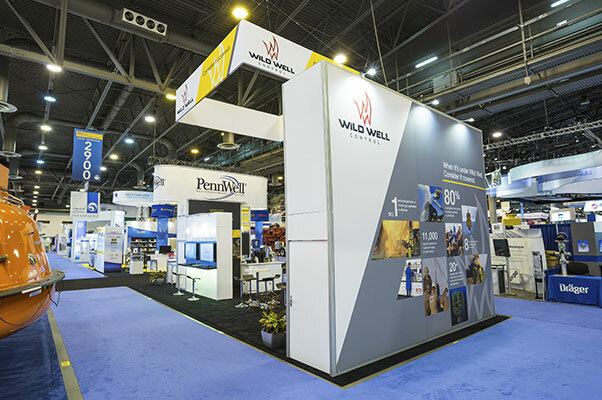 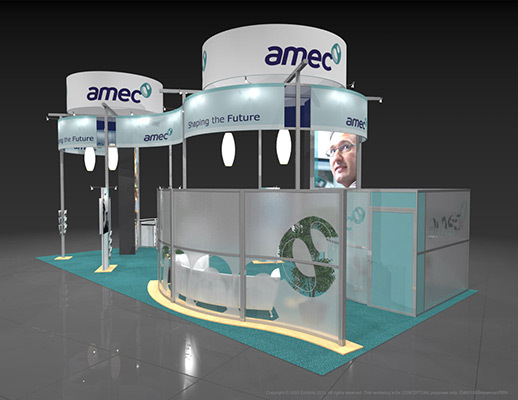 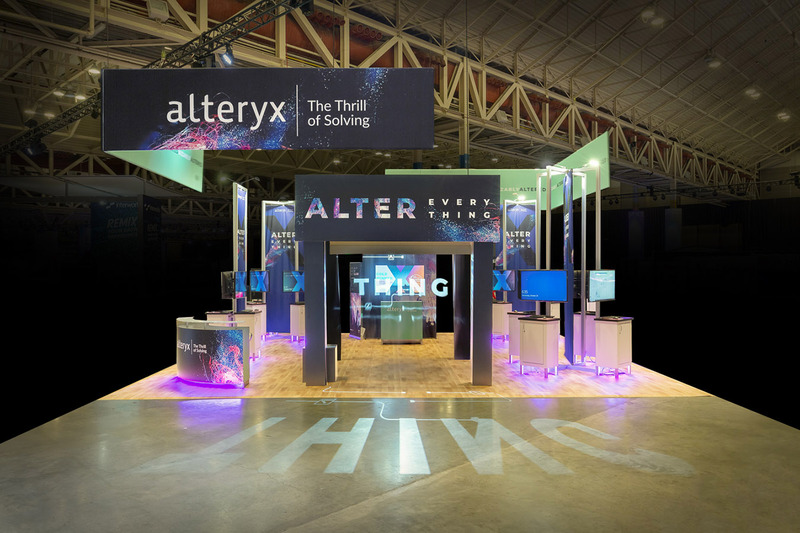 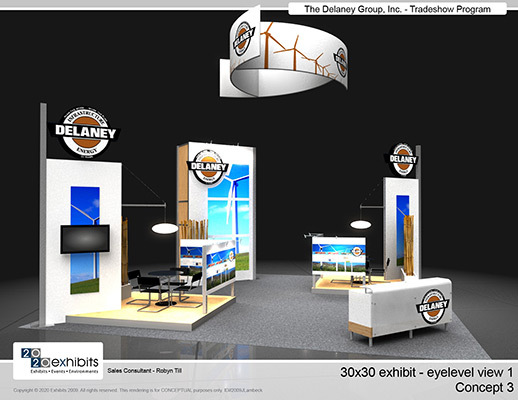 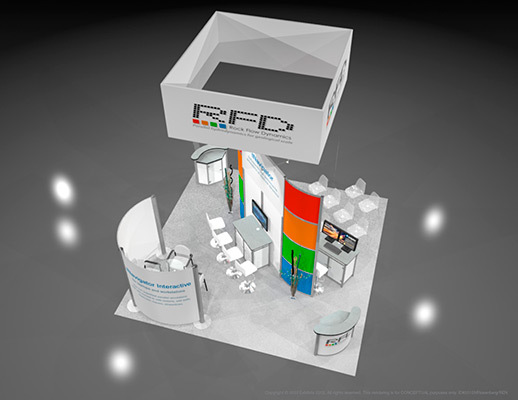 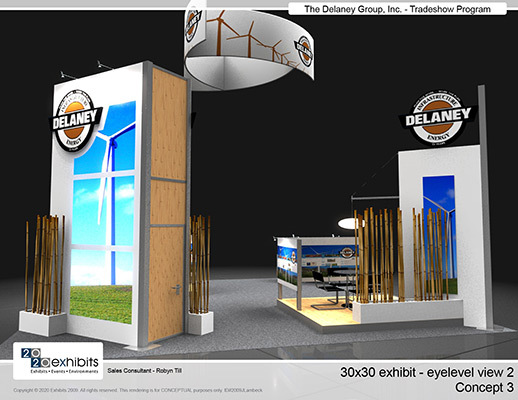 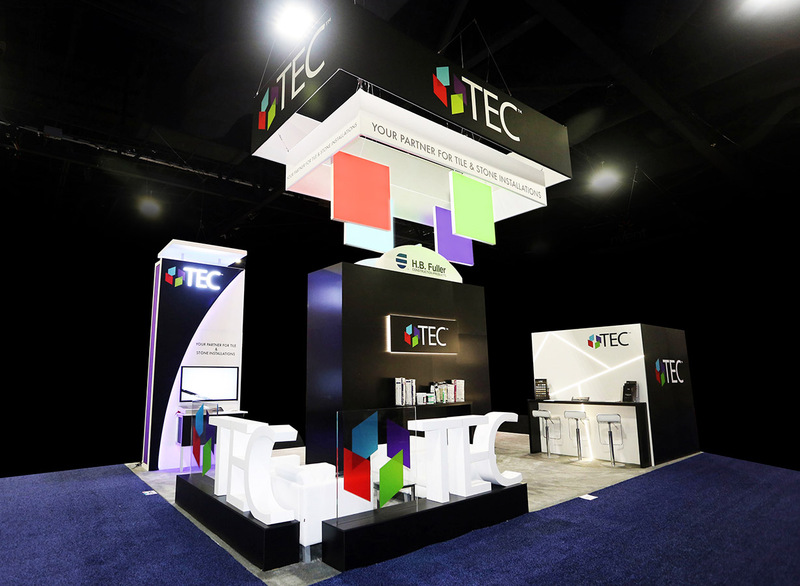 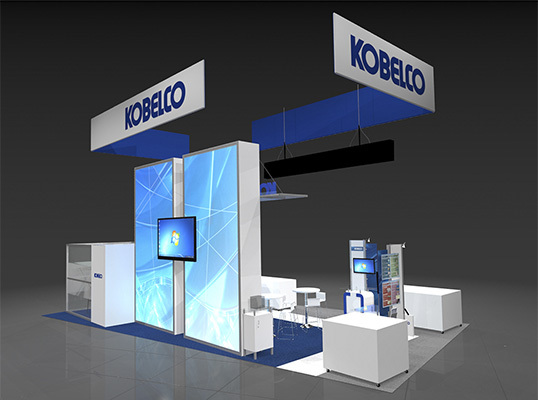 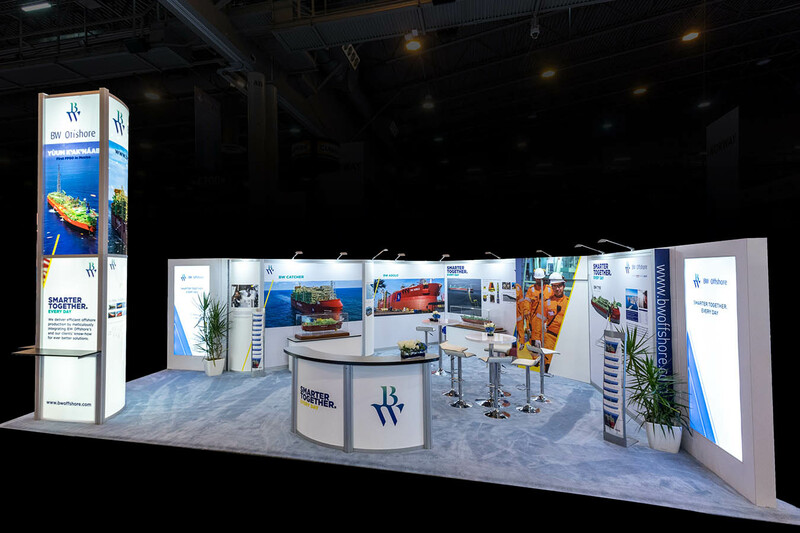 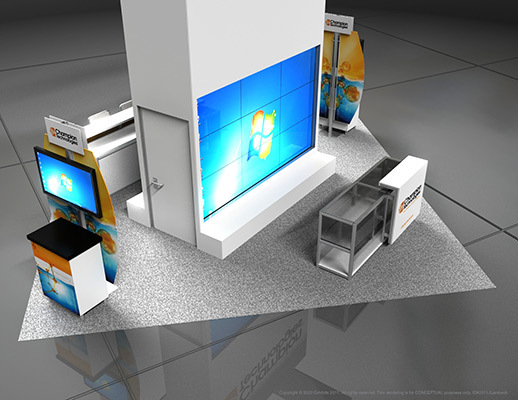 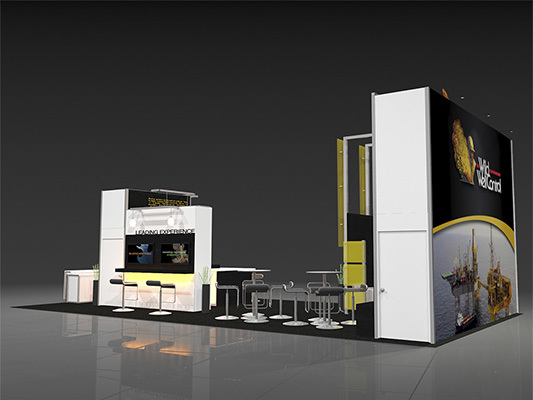 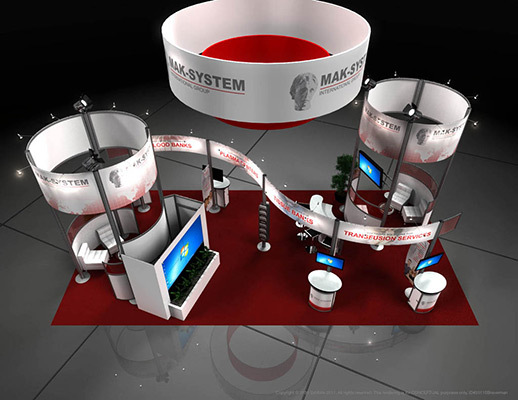 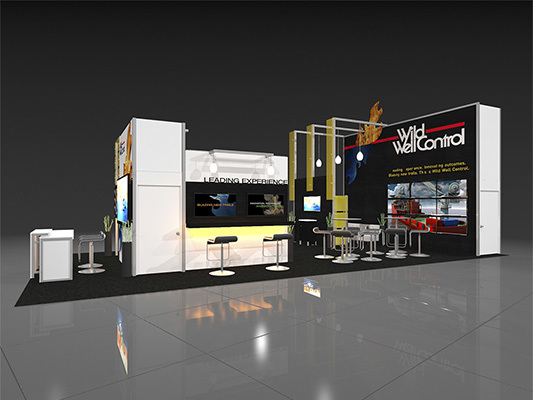 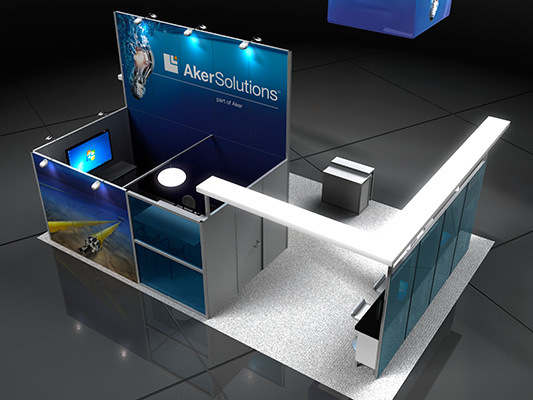 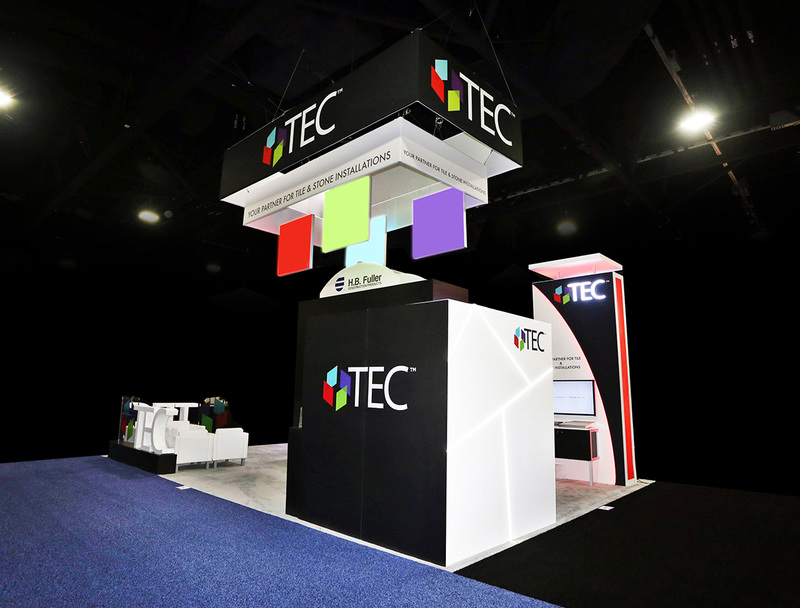 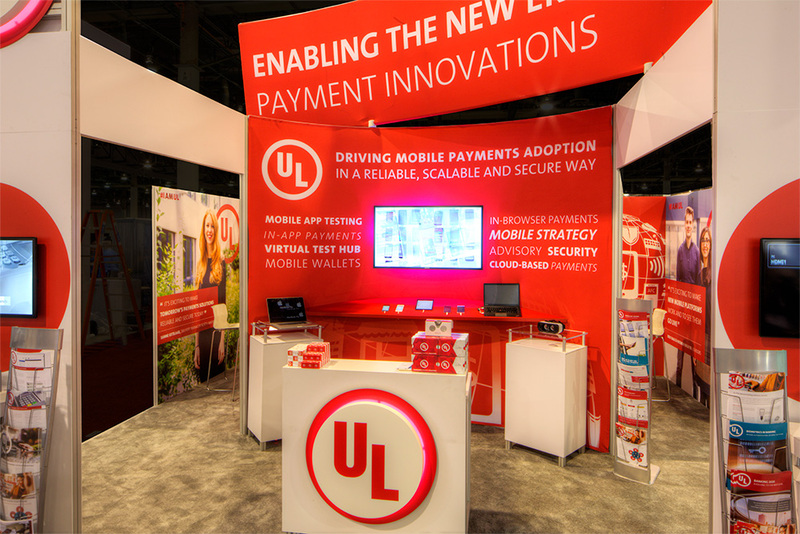 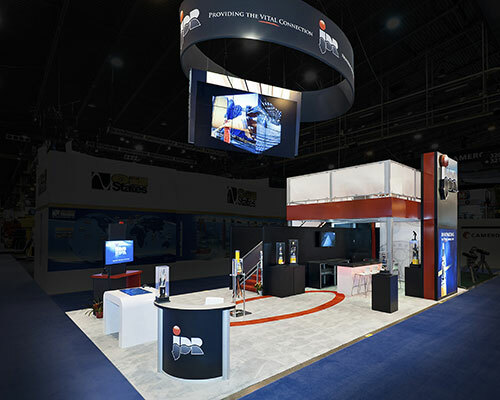 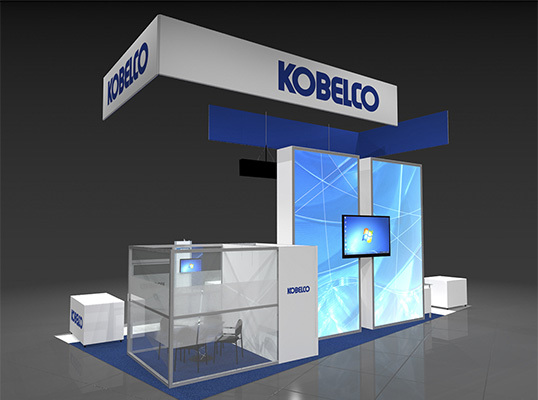 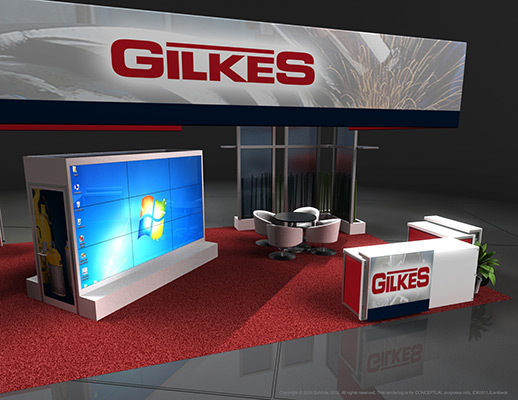 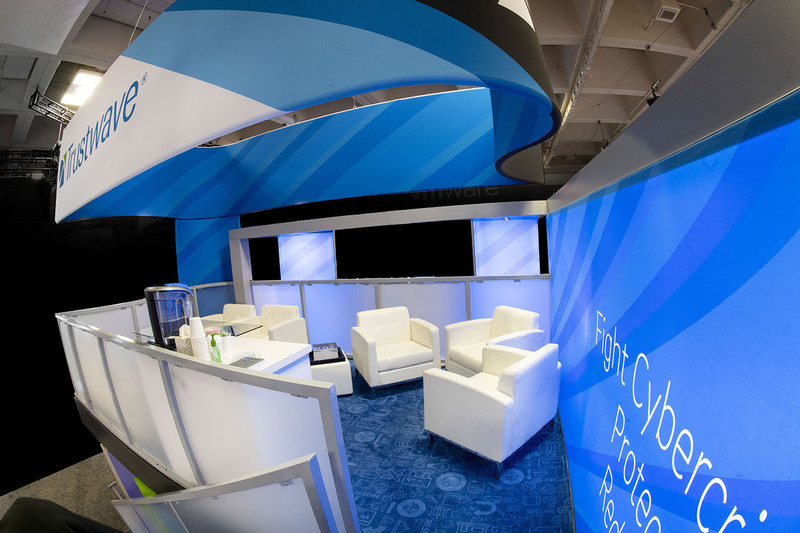 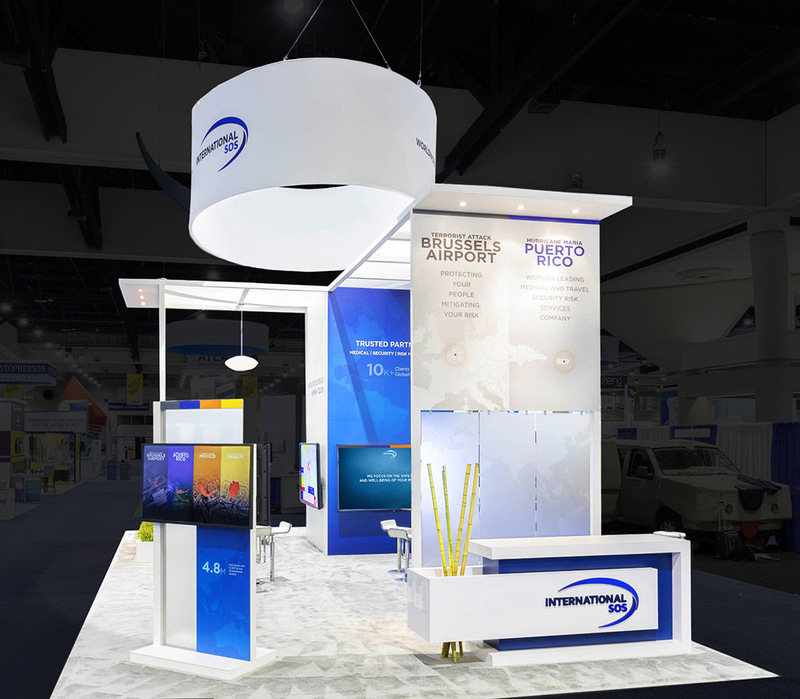 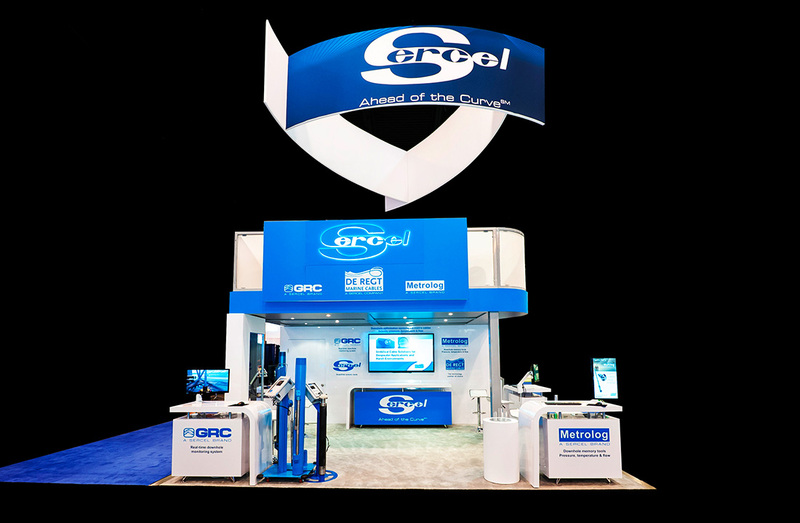 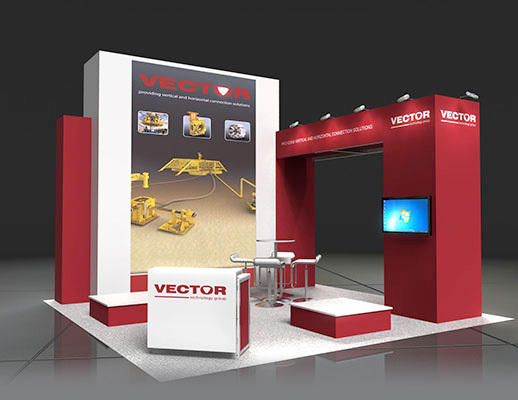 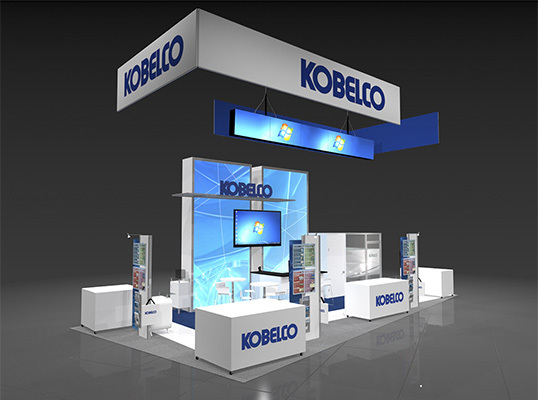 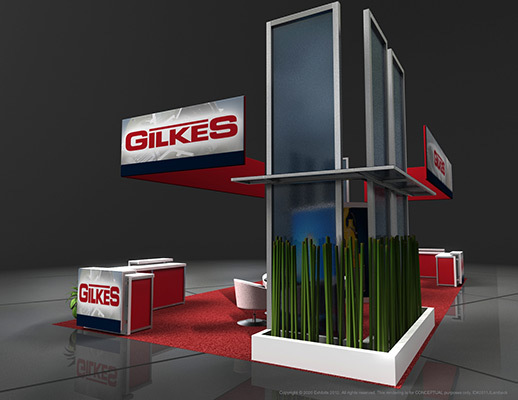 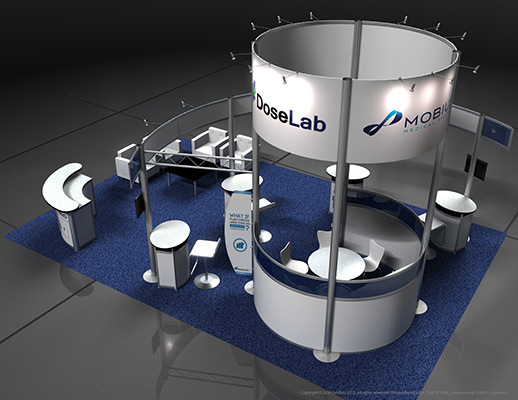 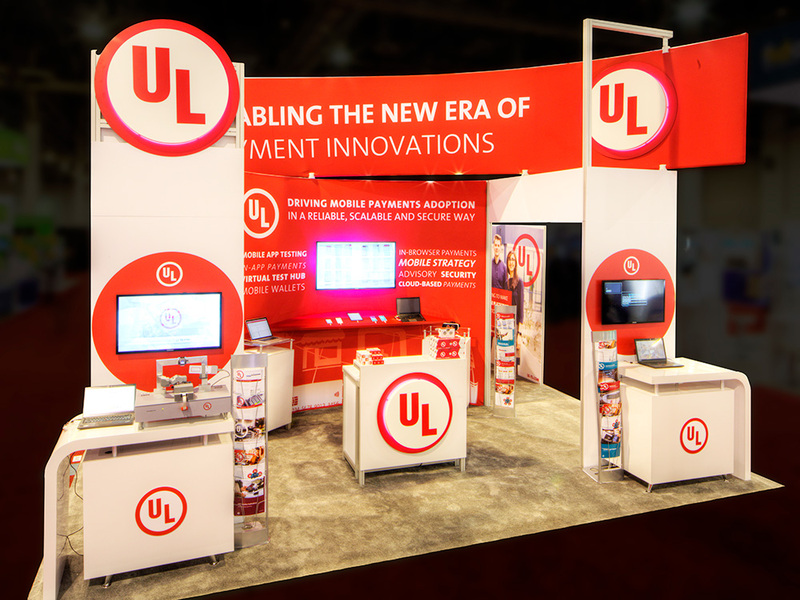 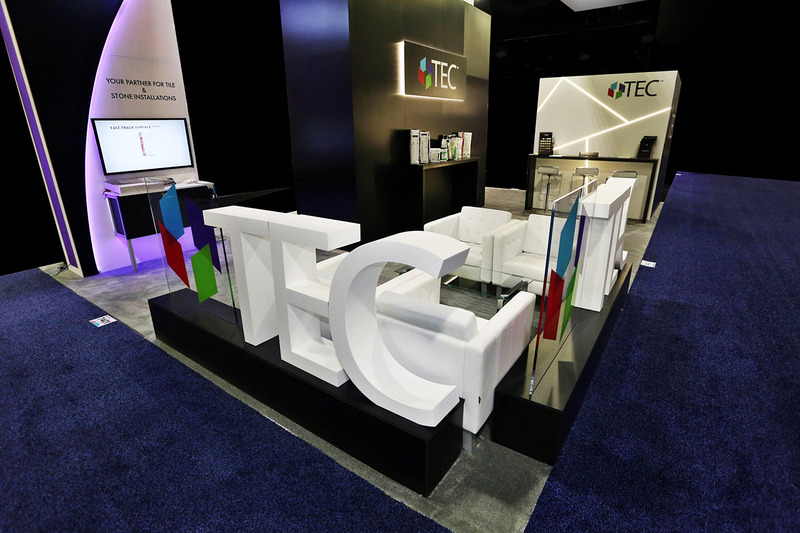 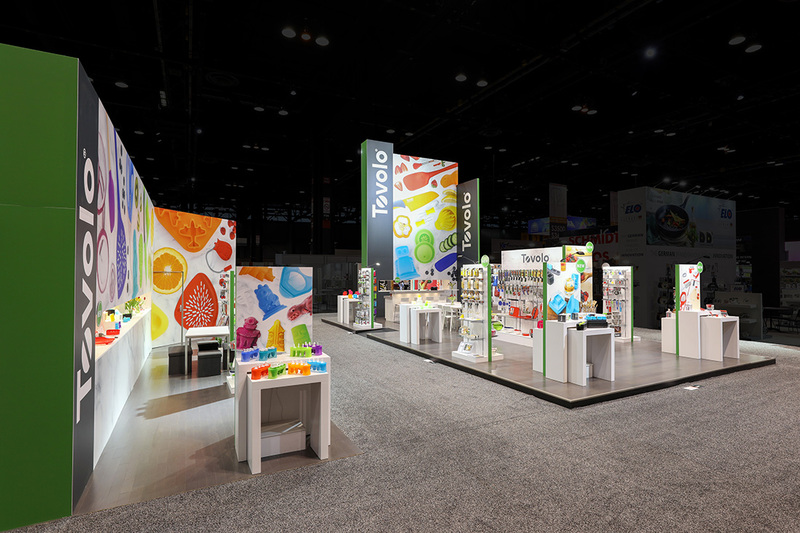 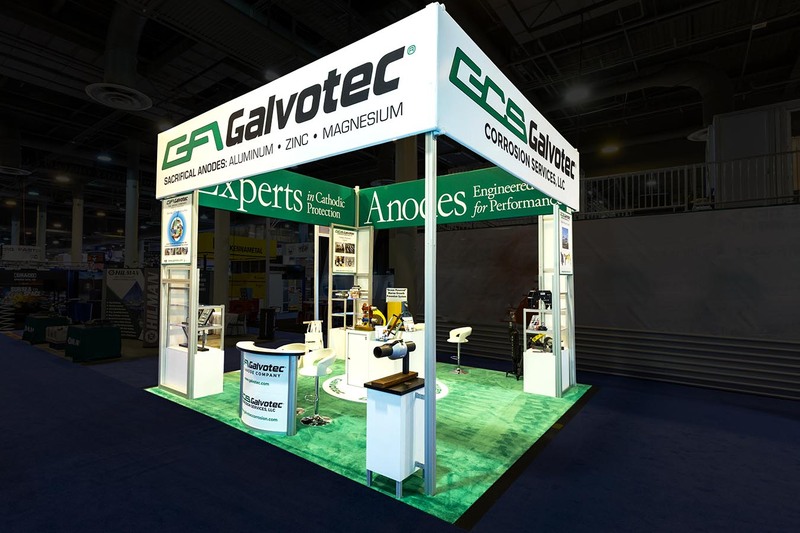 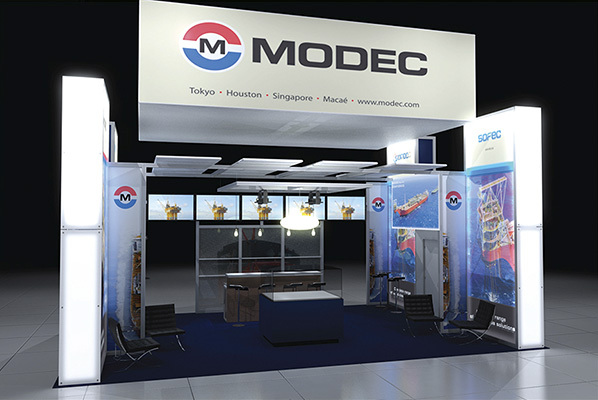 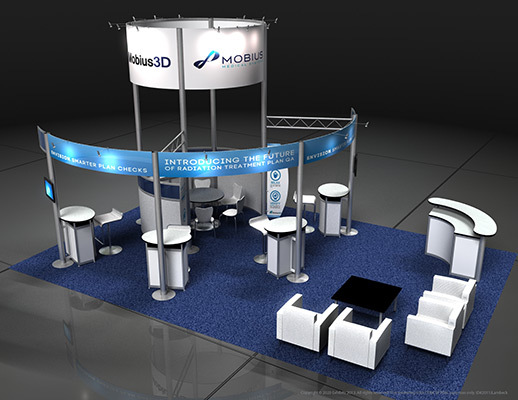 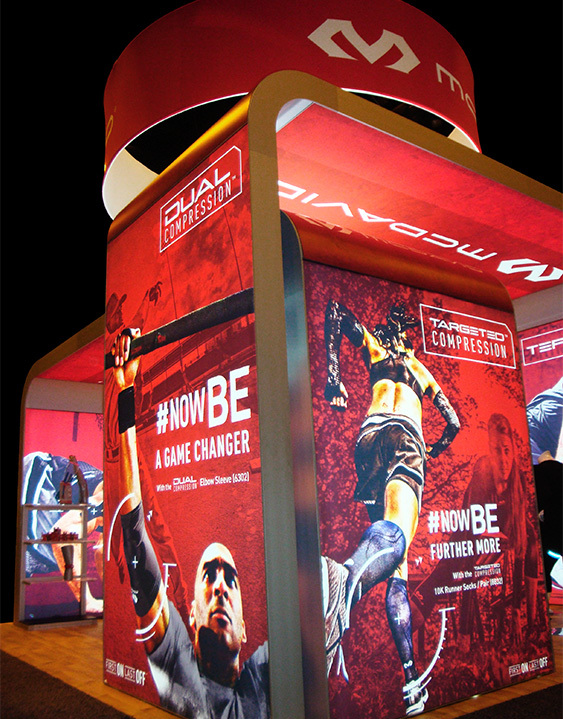 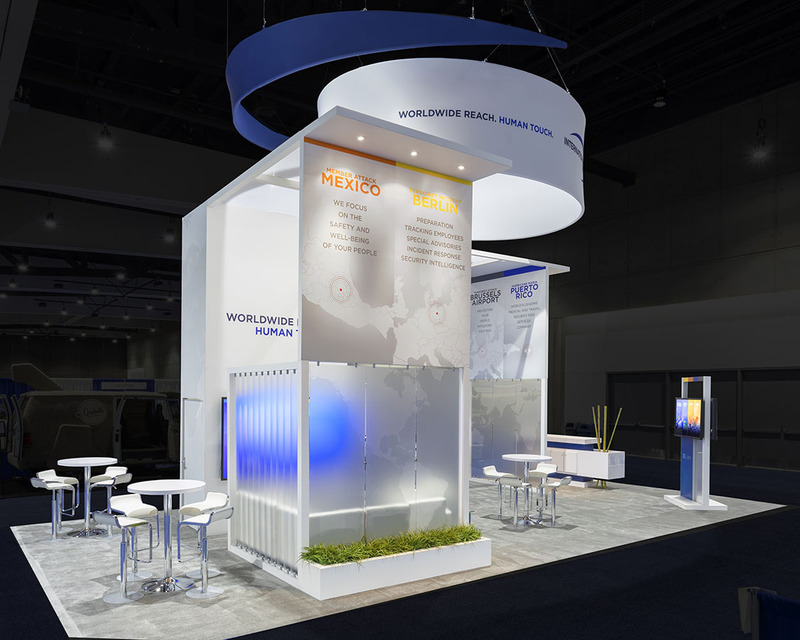 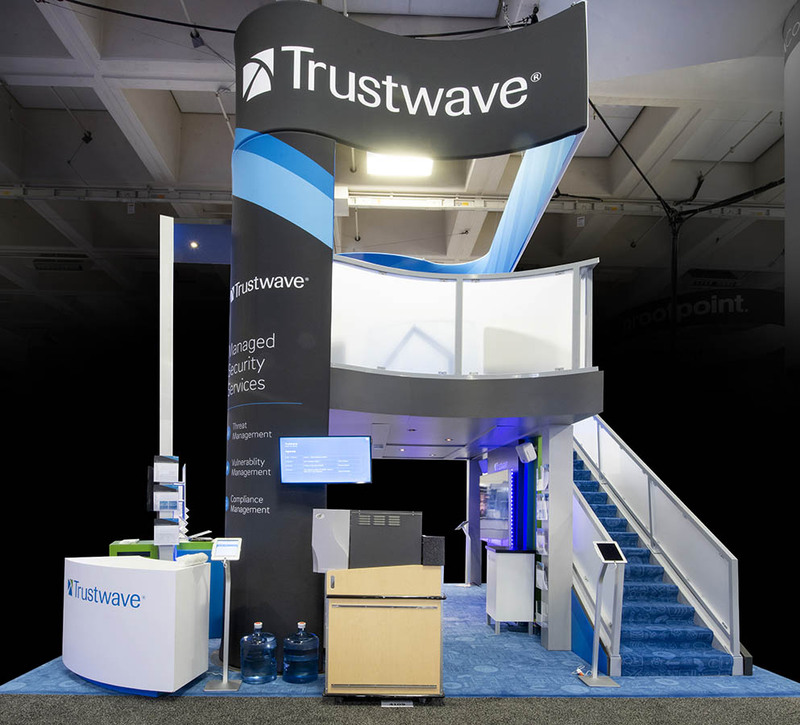 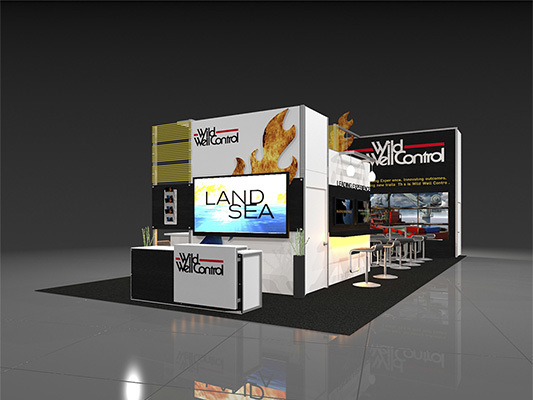 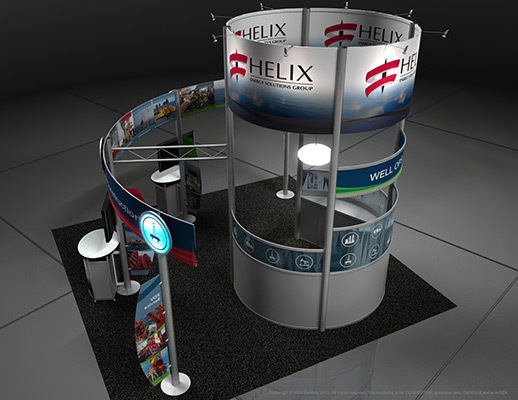 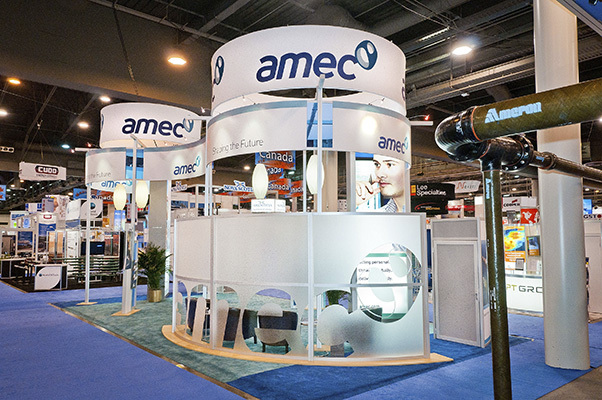 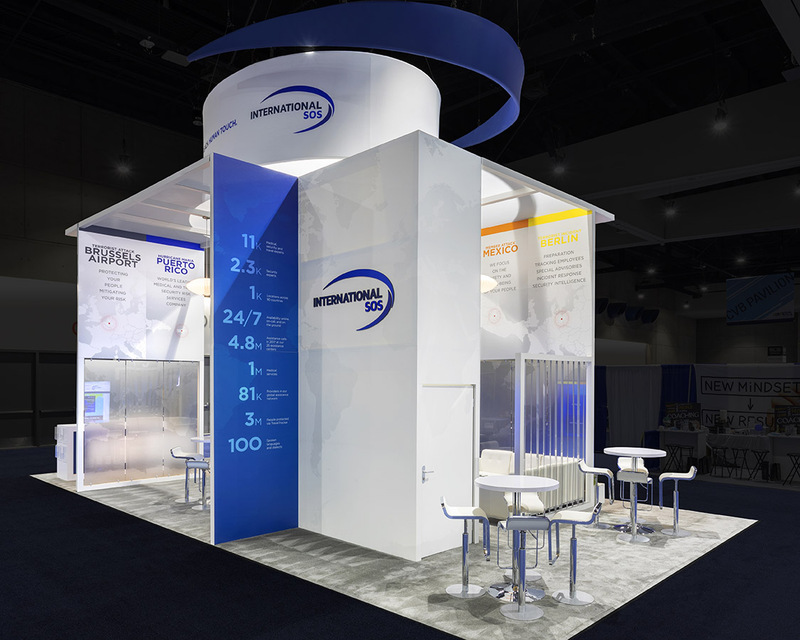 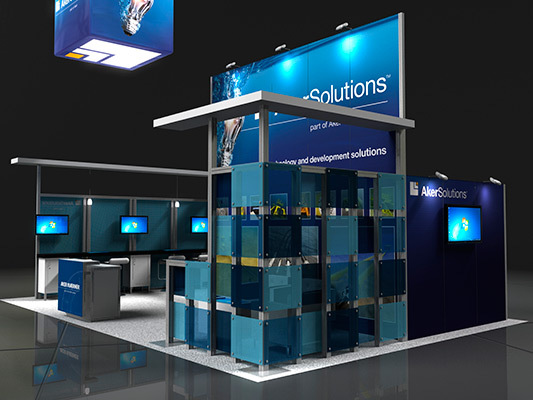 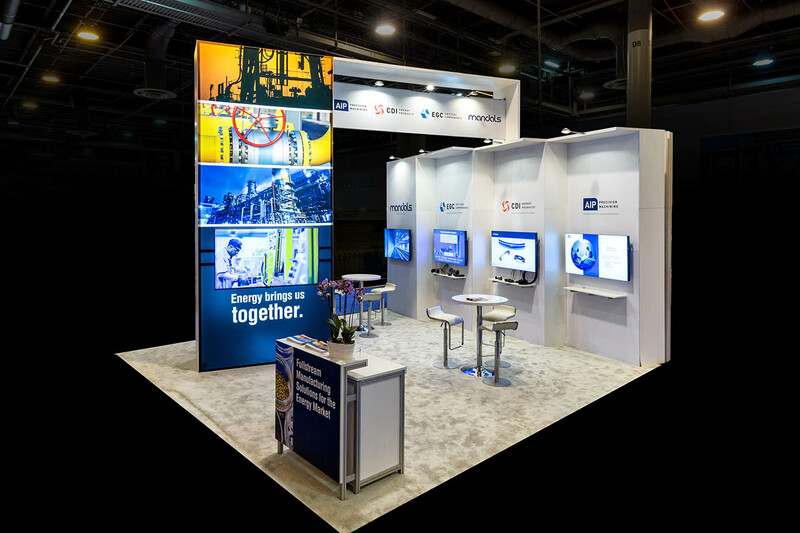 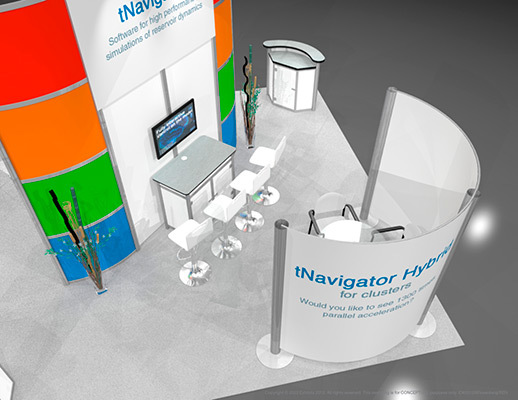 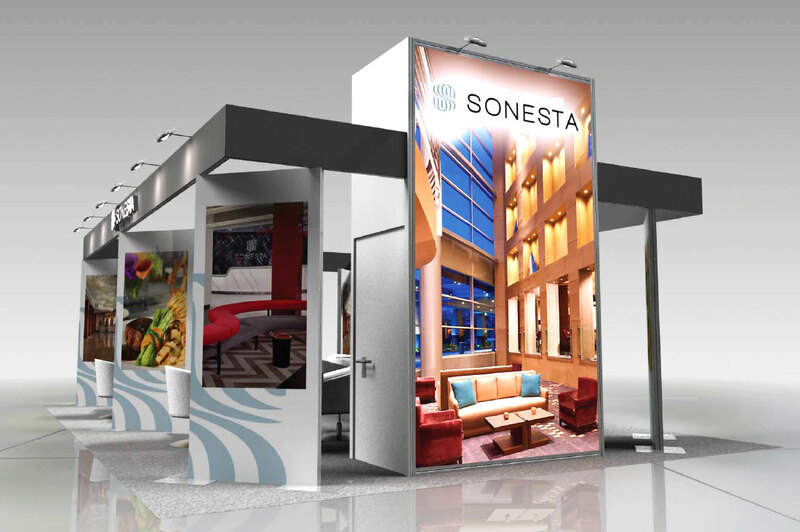 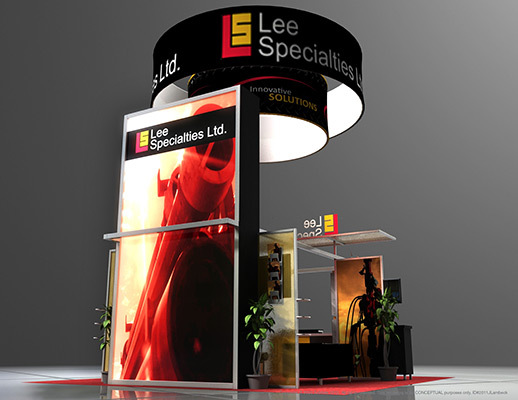 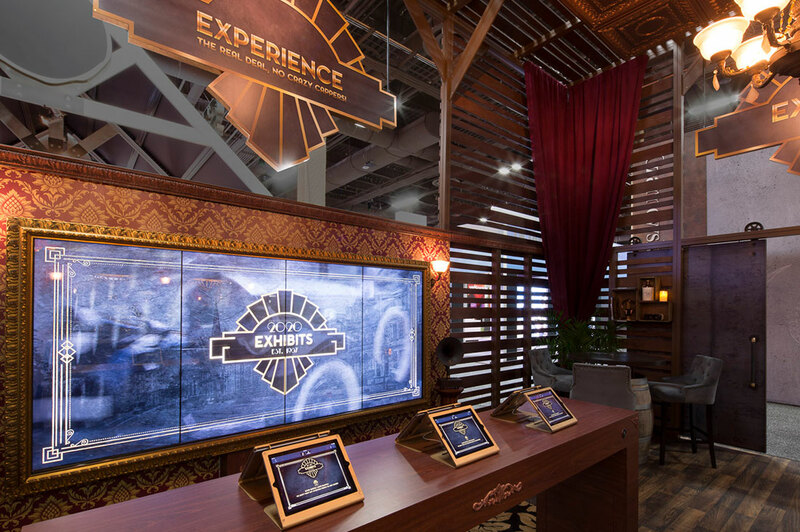 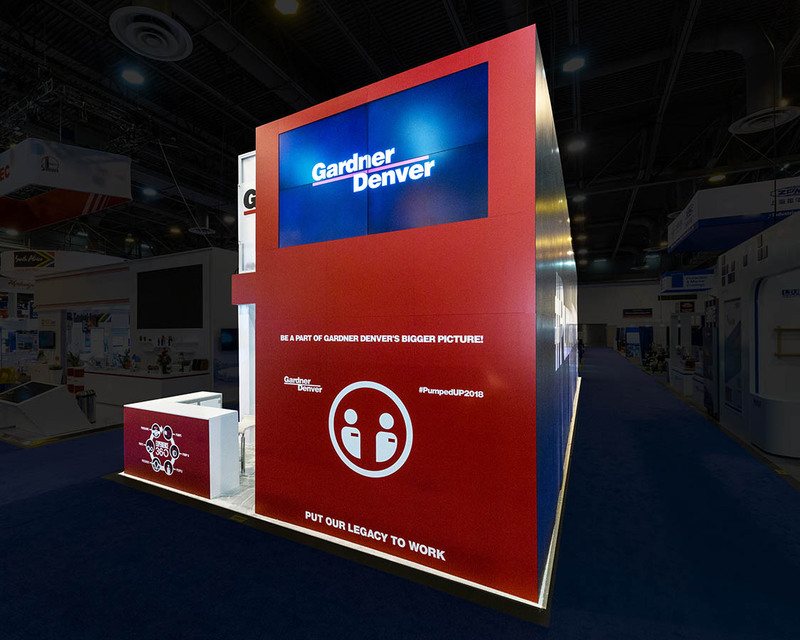 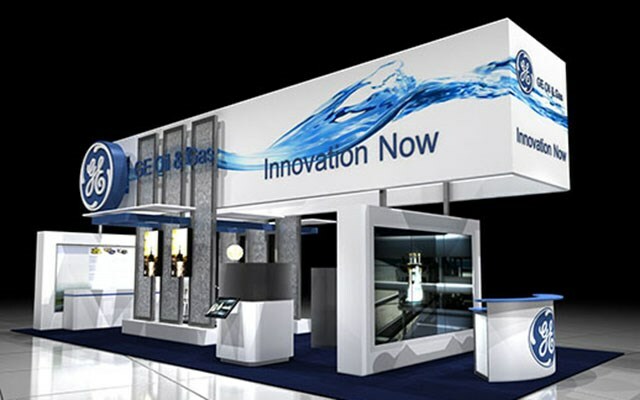 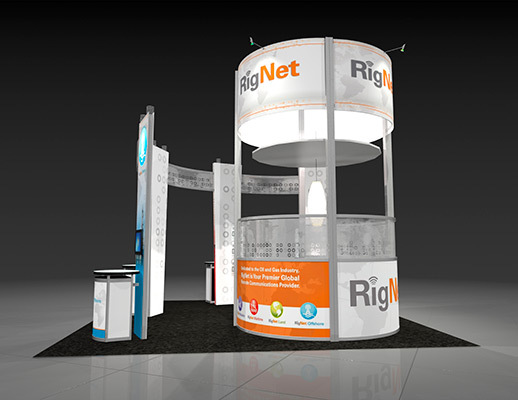 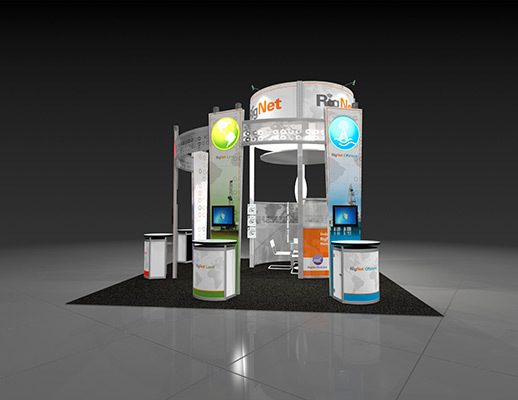 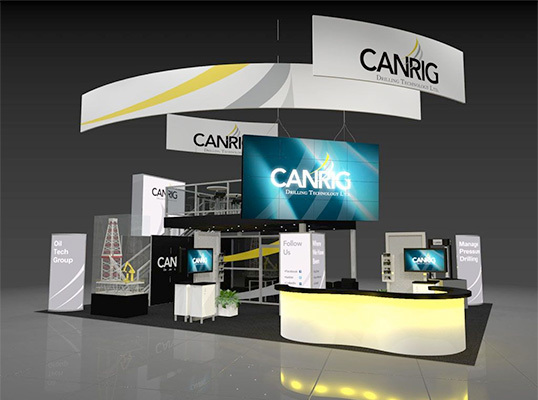 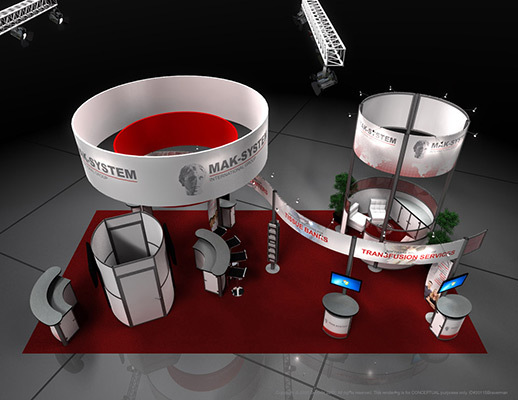 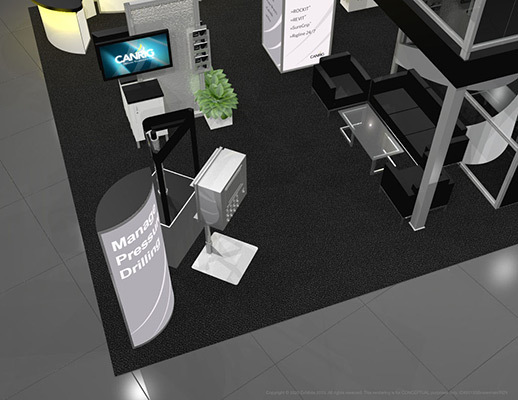 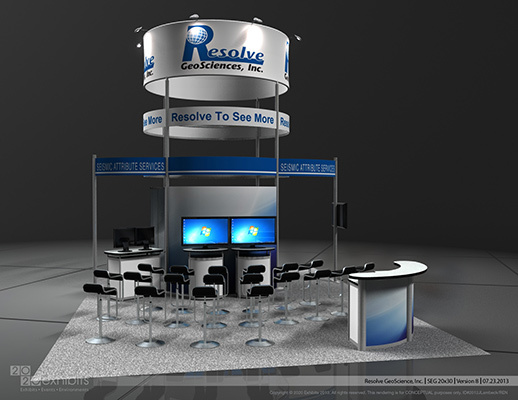 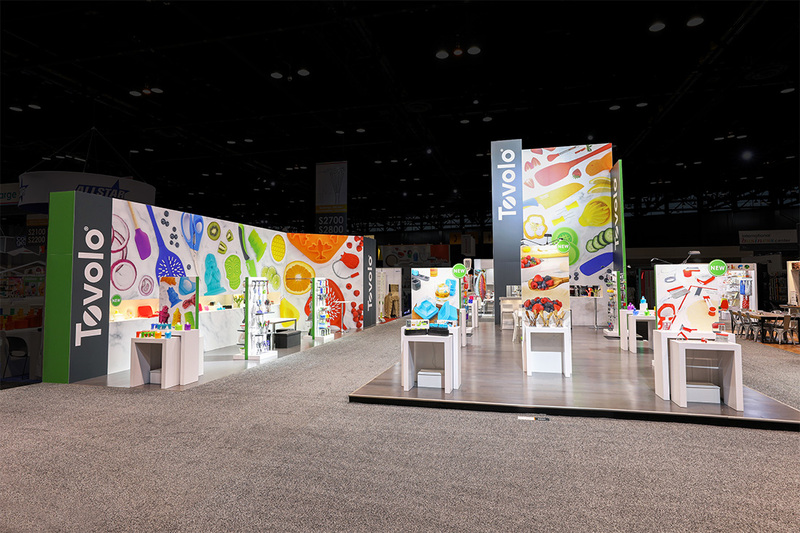 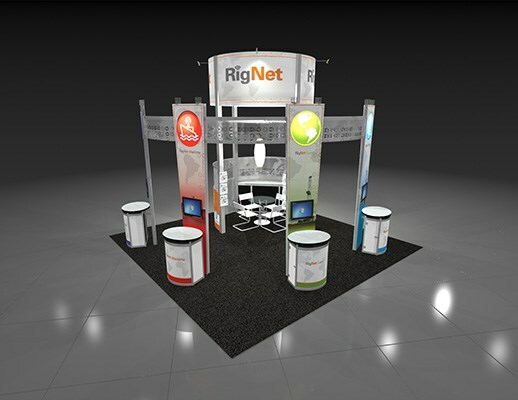 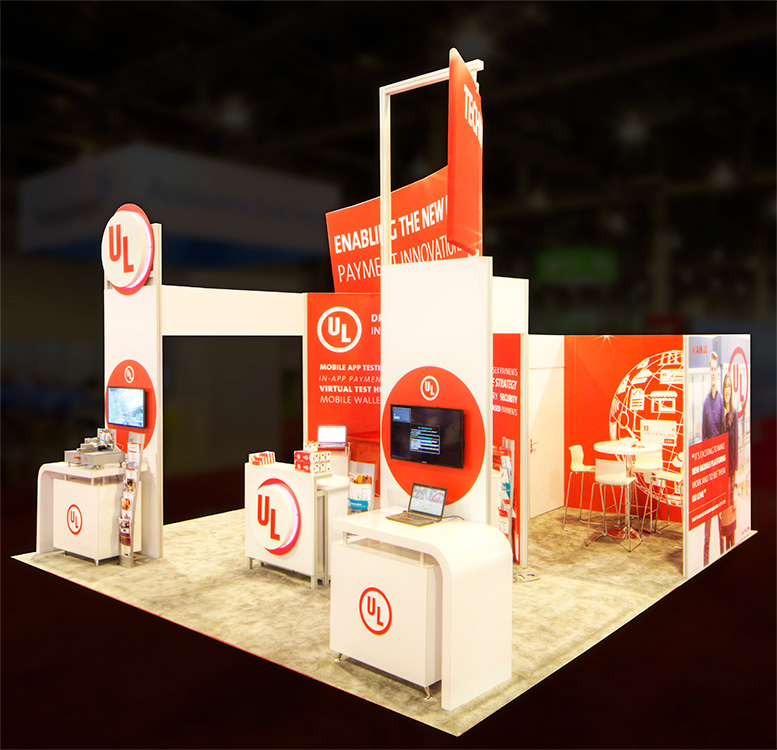 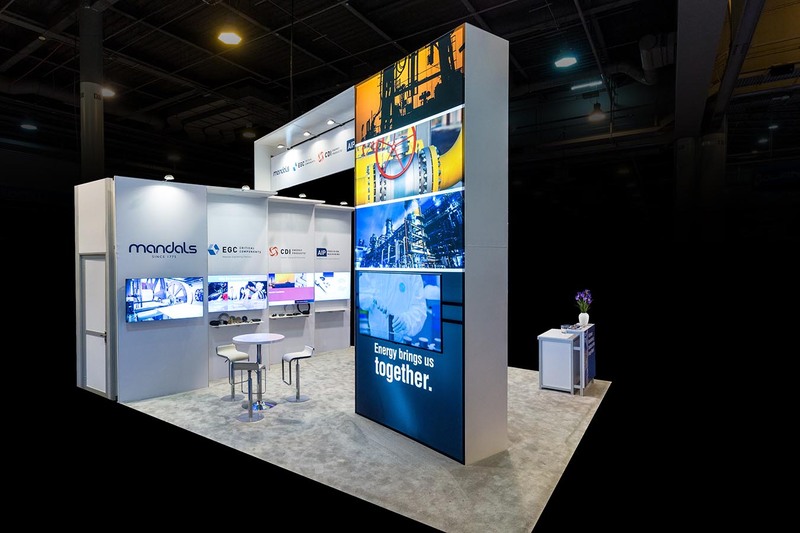 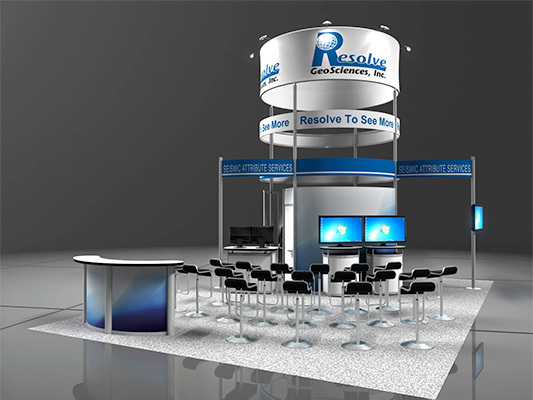 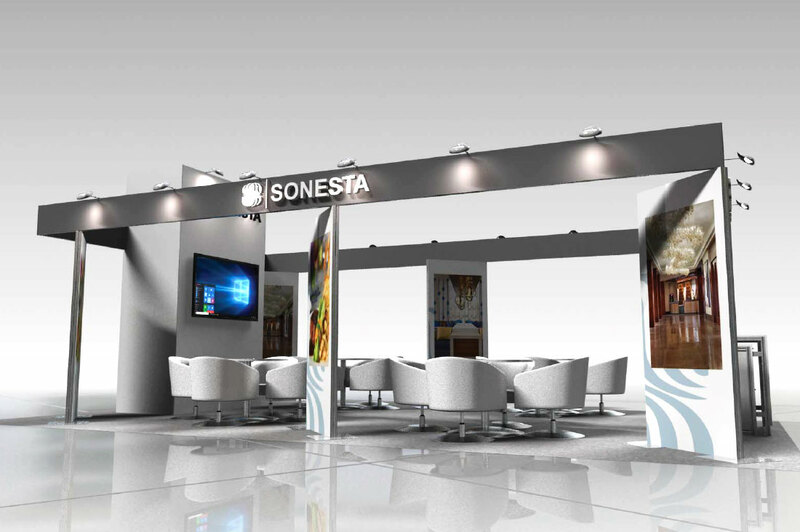 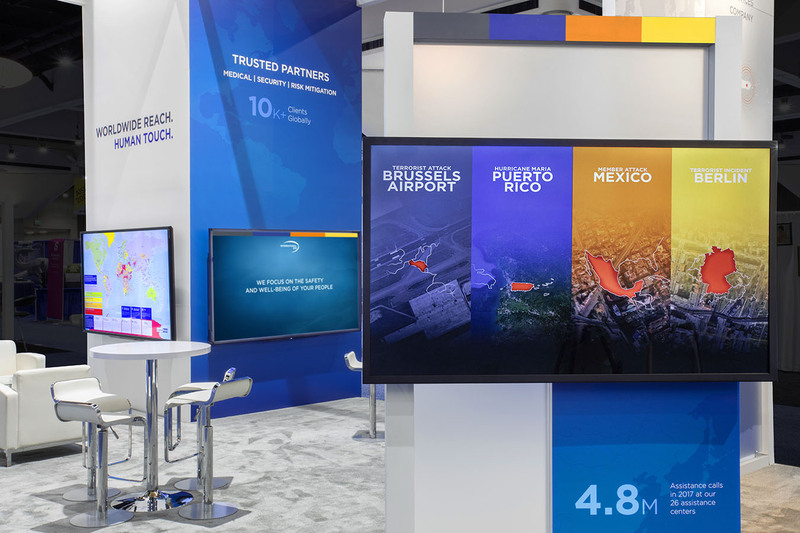 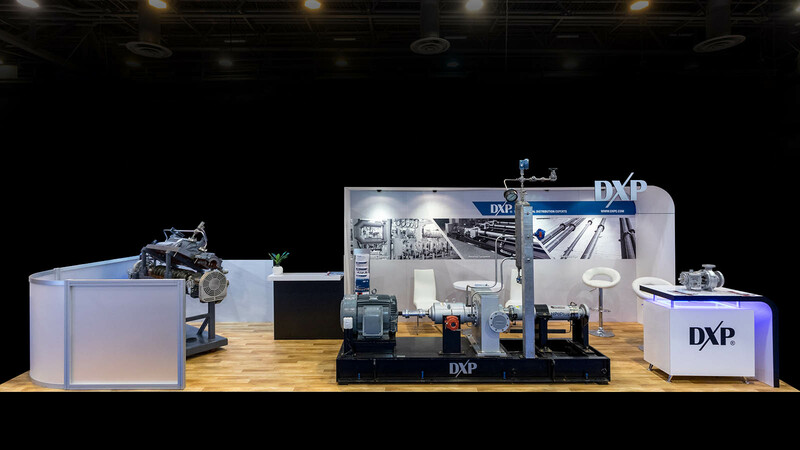 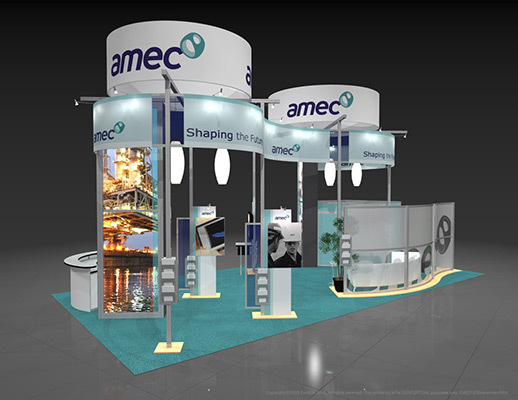 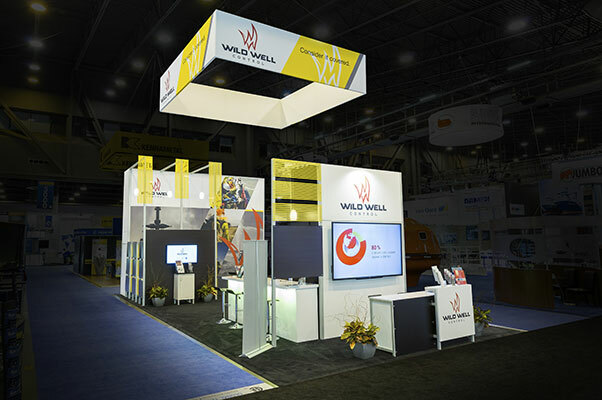 Backlit graphics draw attention from the show floor as well as two round overhead signs for 360 degree viewing. 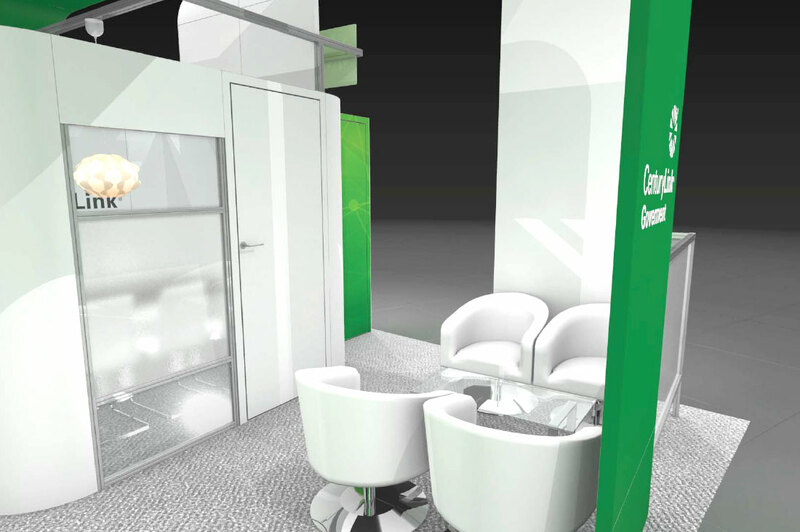 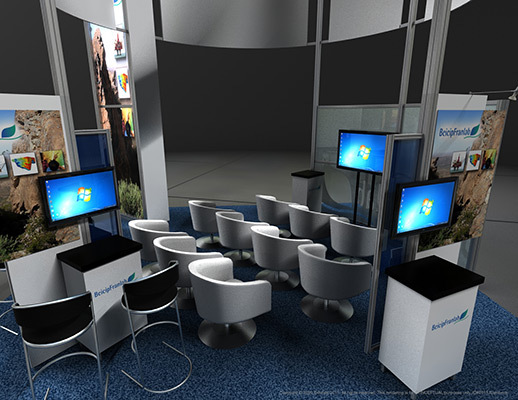 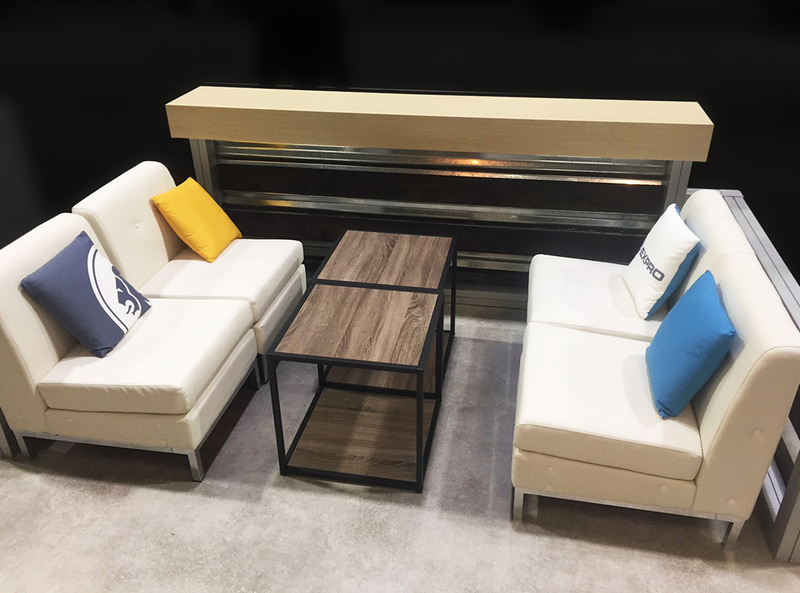 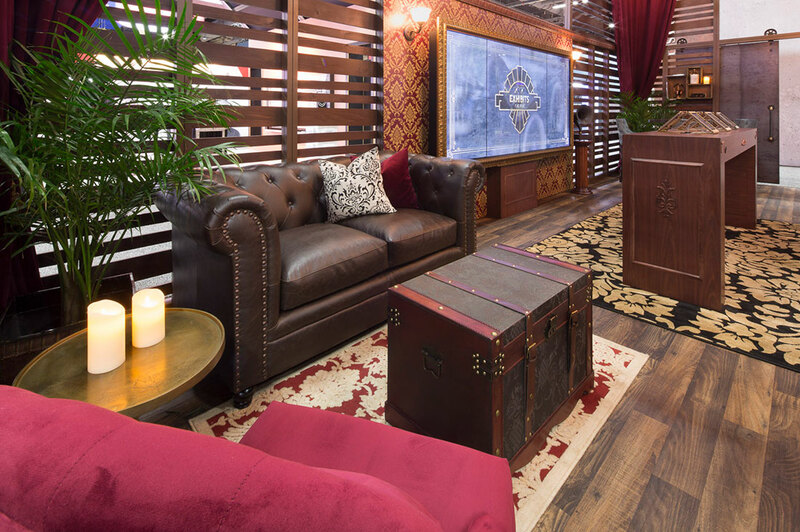 Ample seating for meeting and conversation and plenty of storage for any brochures or handouts. 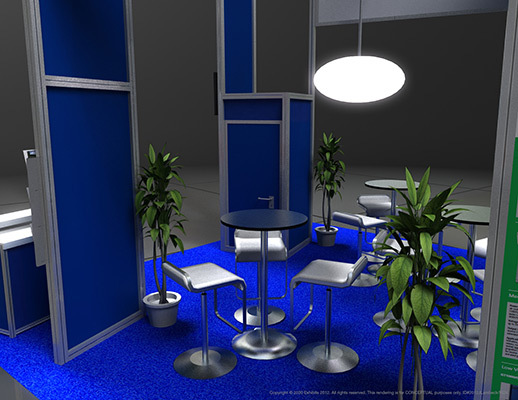 Greenery strategically placed brings life and a touch of nature into the space. 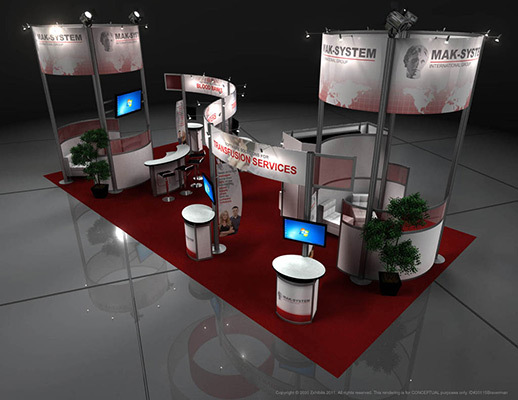 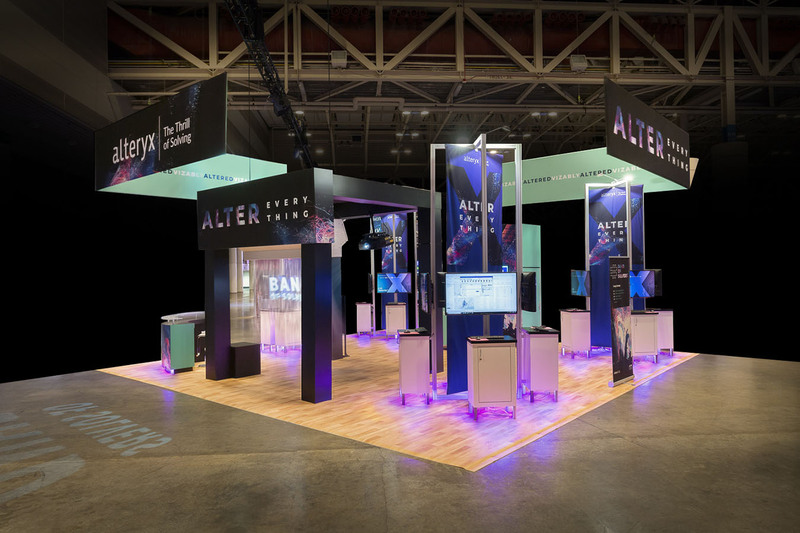 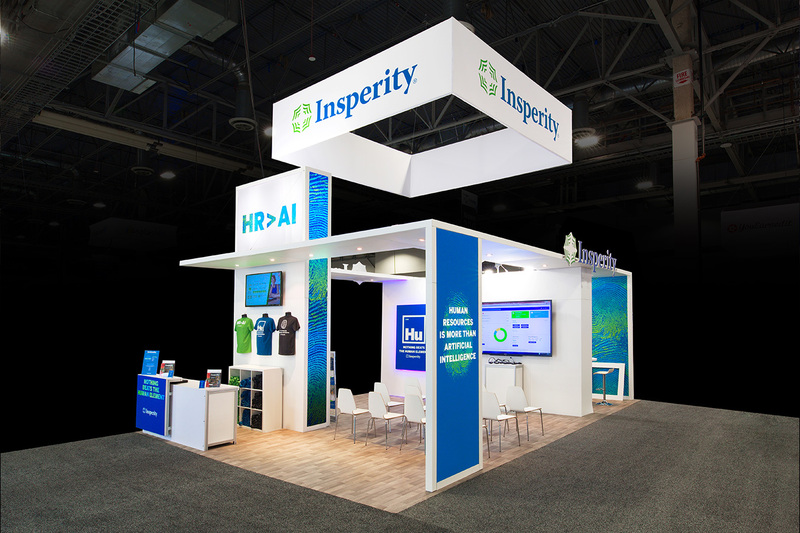 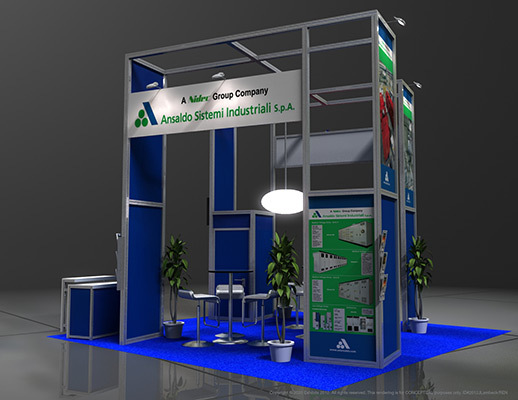 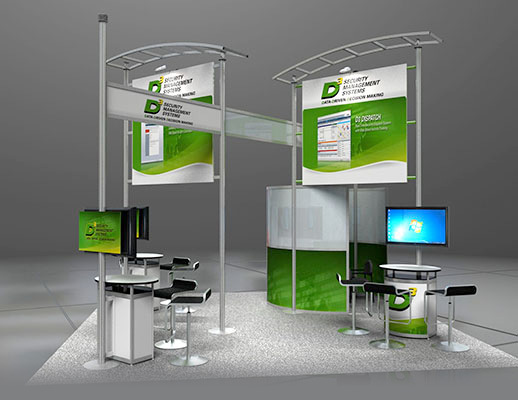 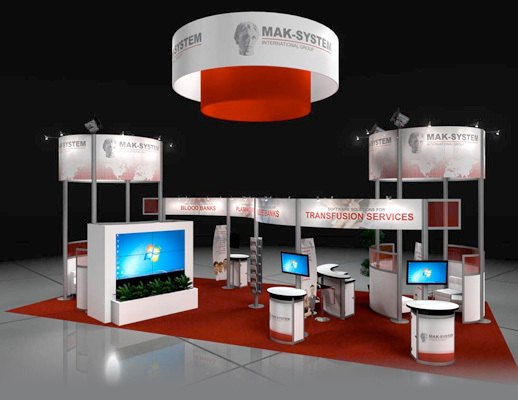 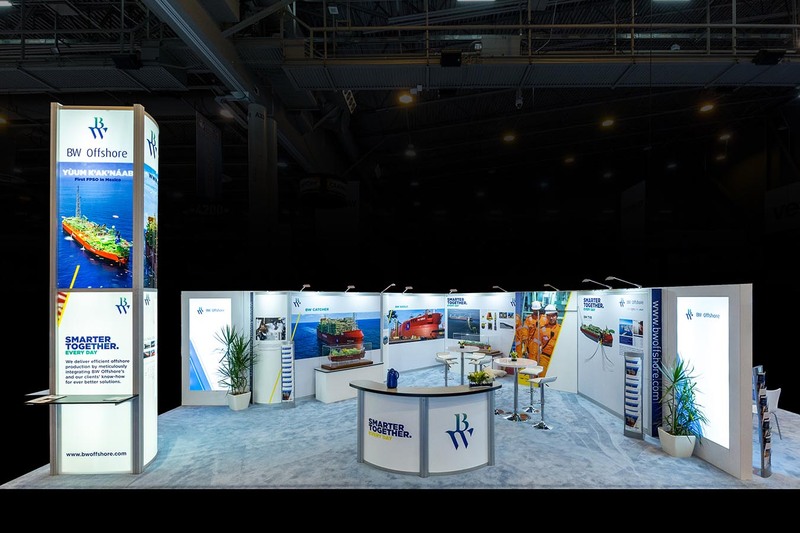 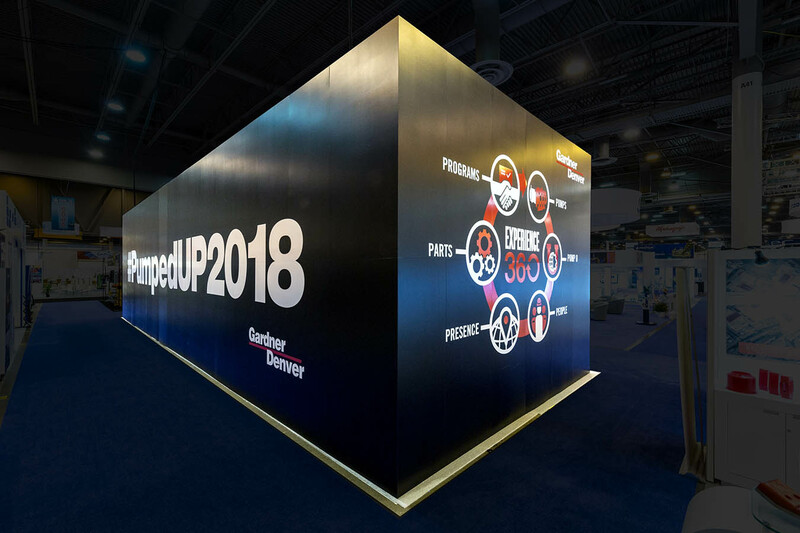 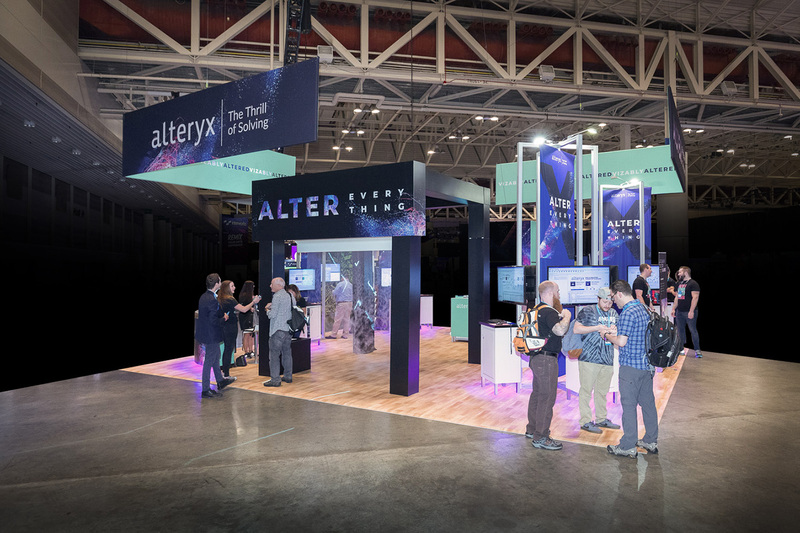 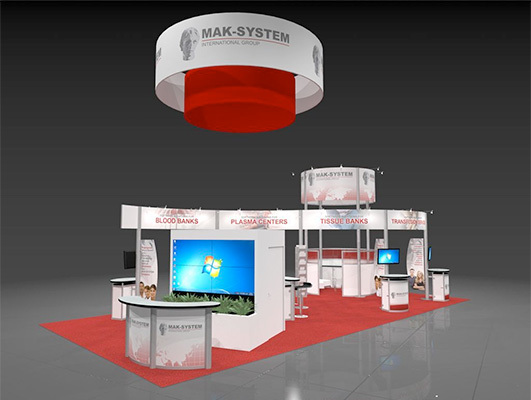 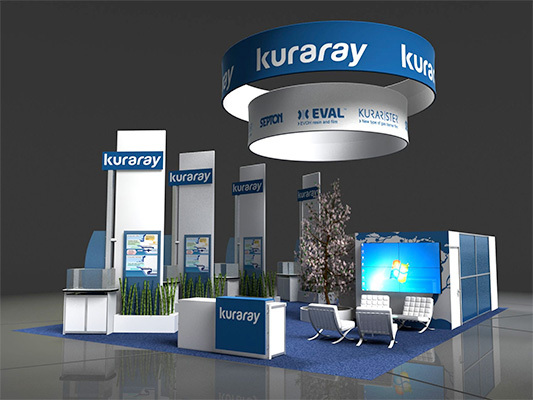 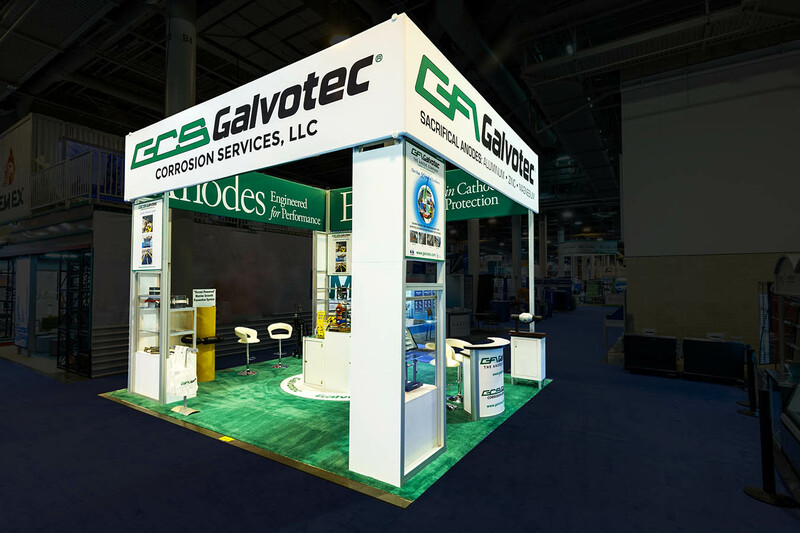 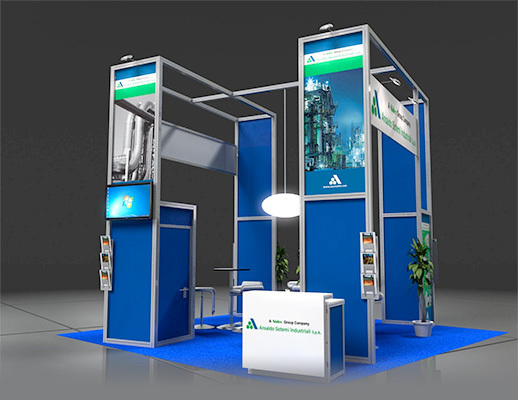 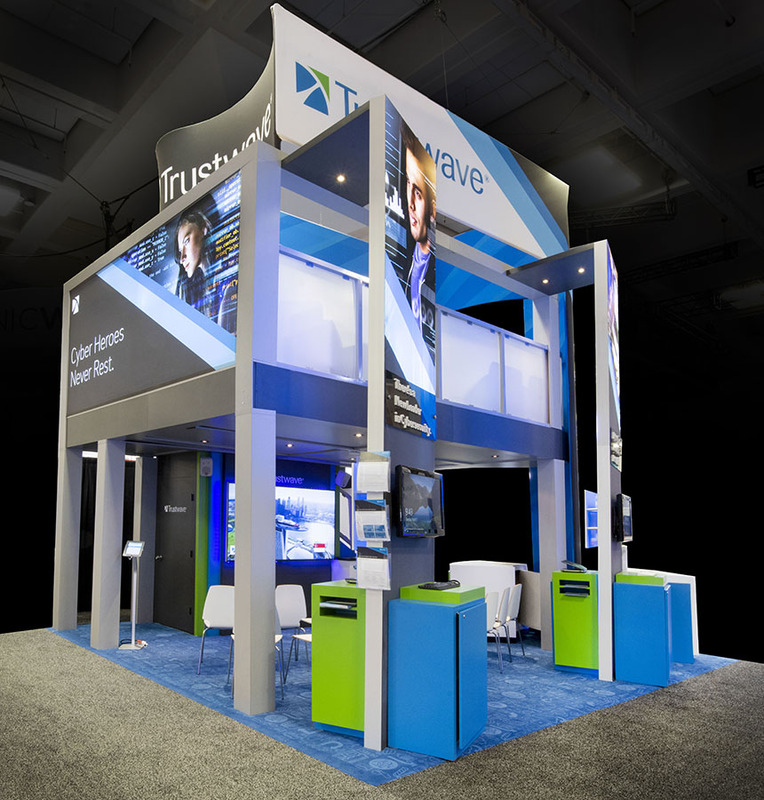 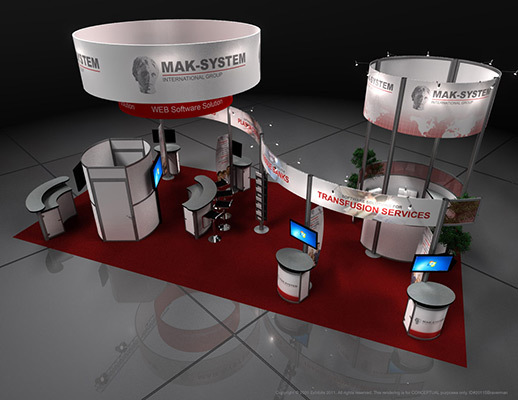 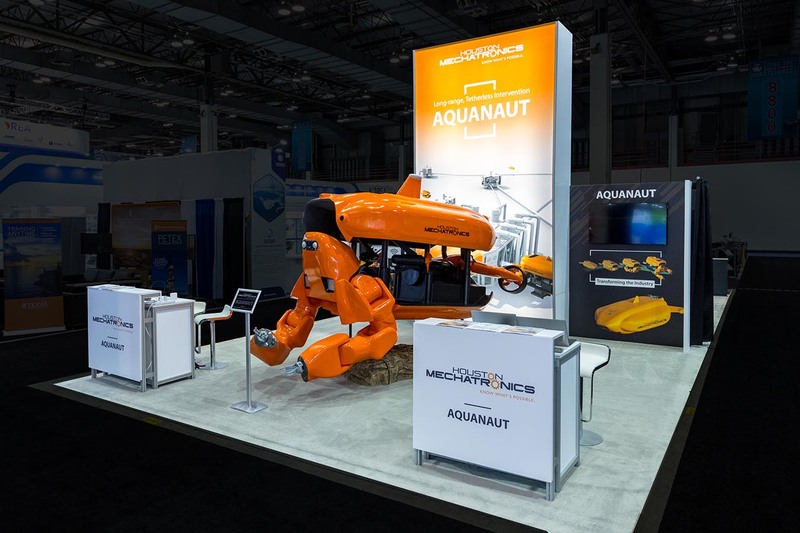 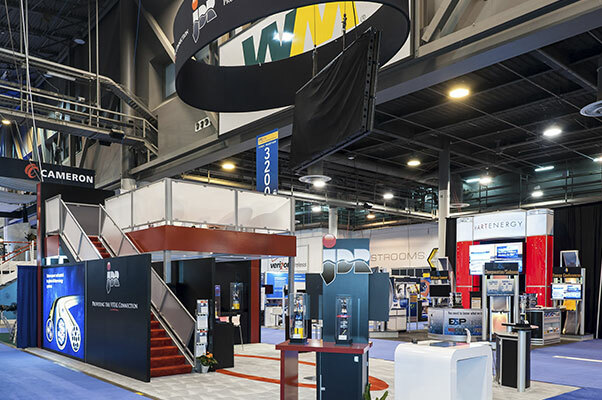 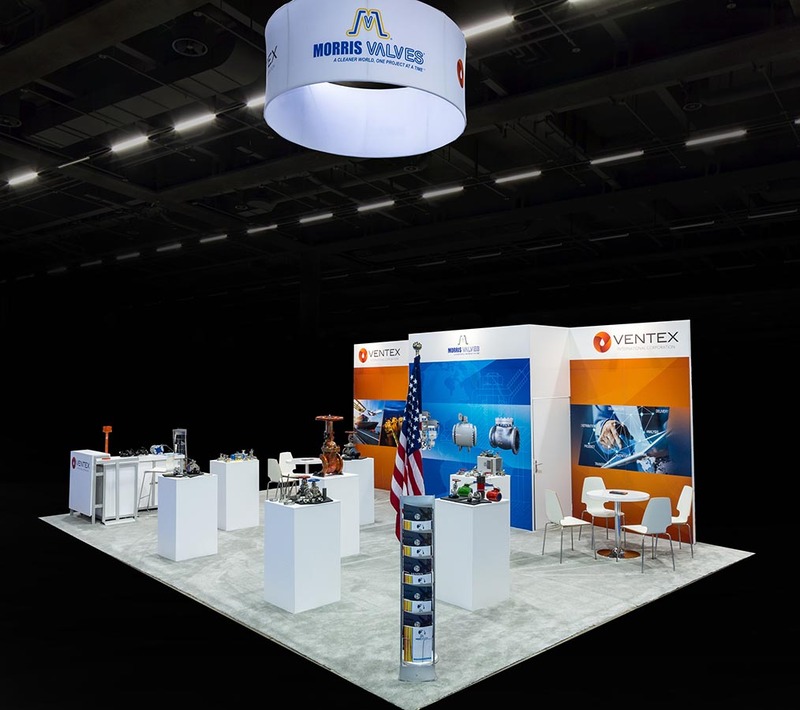 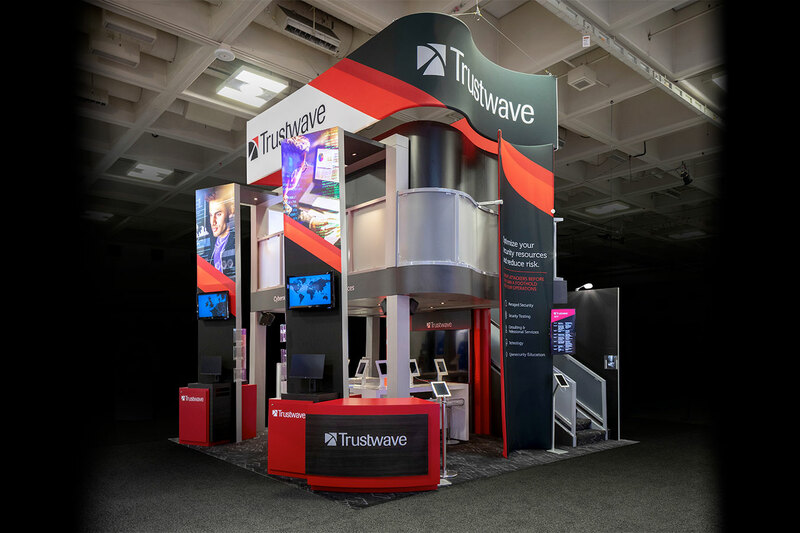 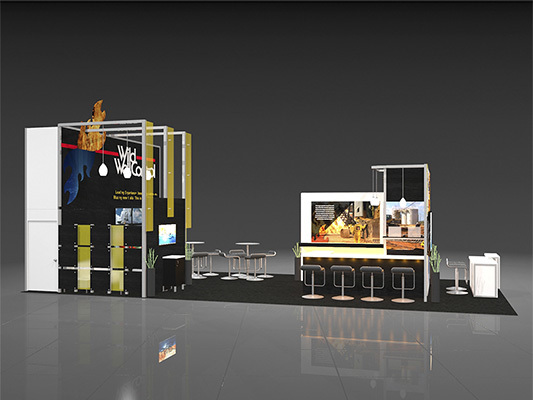 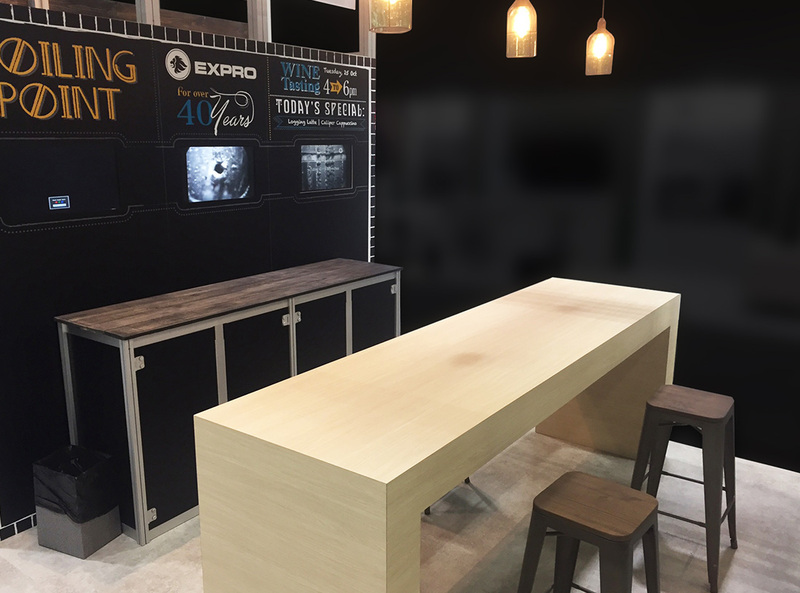 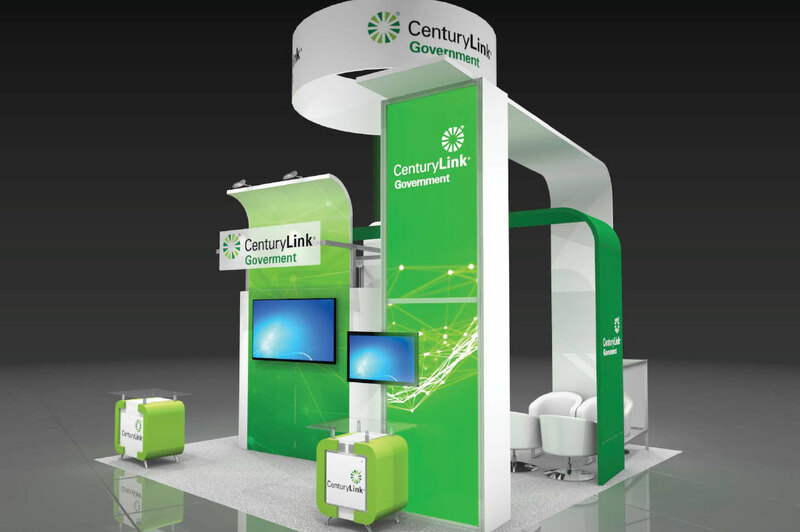 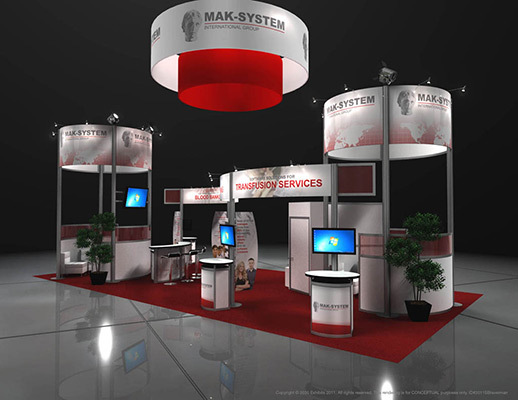 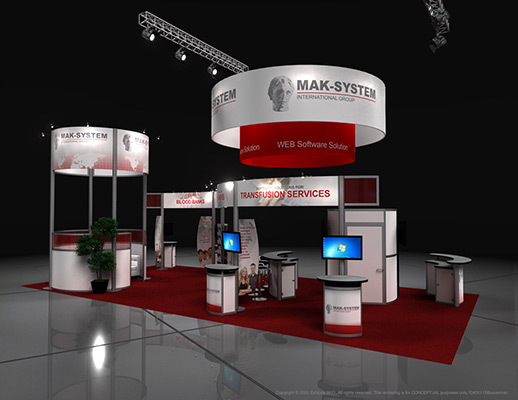 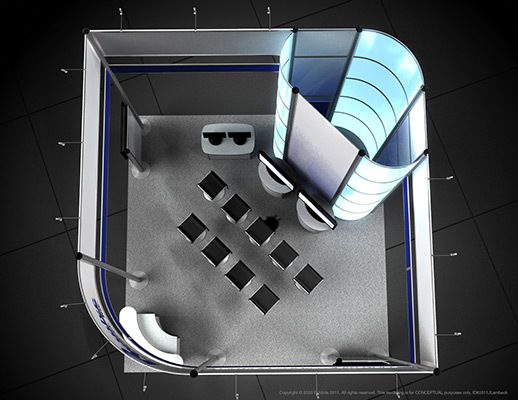 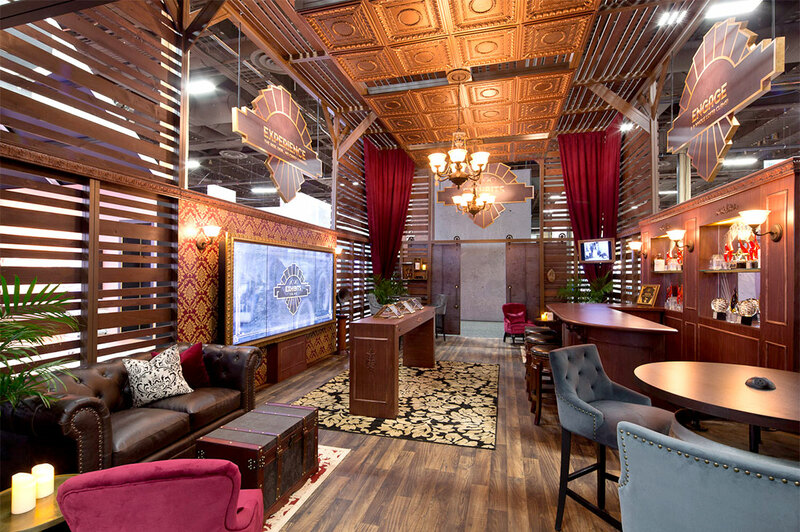 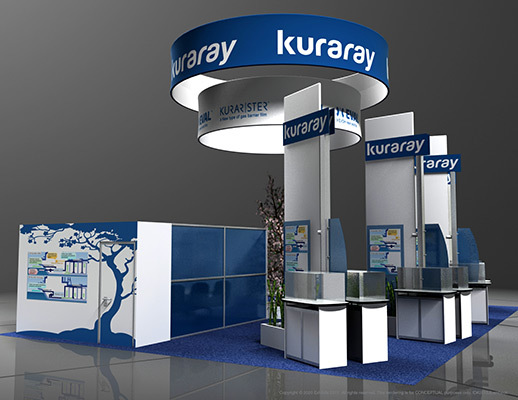 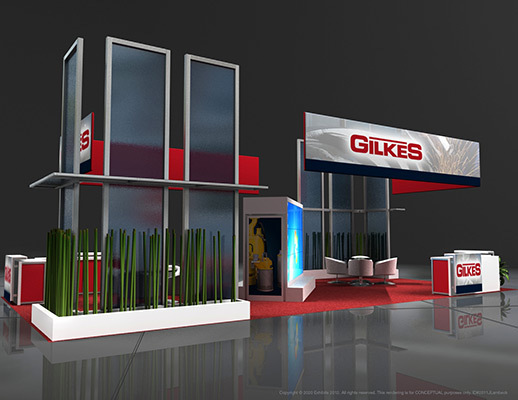 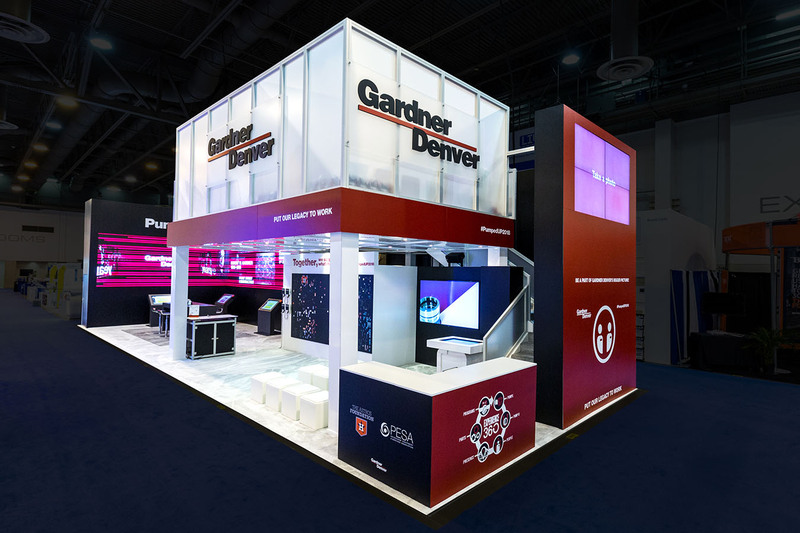 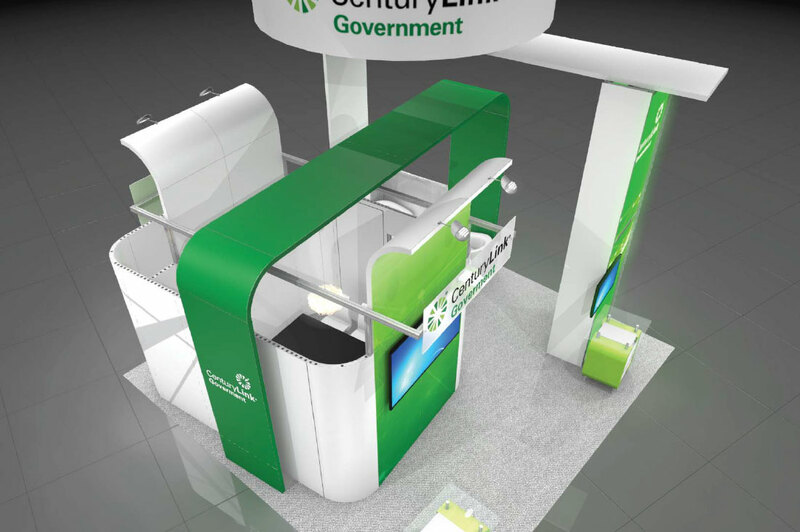 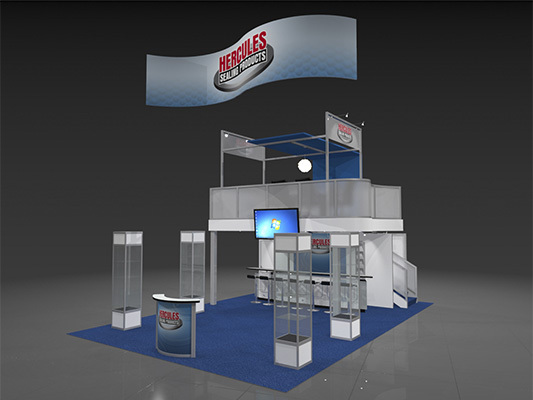 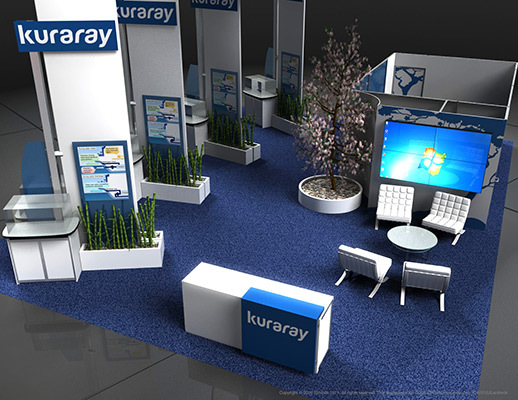 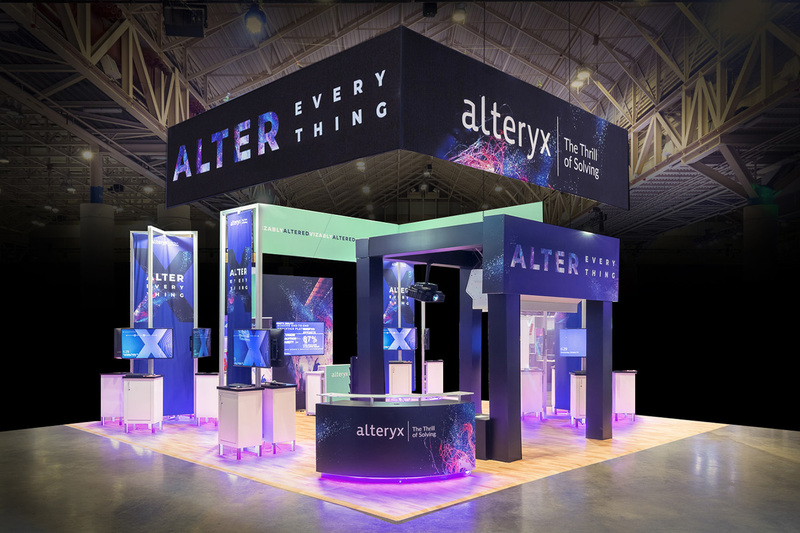 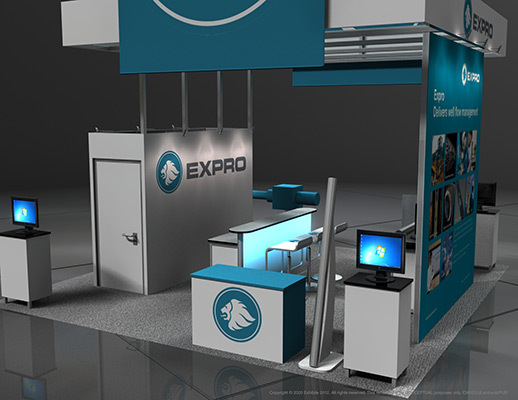 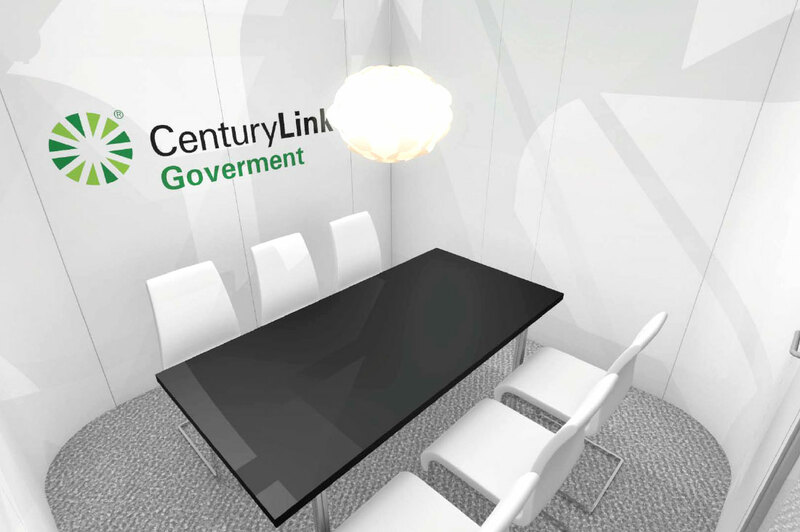 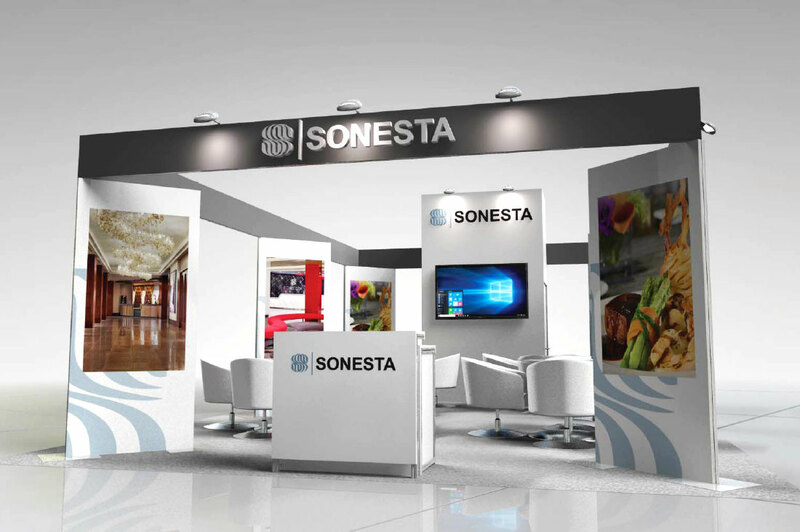 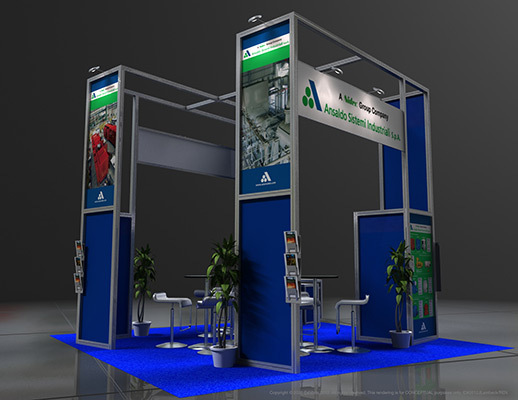 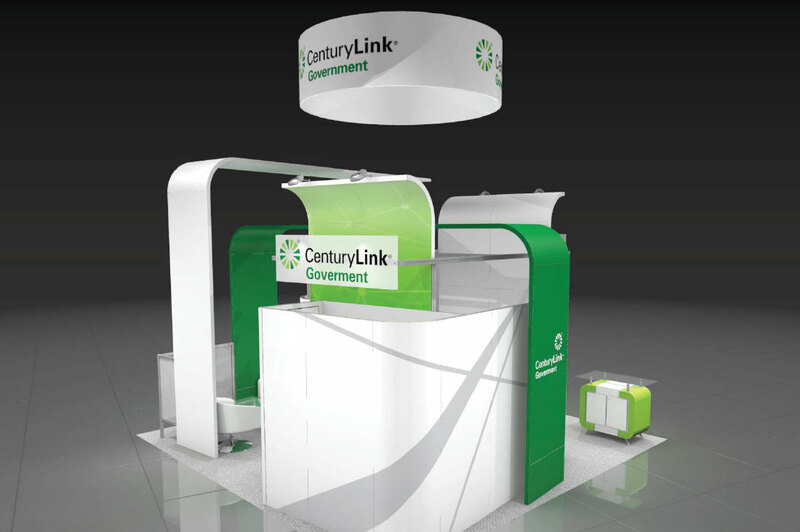 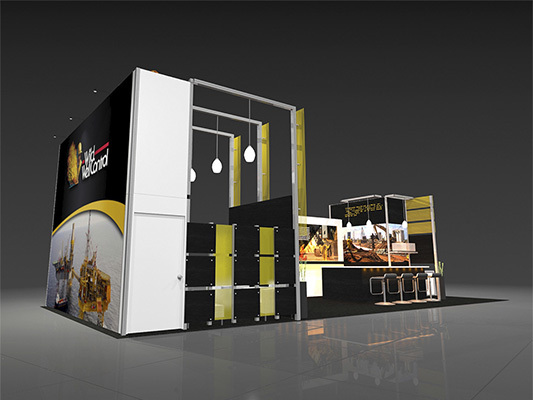 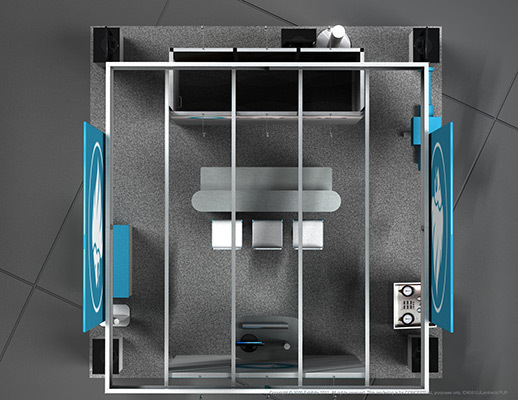 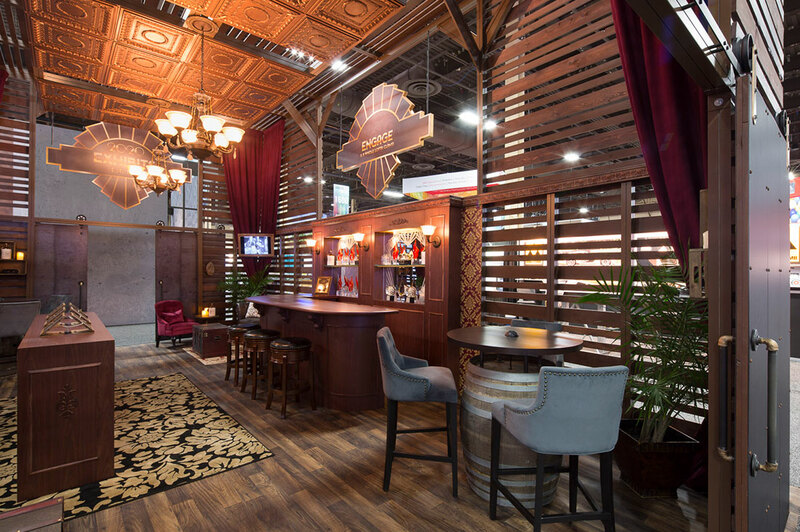 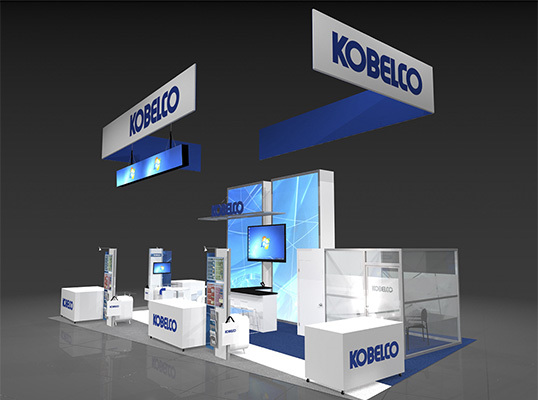 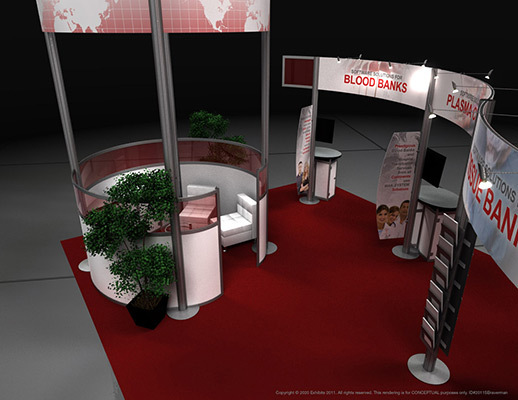 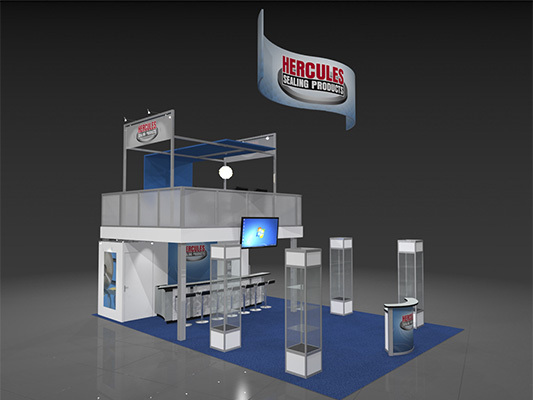 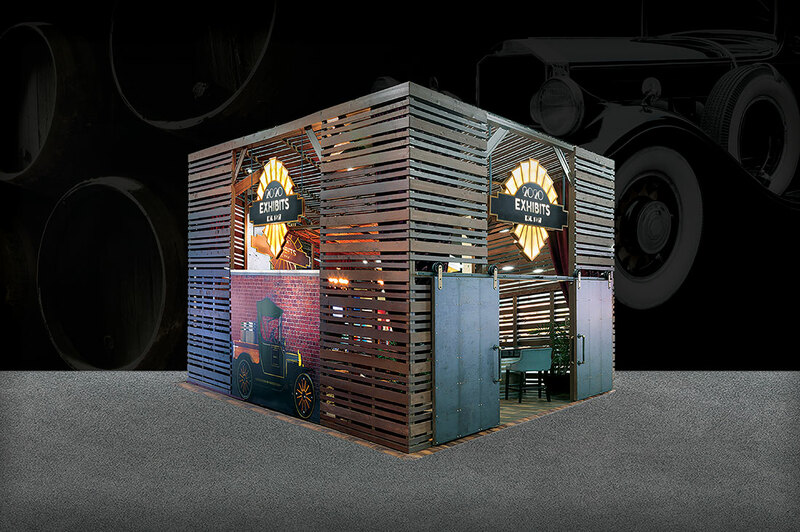 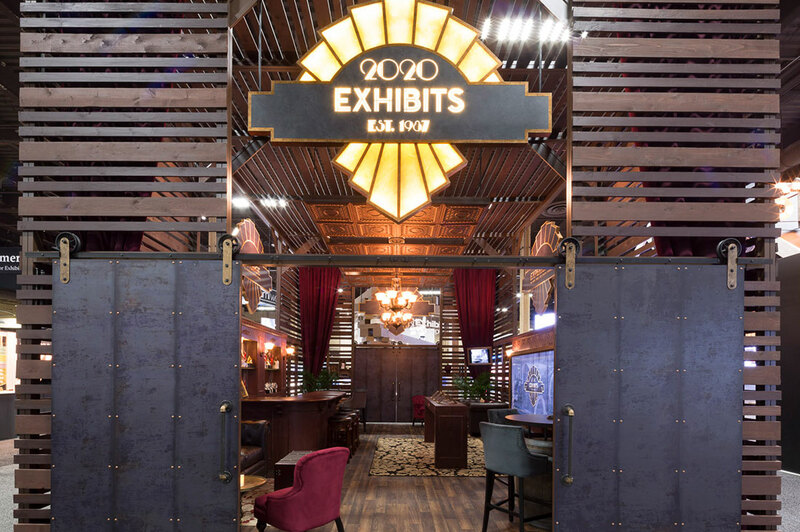 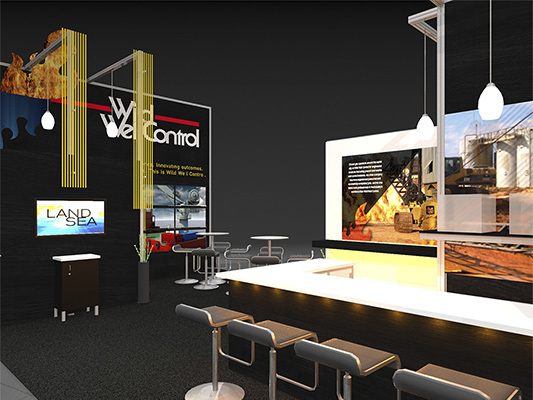 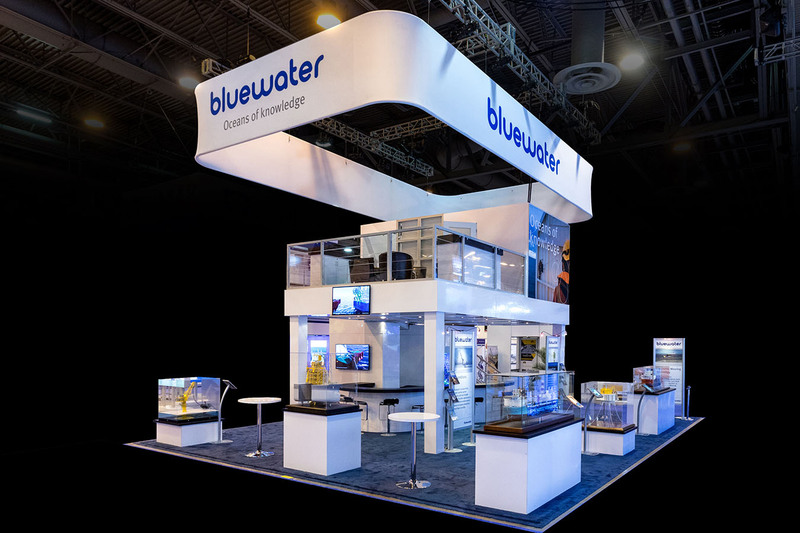 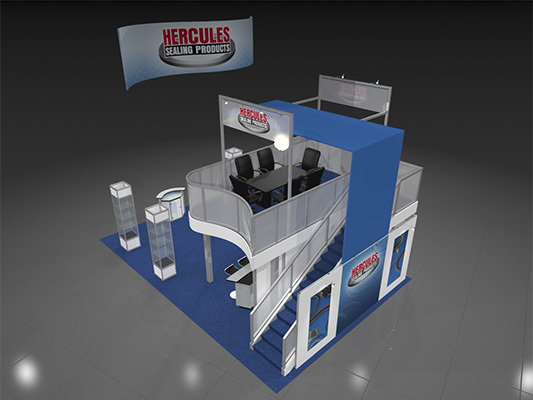 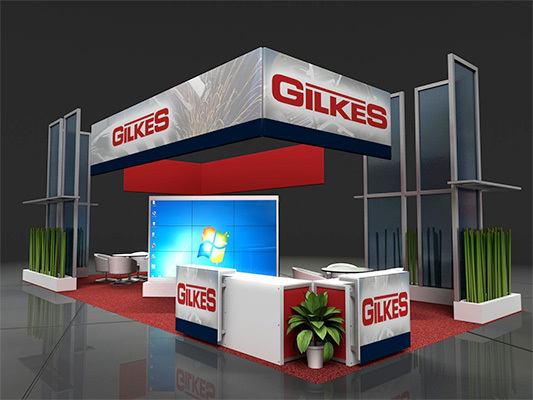 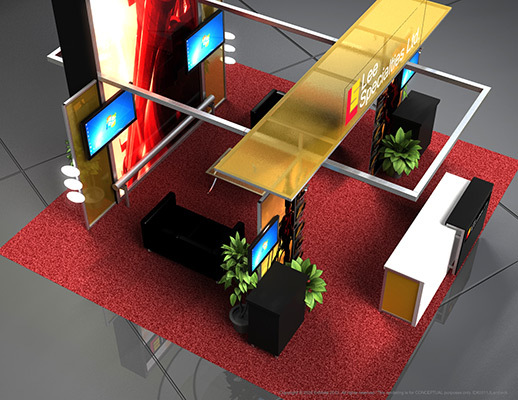 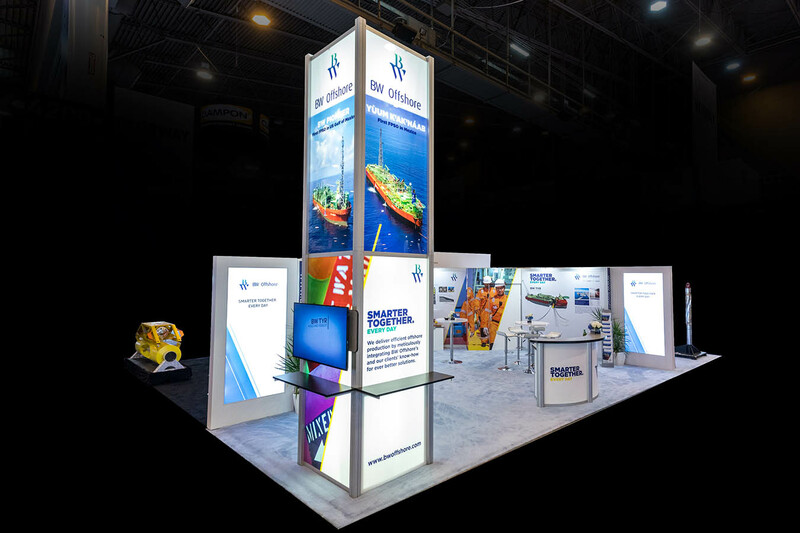 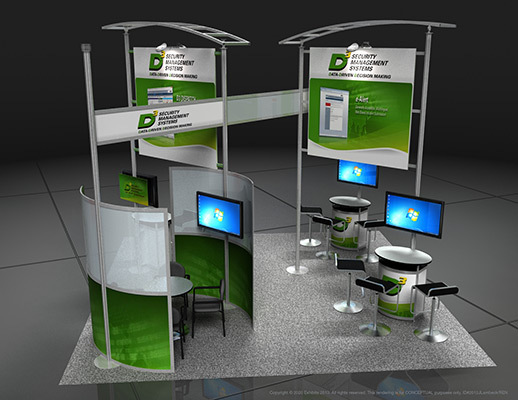 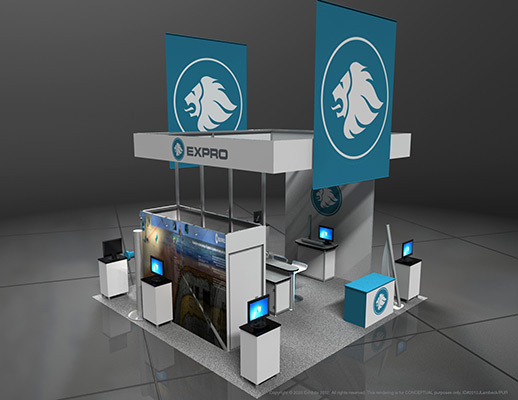 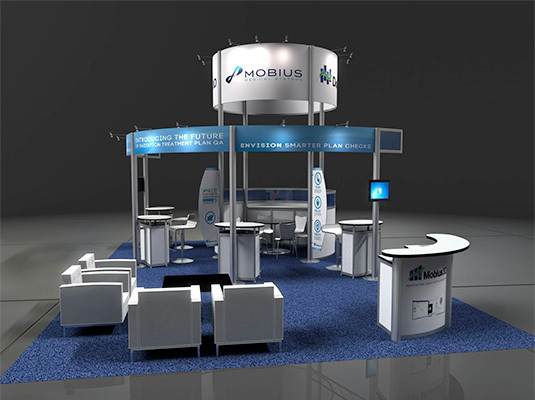 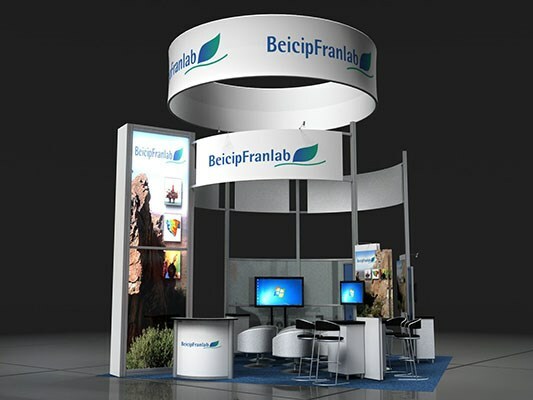 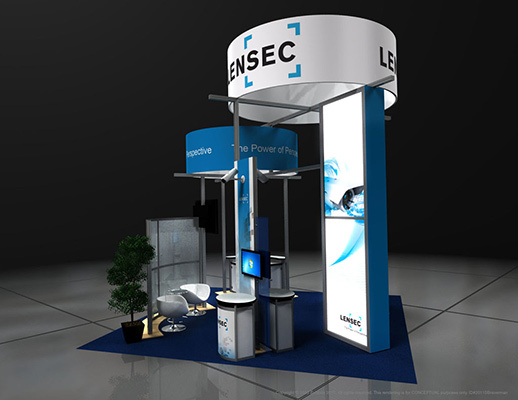 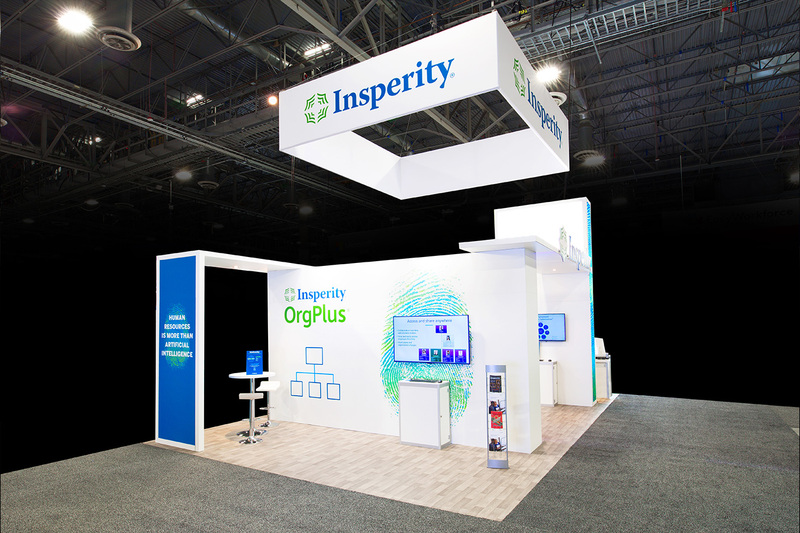 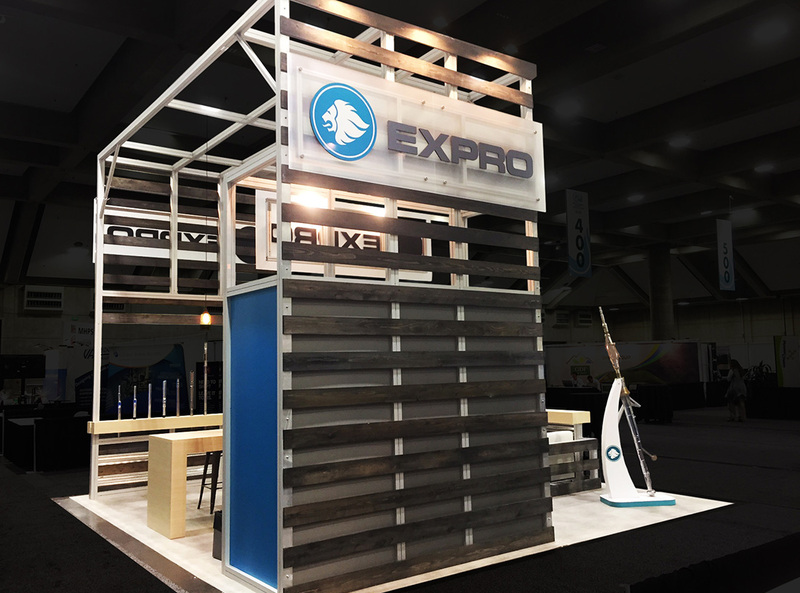 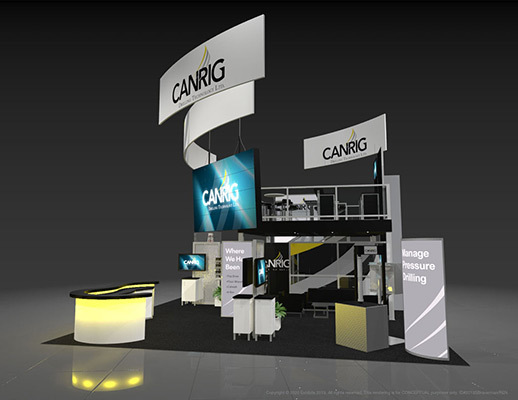 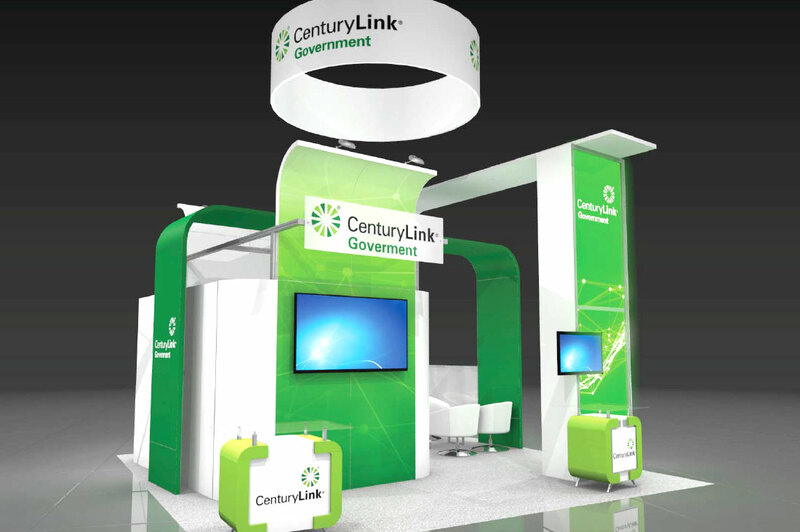 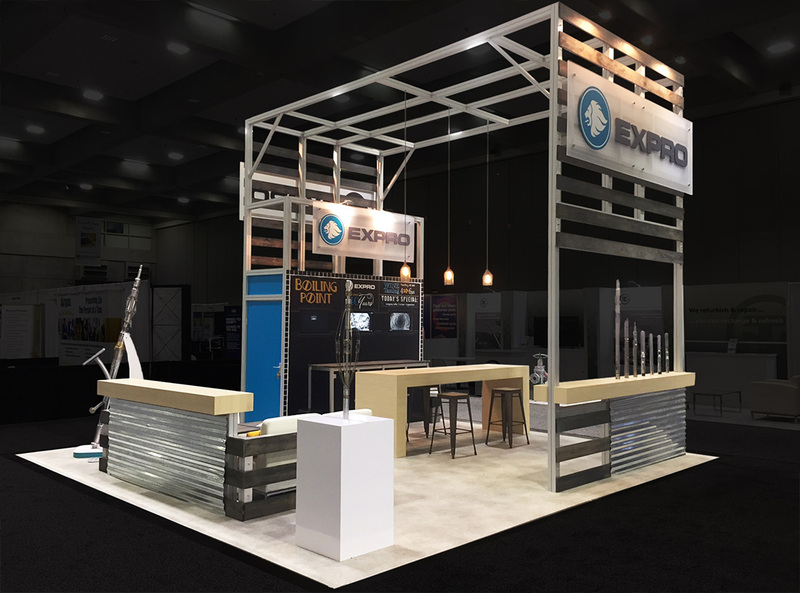 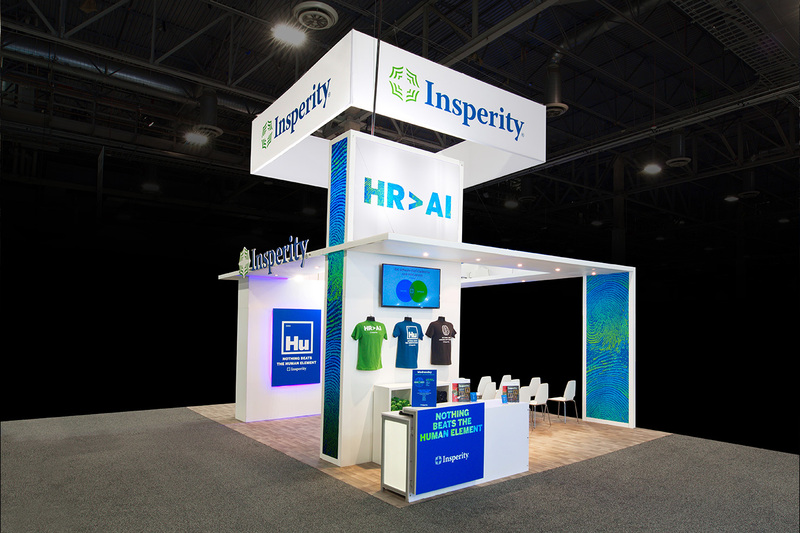 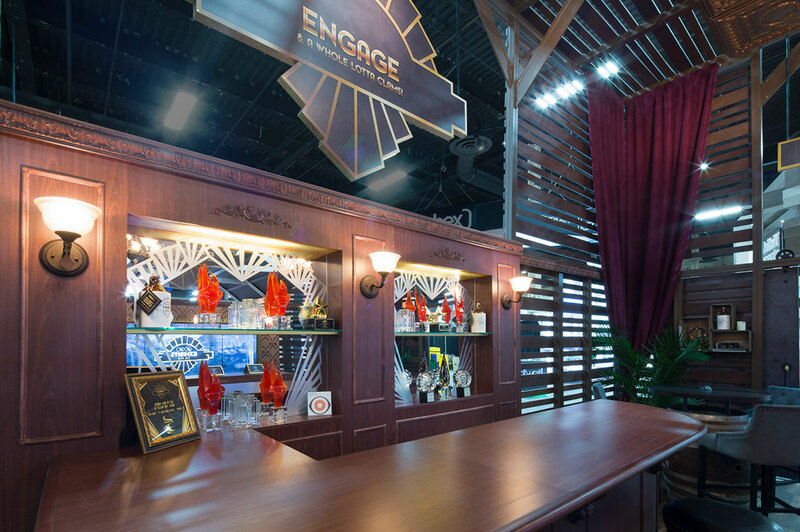 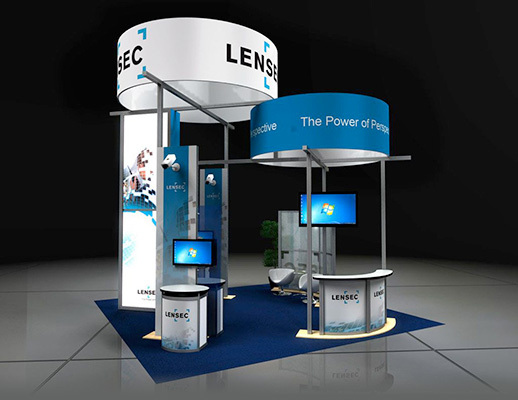 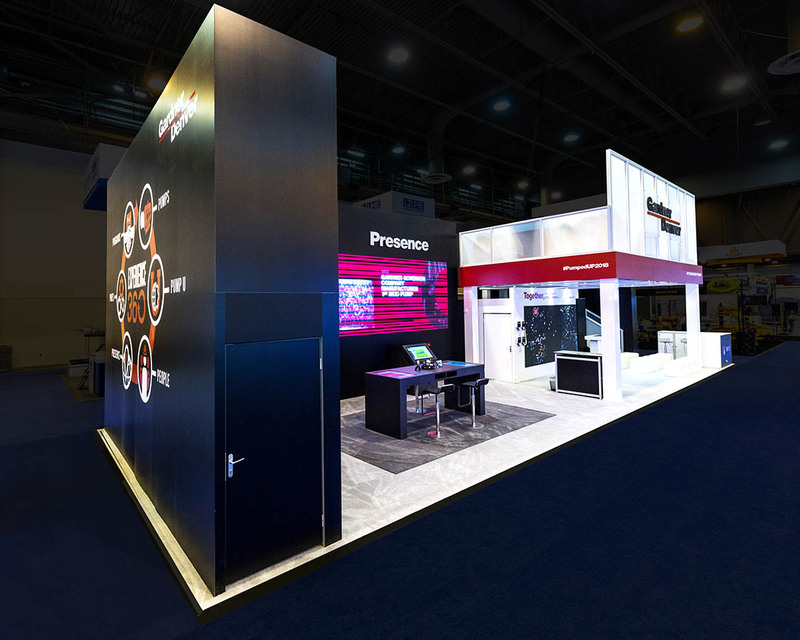 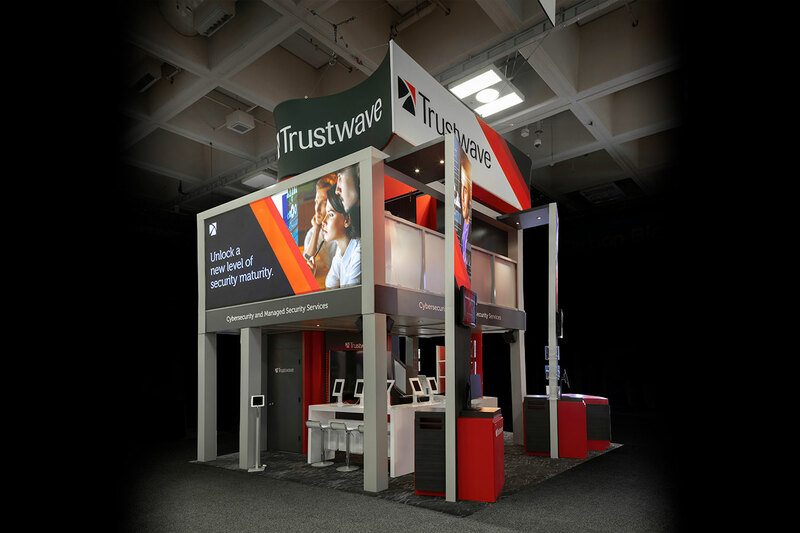 Features include: kiosks, storage cabinets, overhead lighting, sharp graphics, overhead hanging logo signage, video monitors, information stations, lounge seating, reception area, backlit graphics, round overhead signage, carpeted inlay.